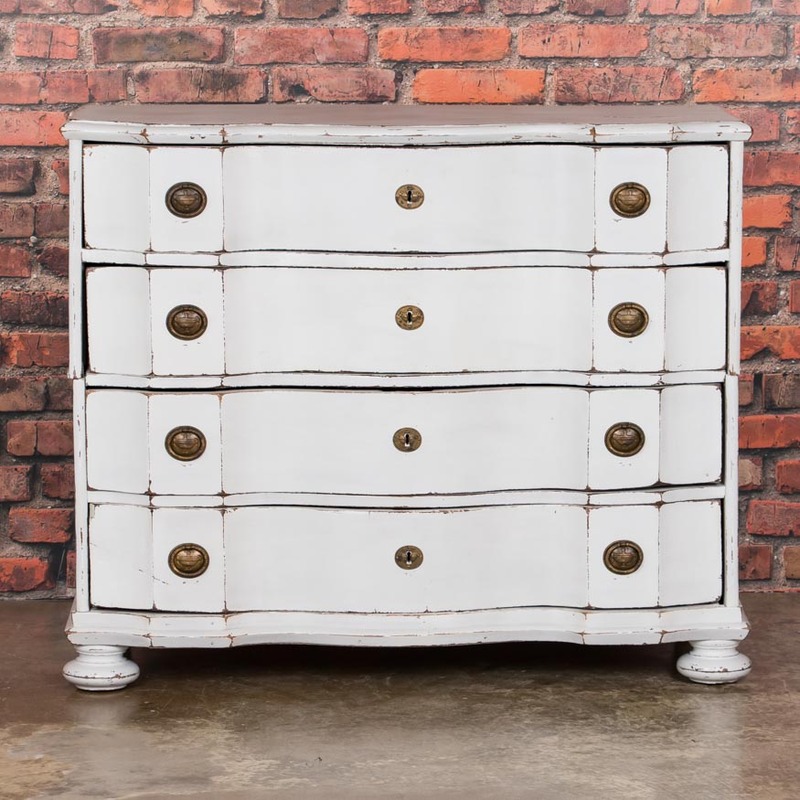 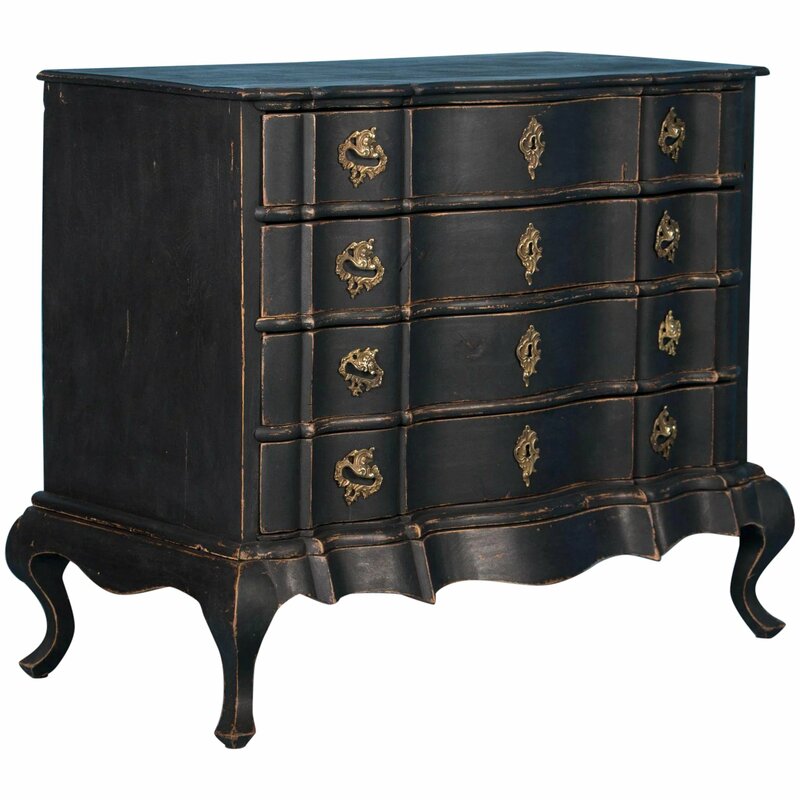 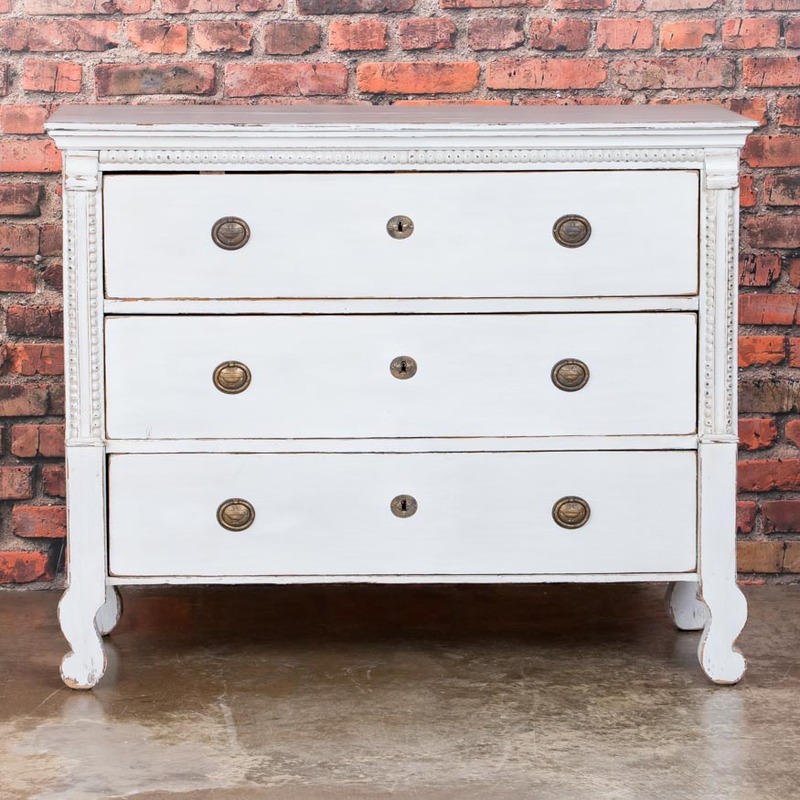 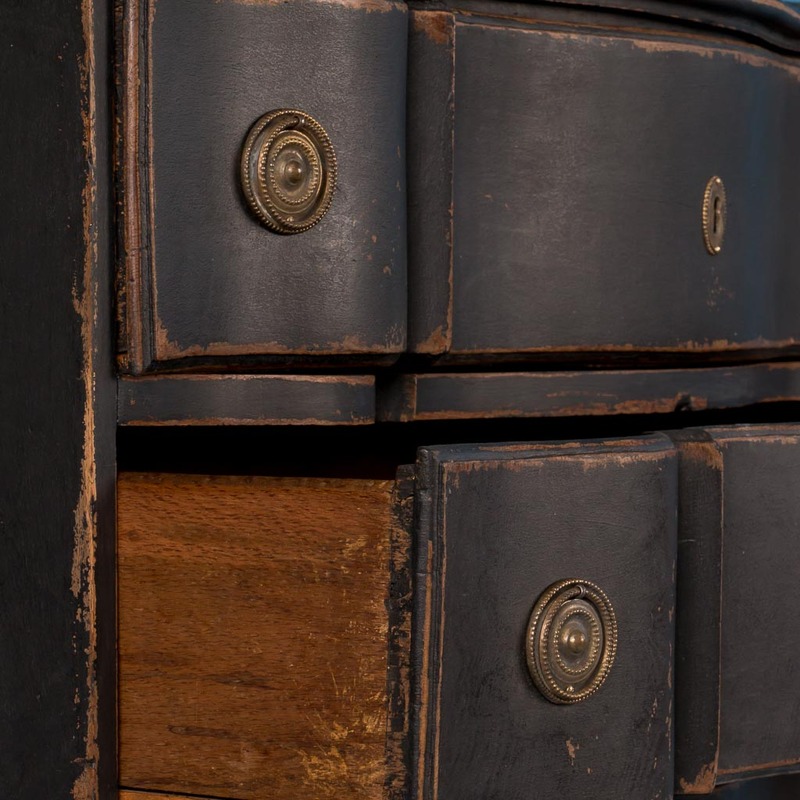 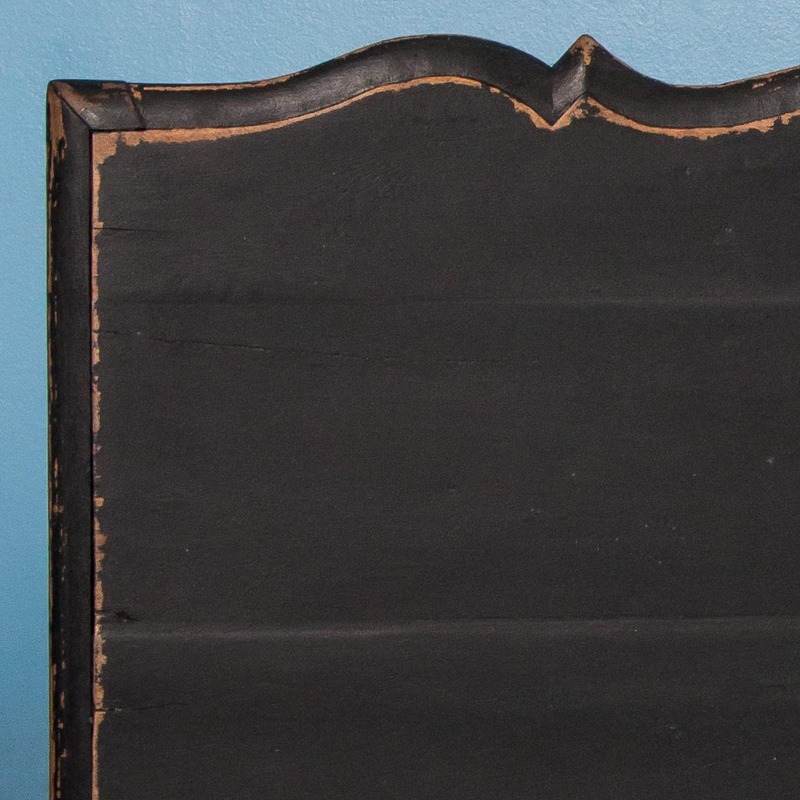 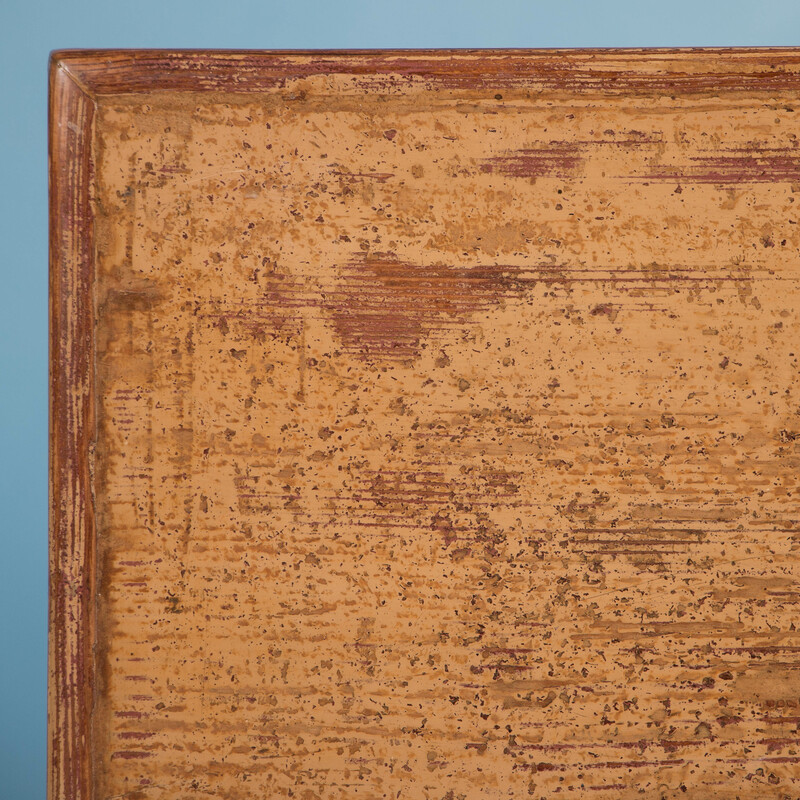 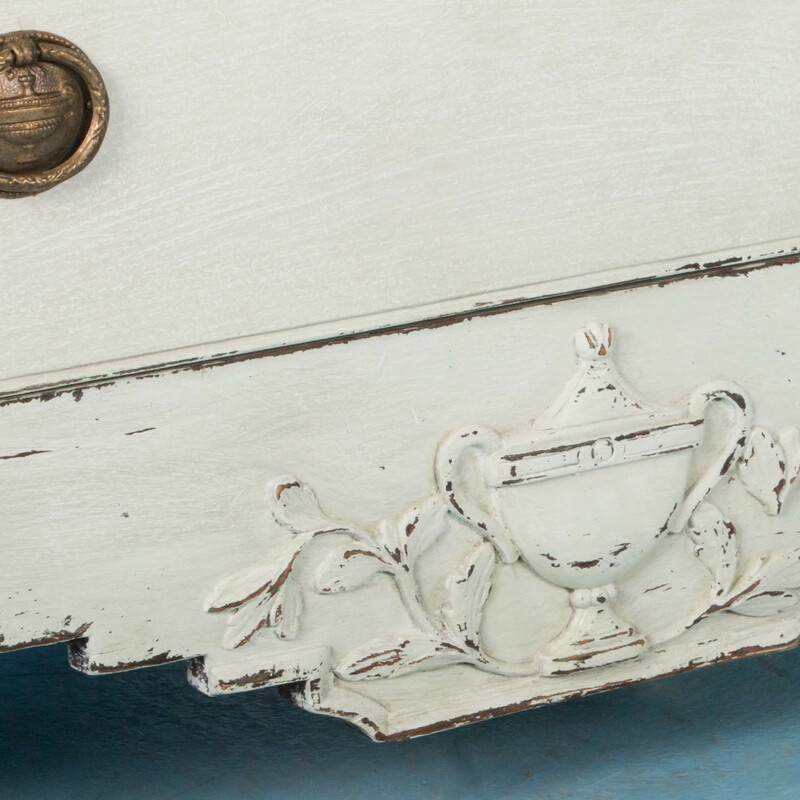 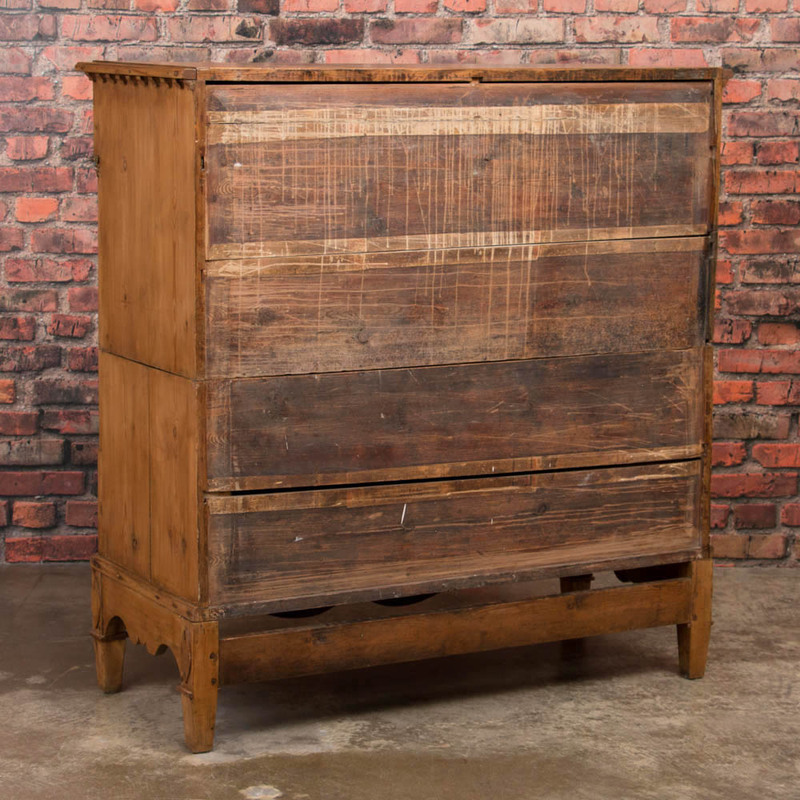 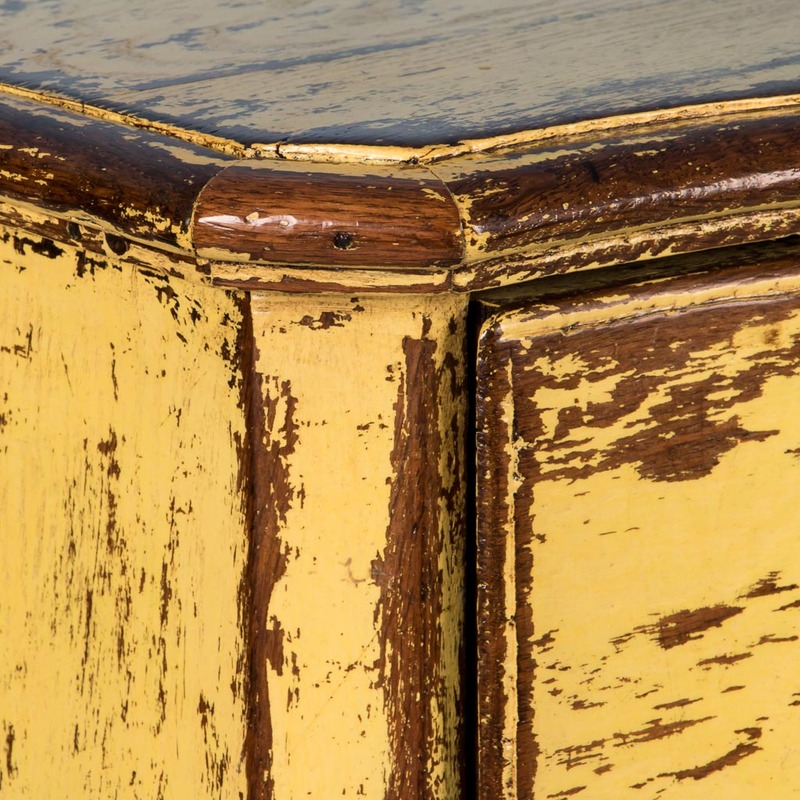 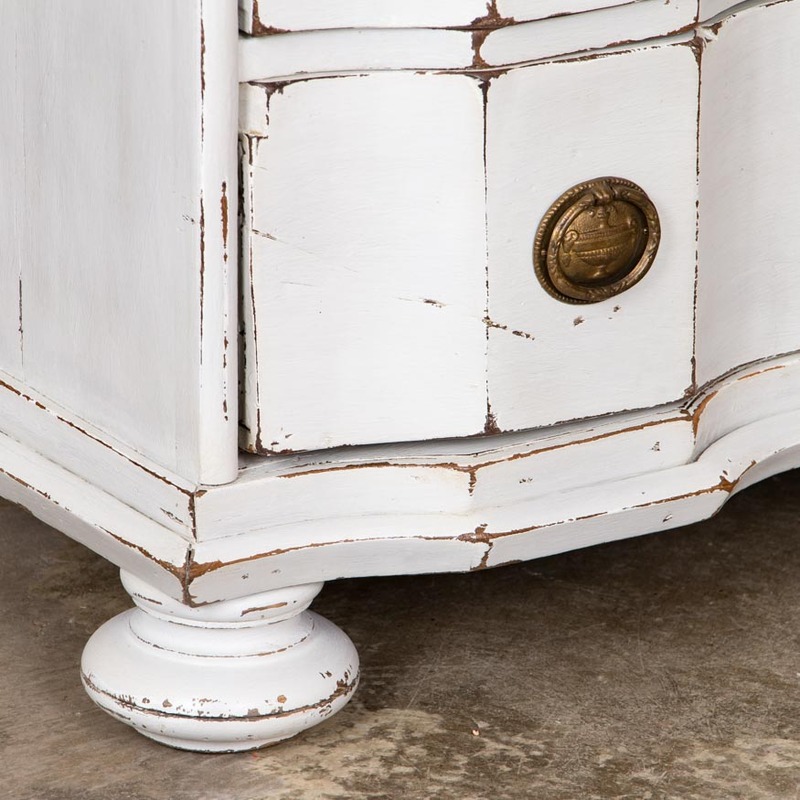 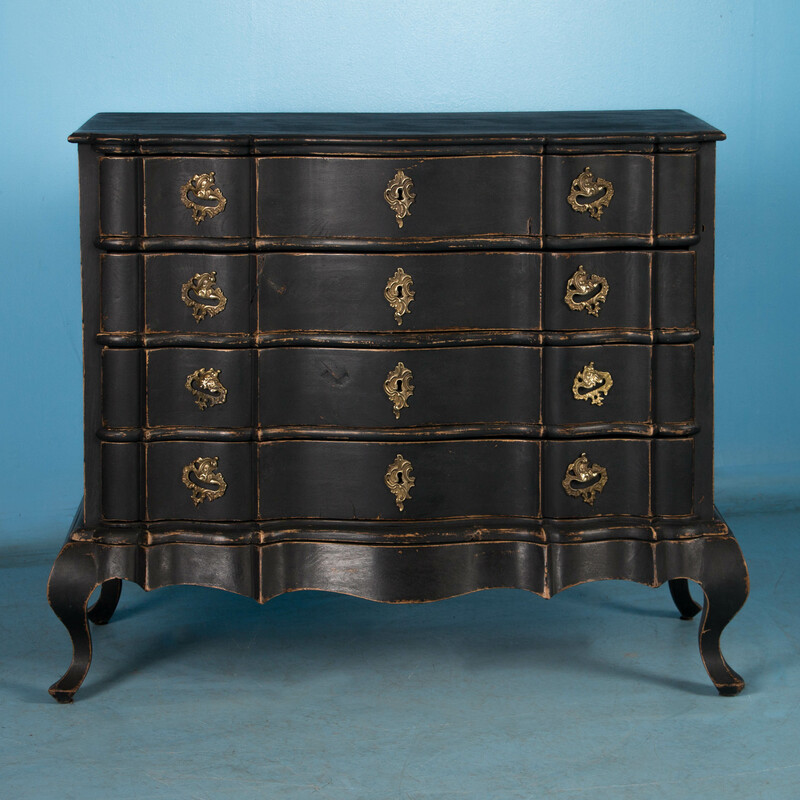 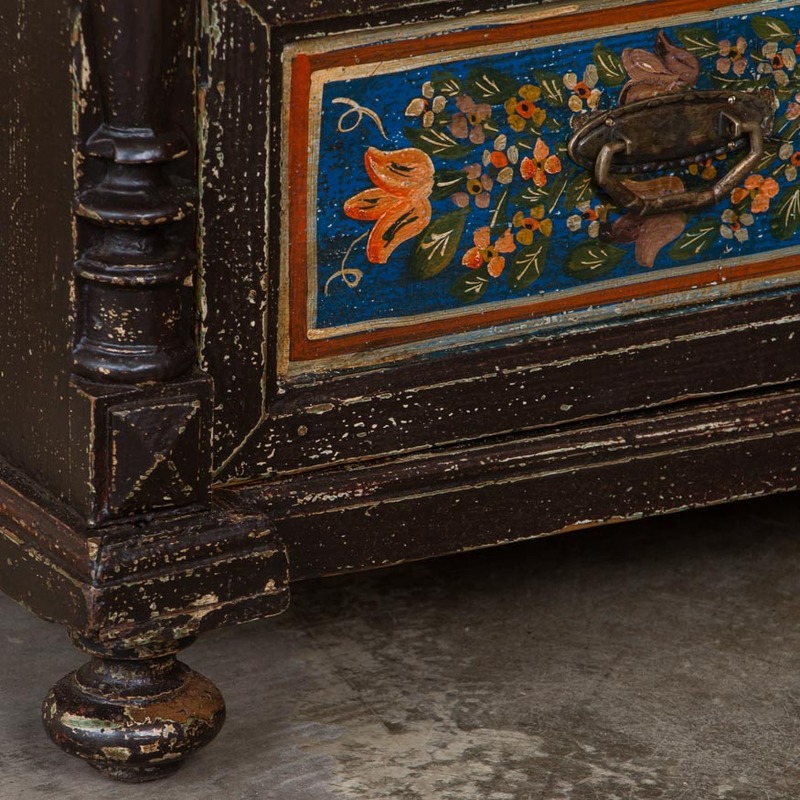 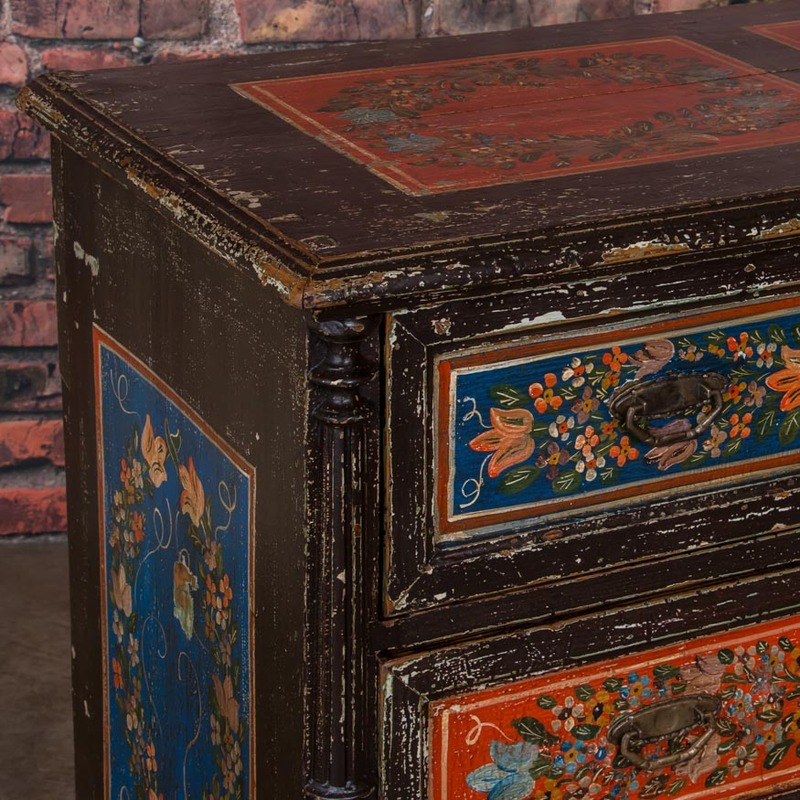 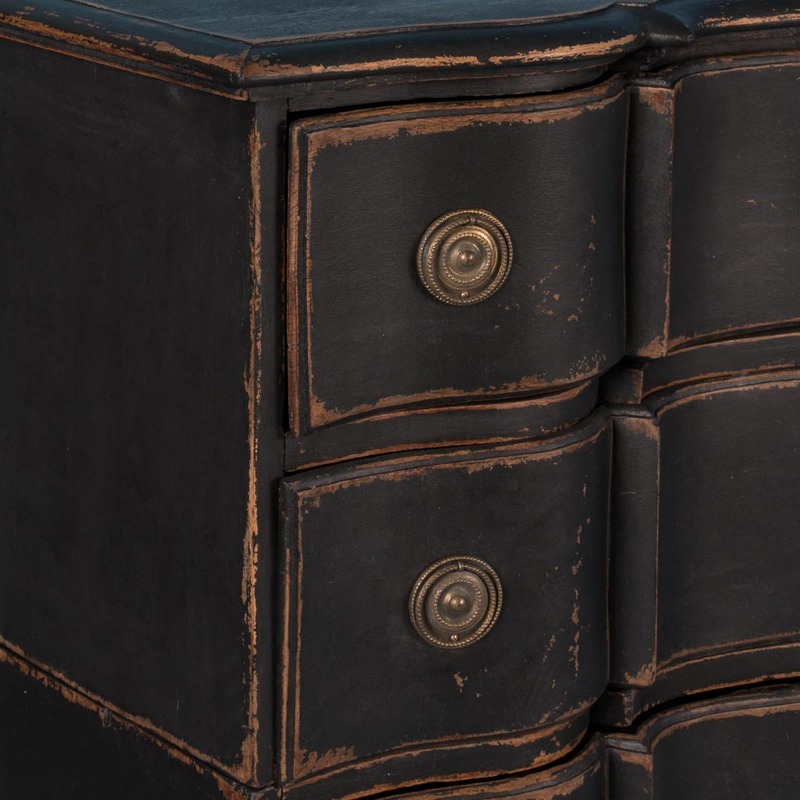 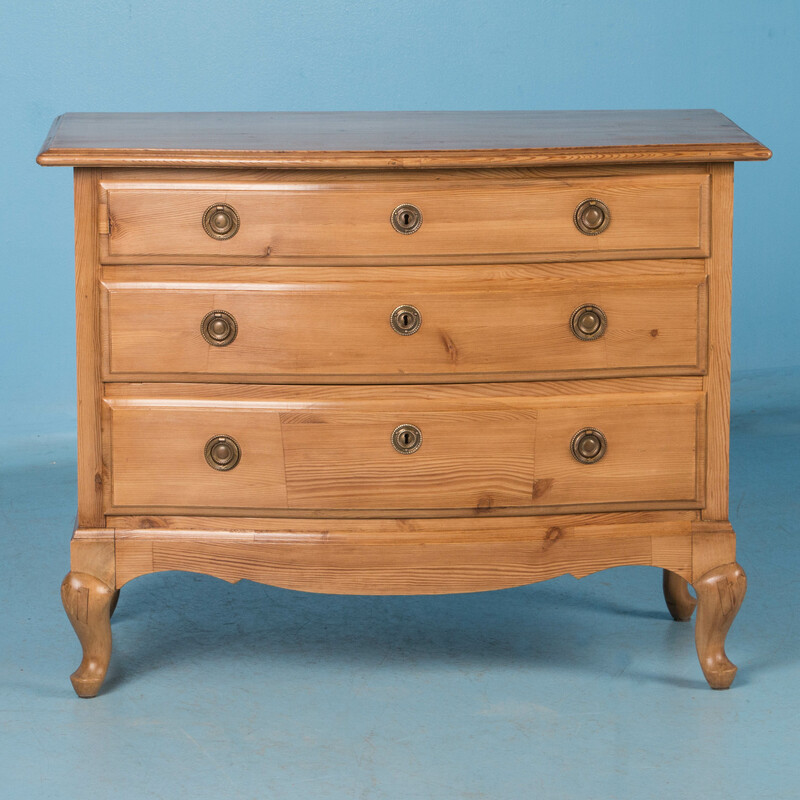 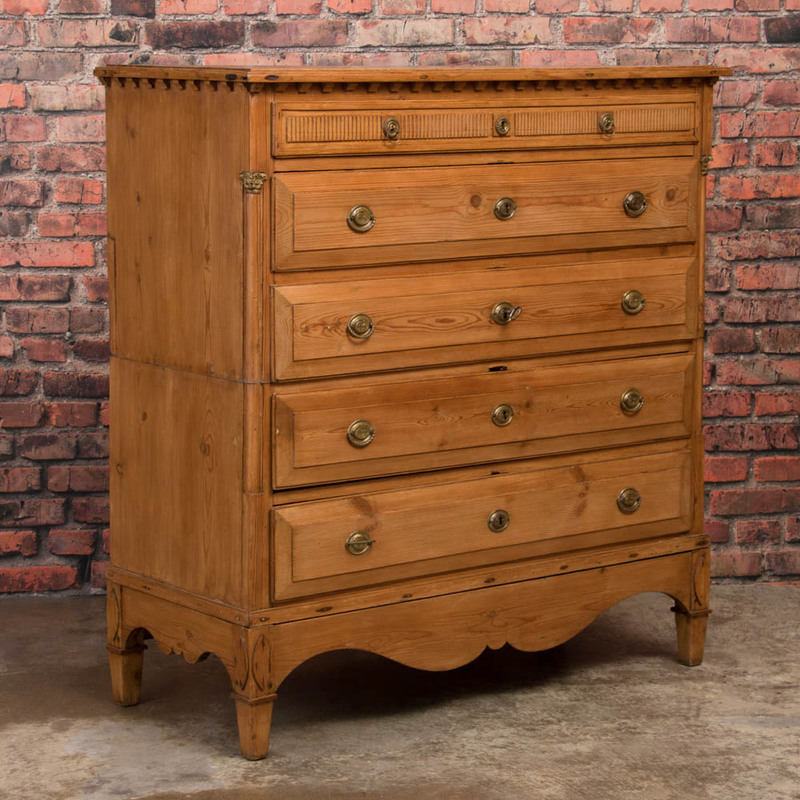 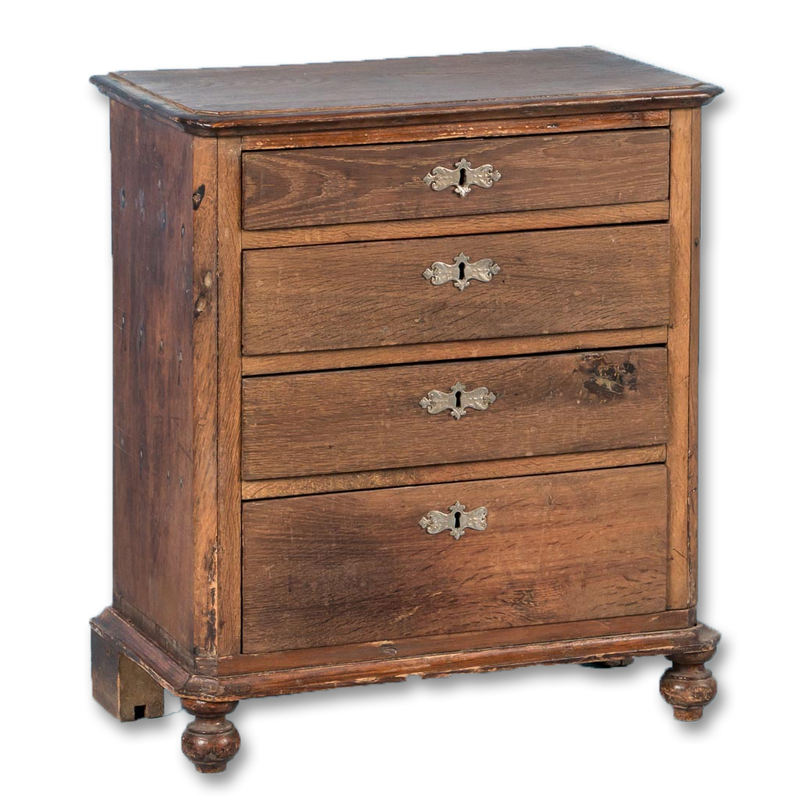 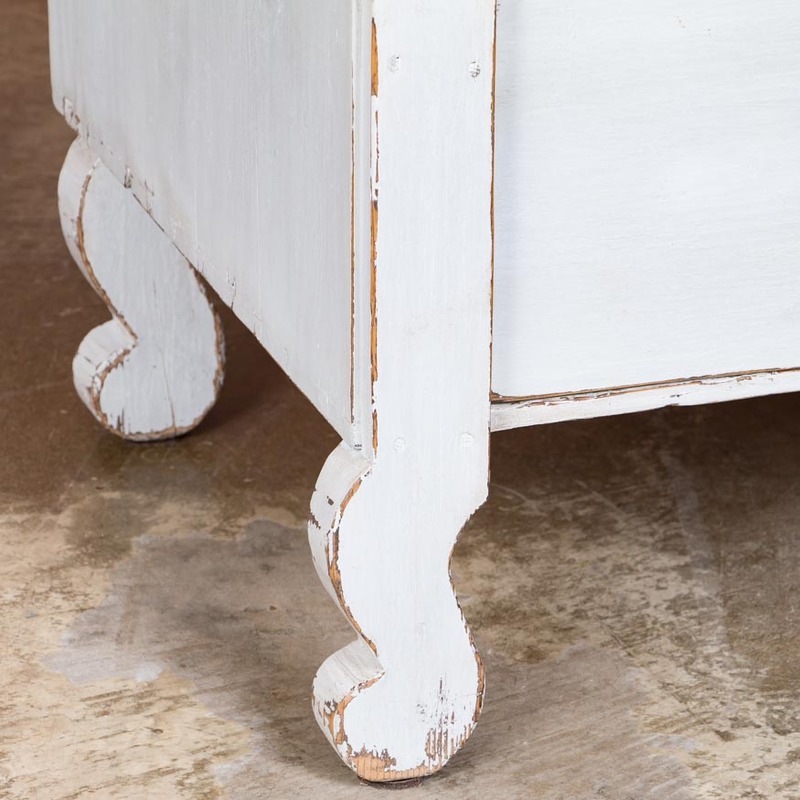 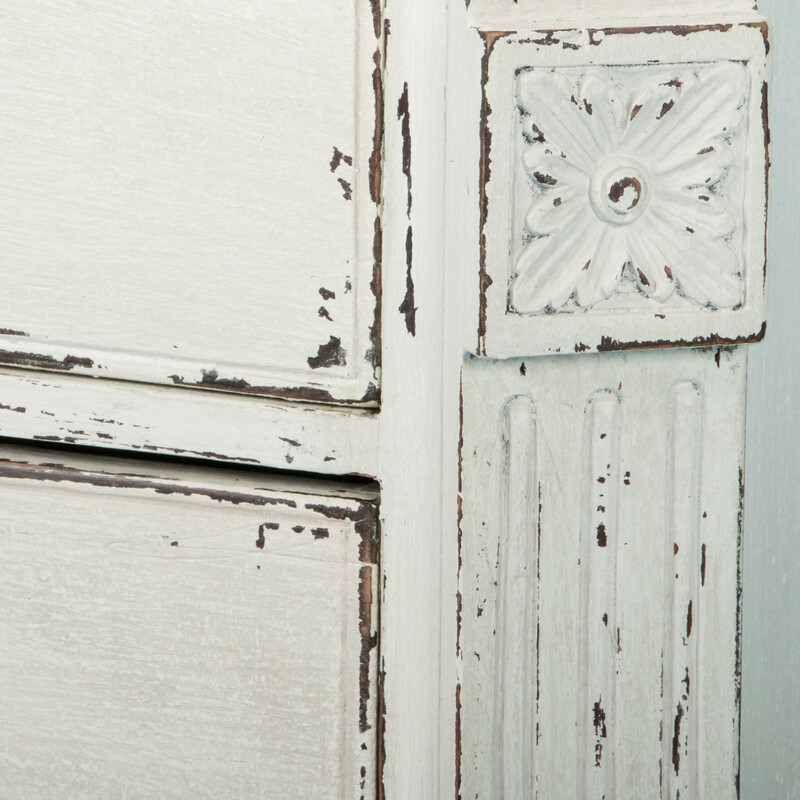 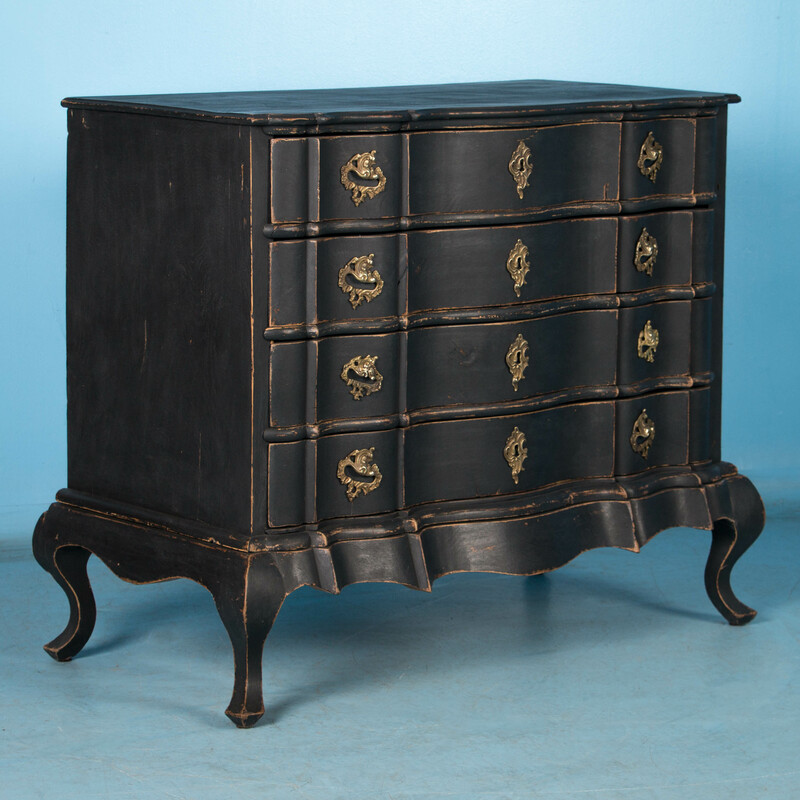 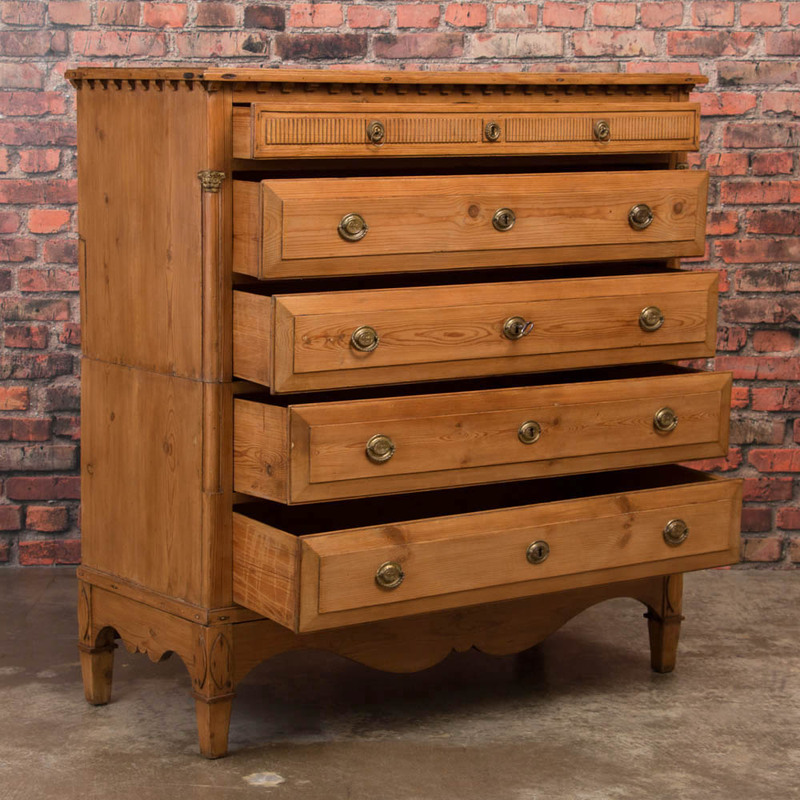 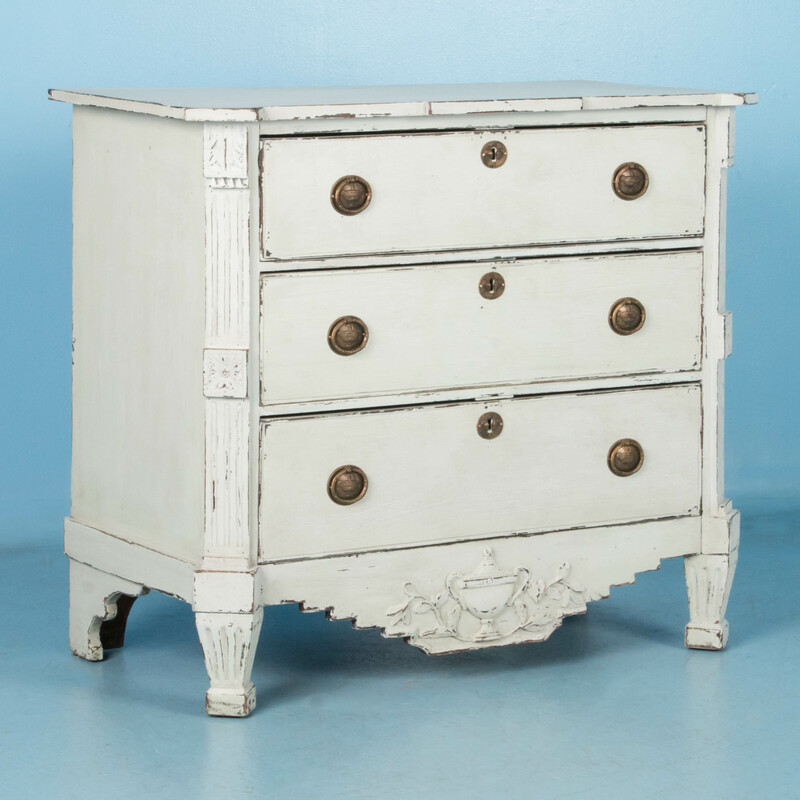 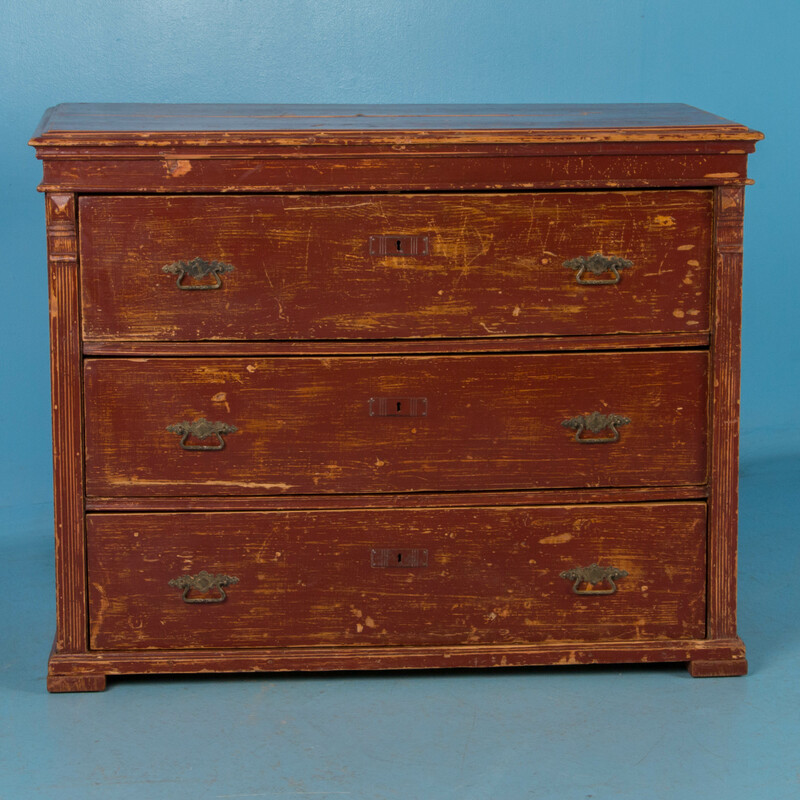 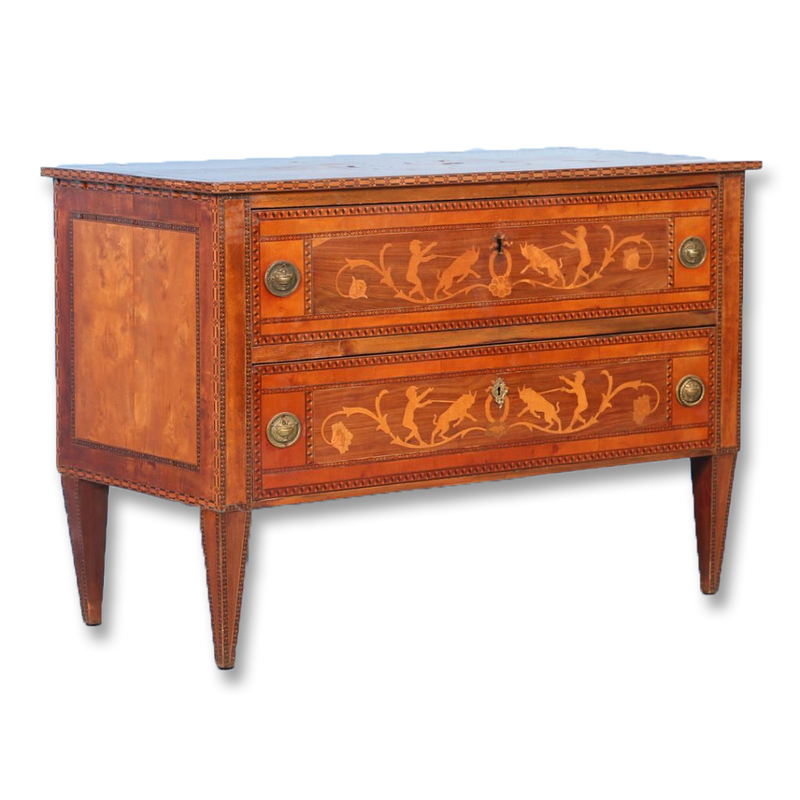 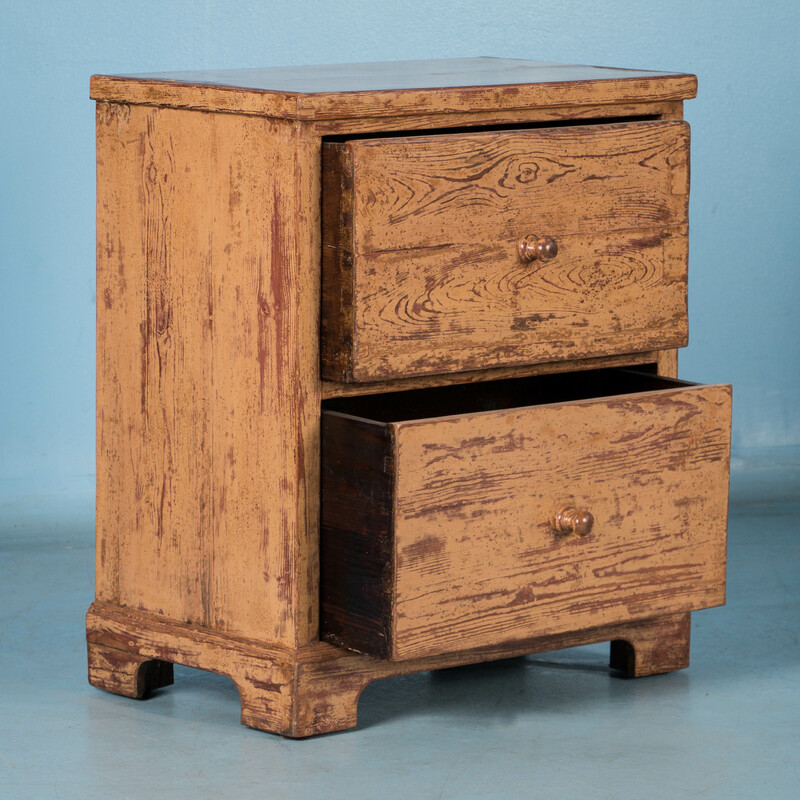 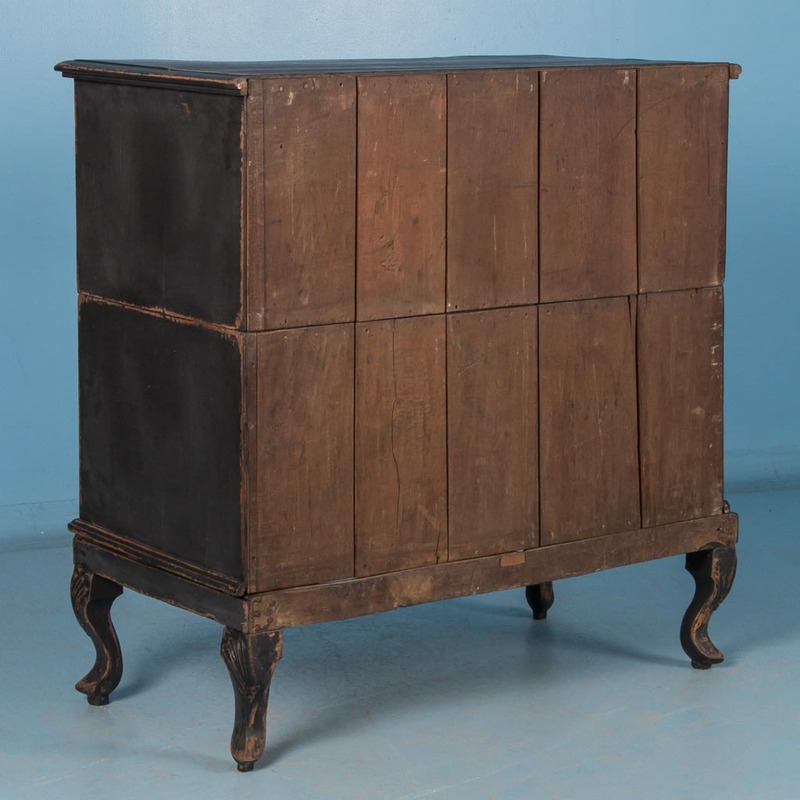 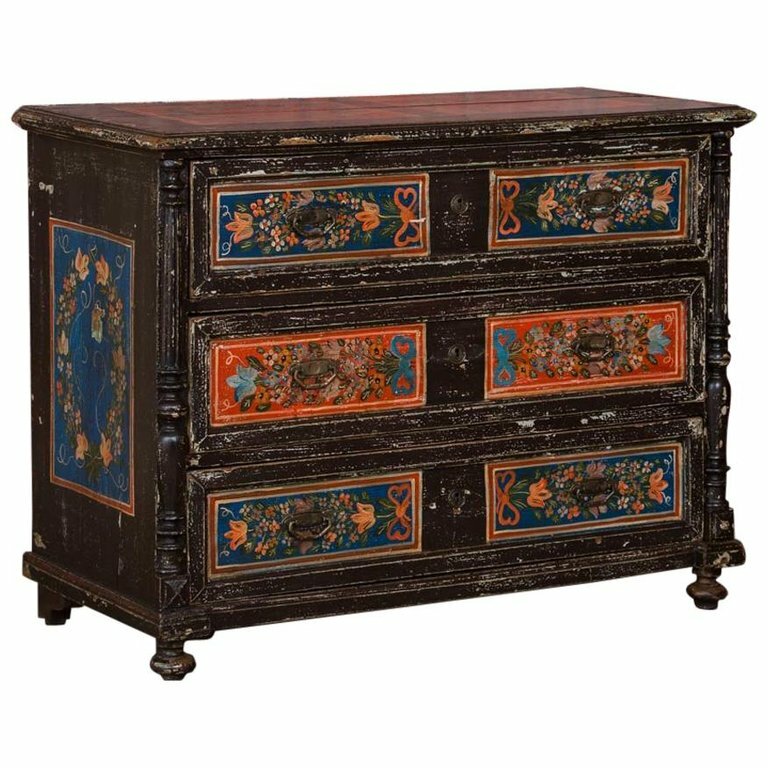 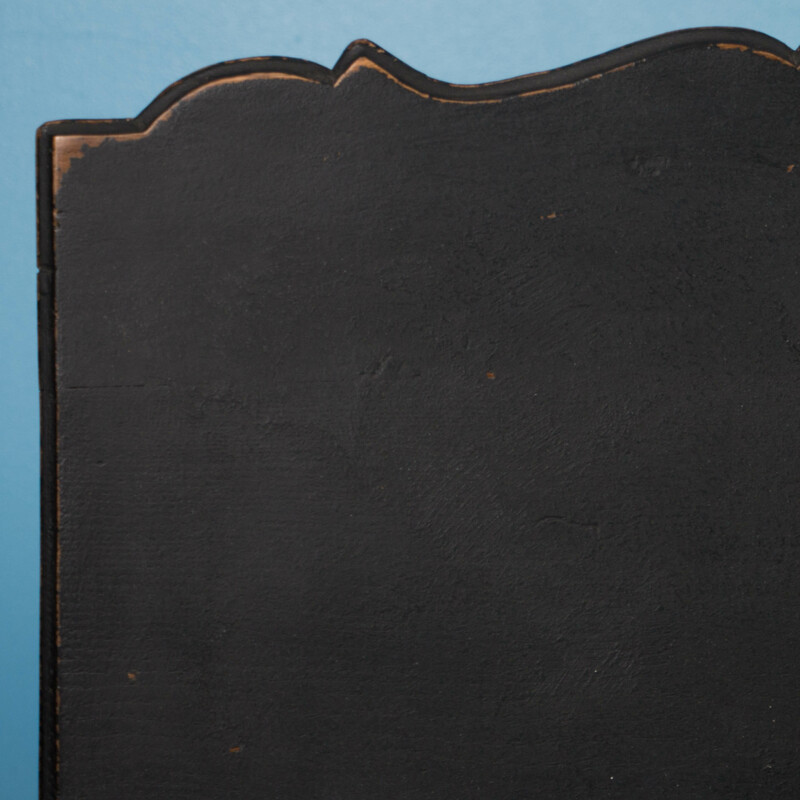 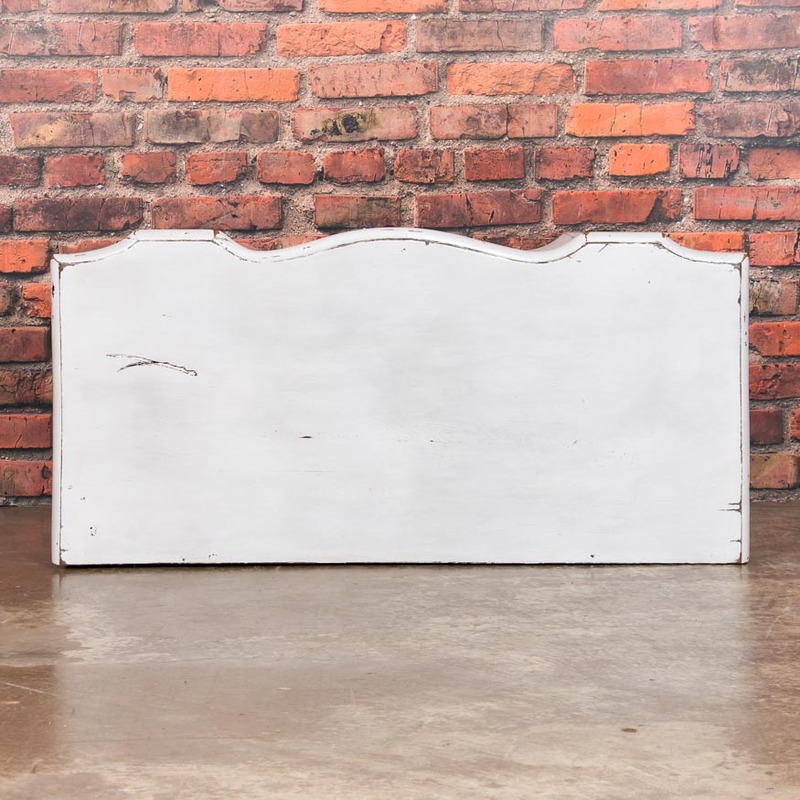 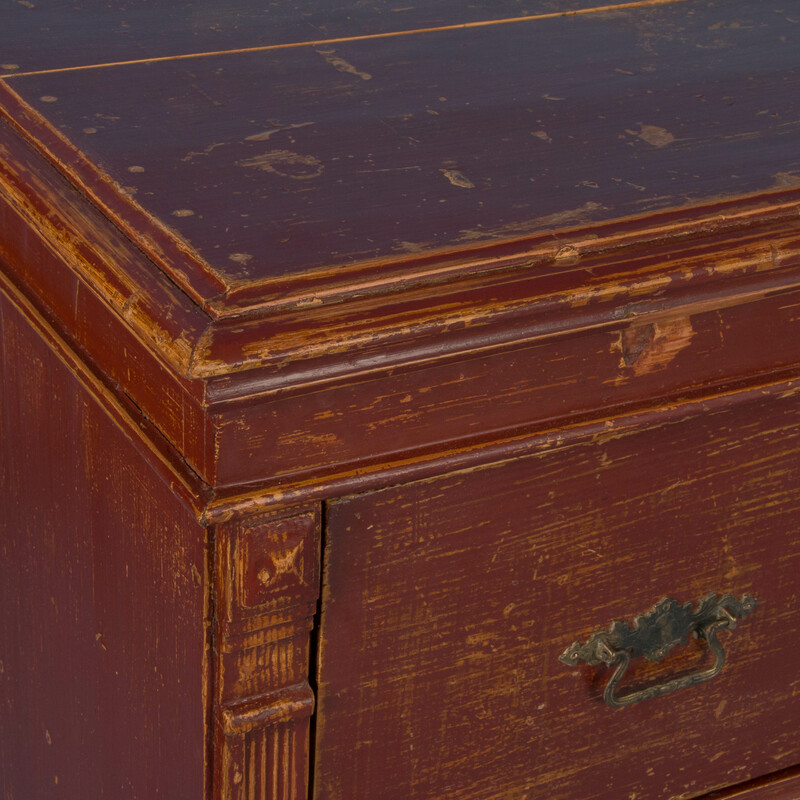 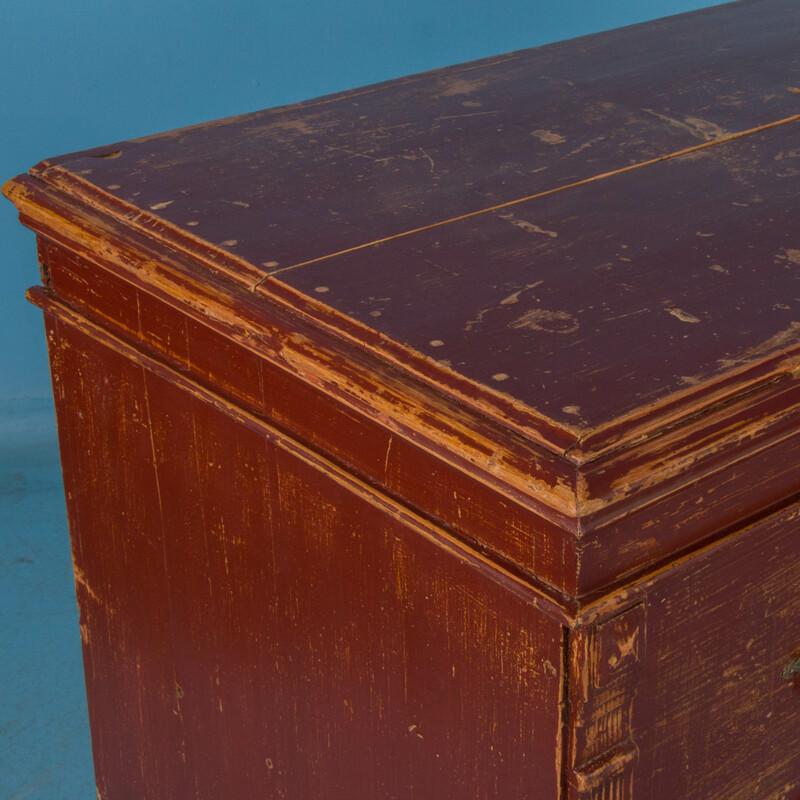 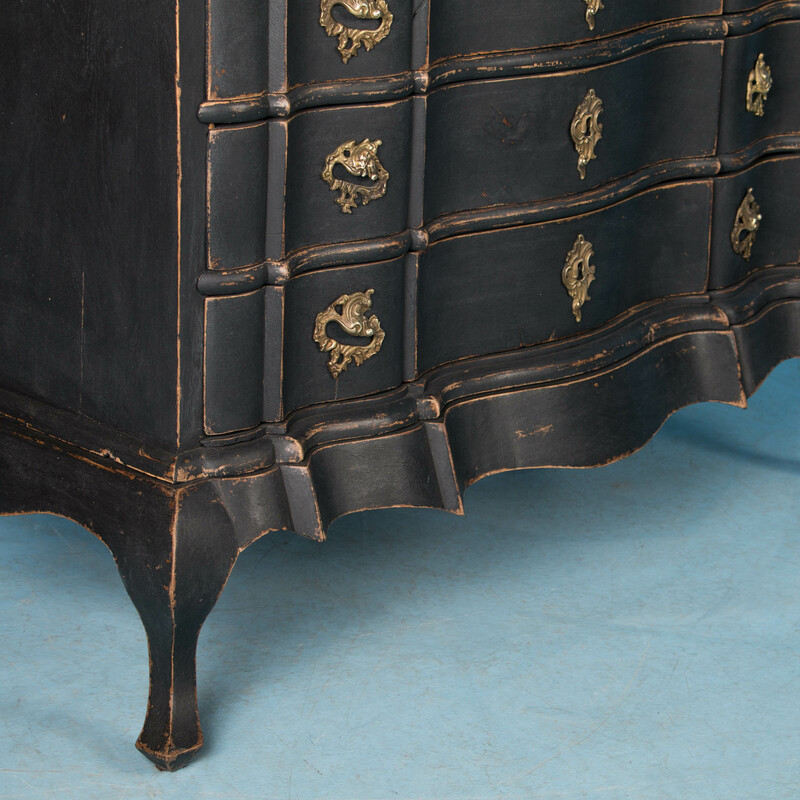 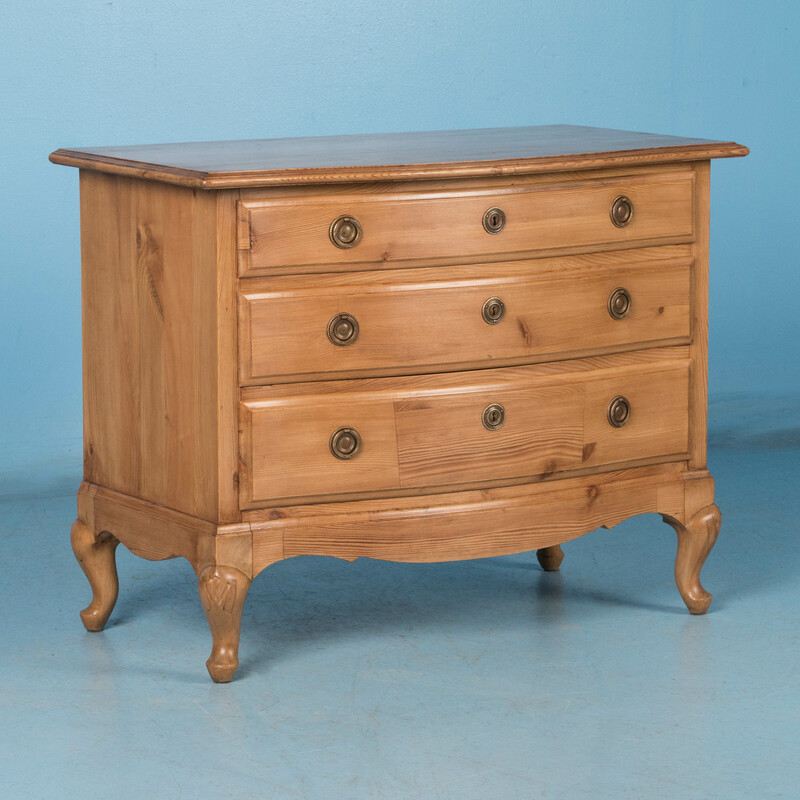 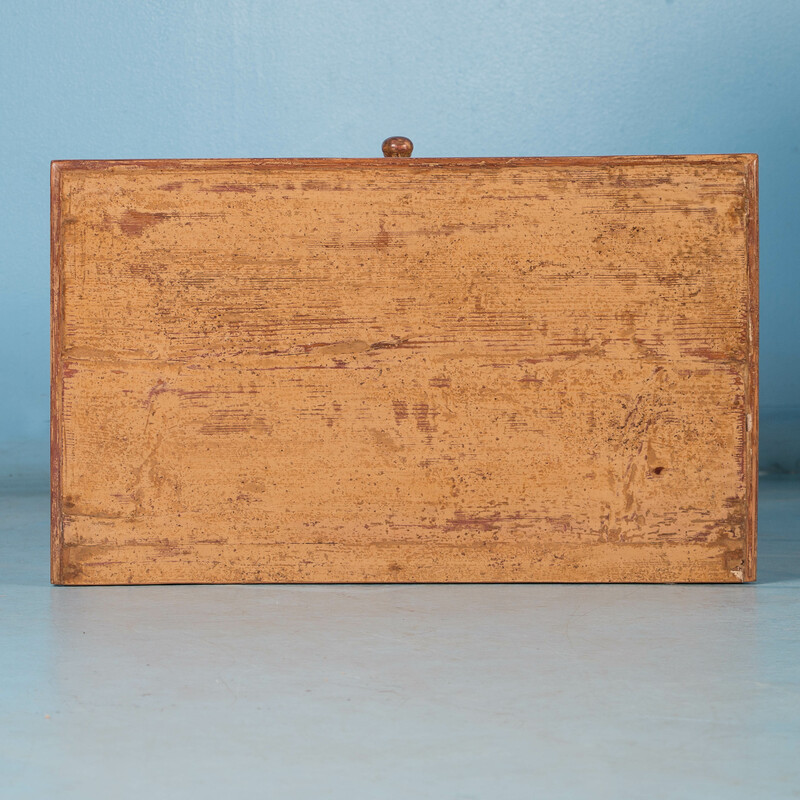 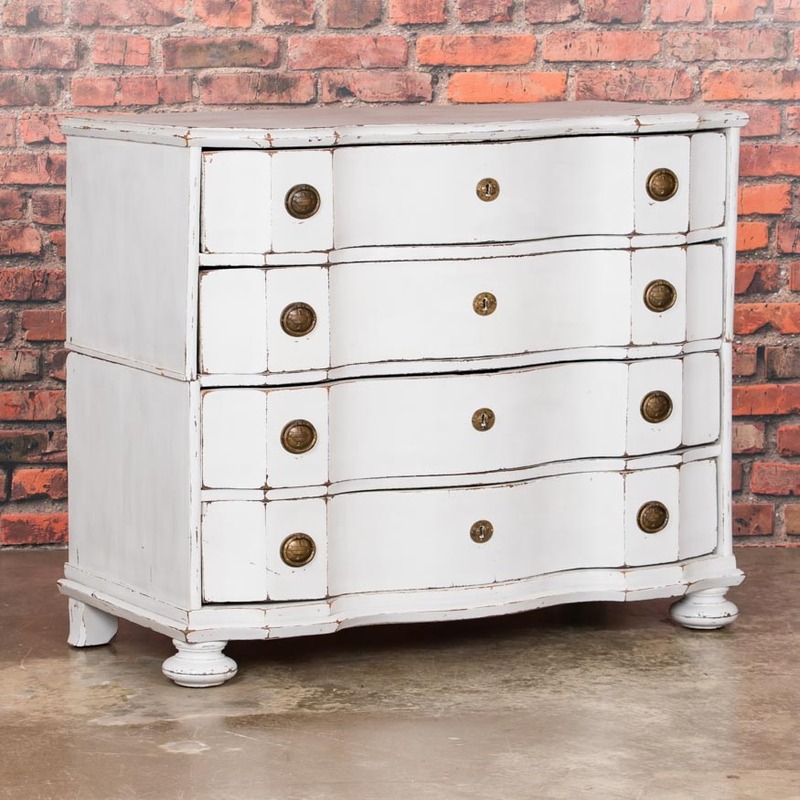 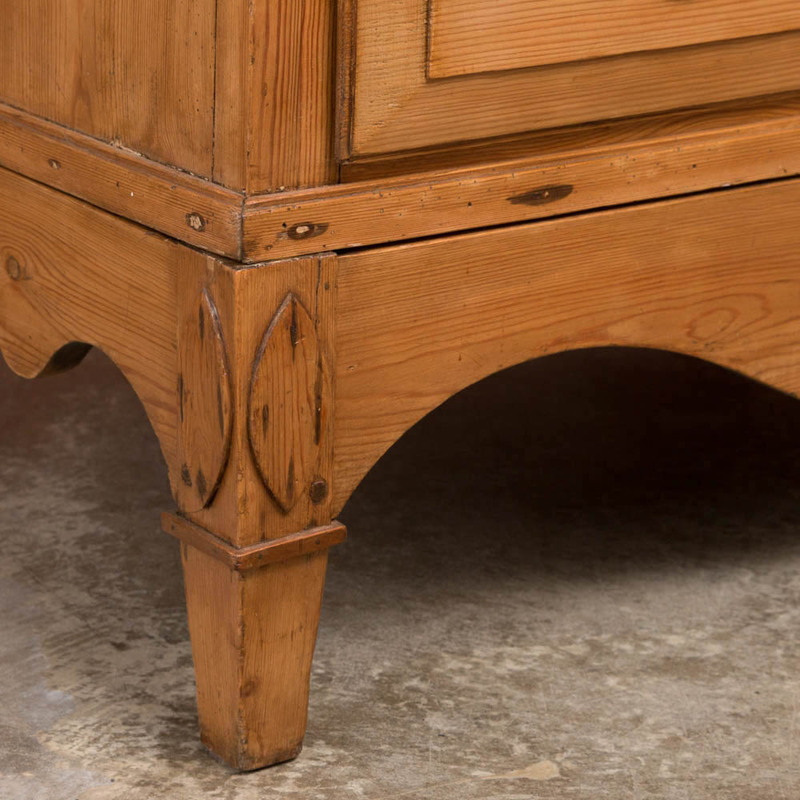 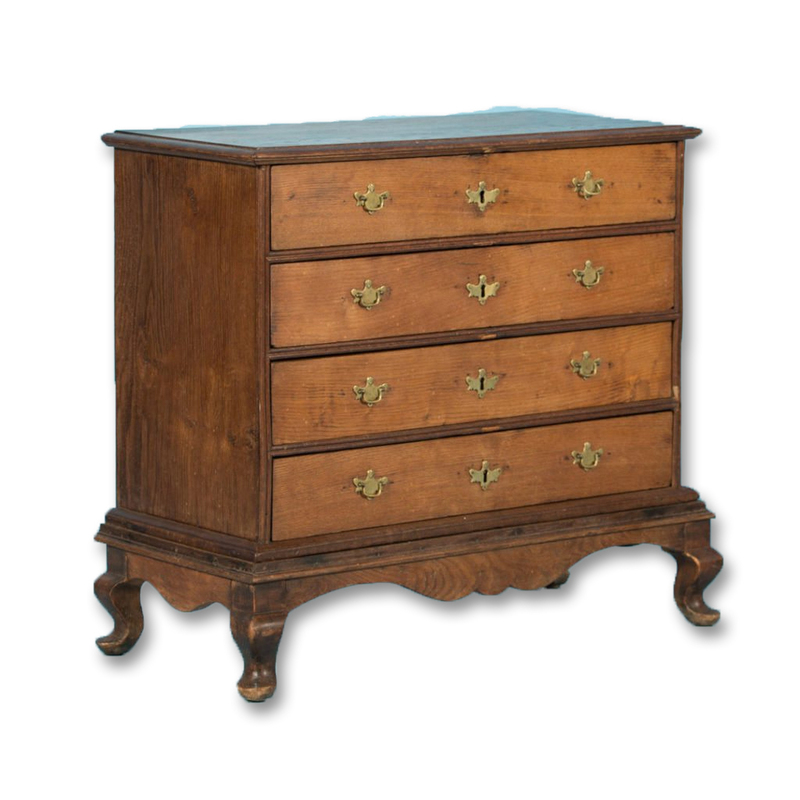 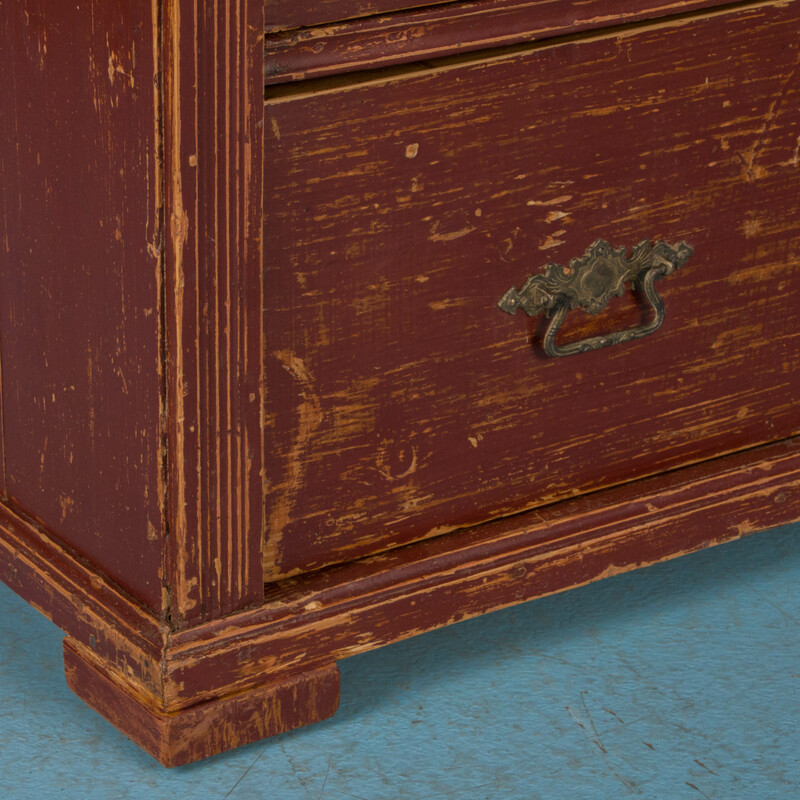 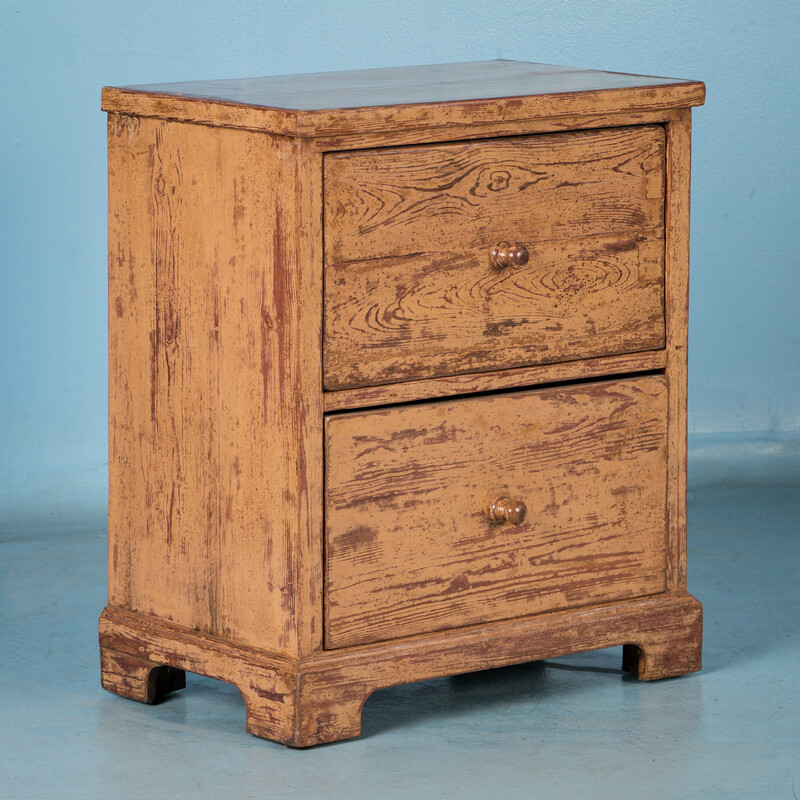 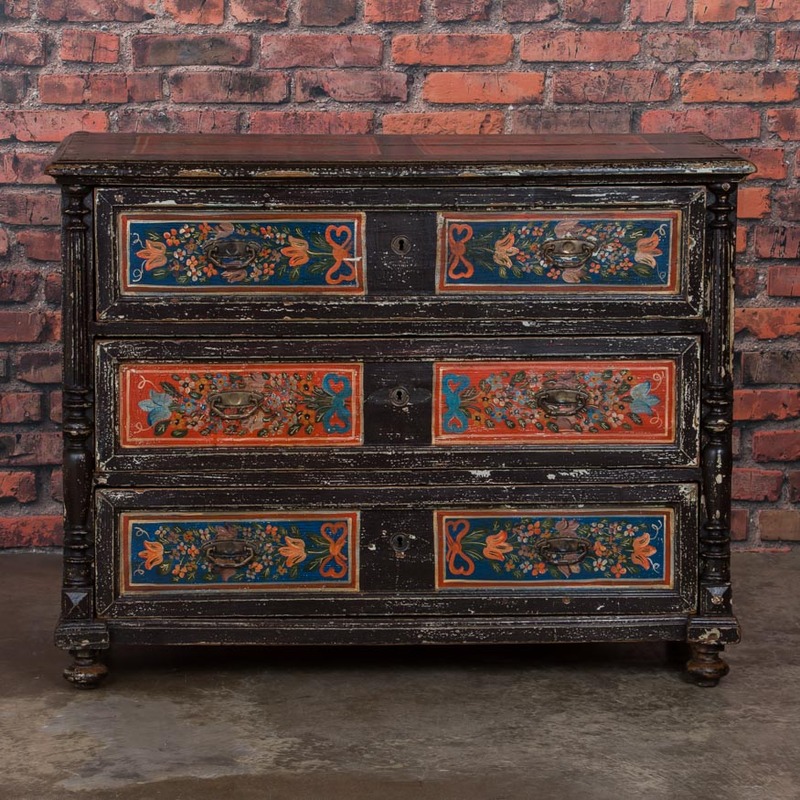 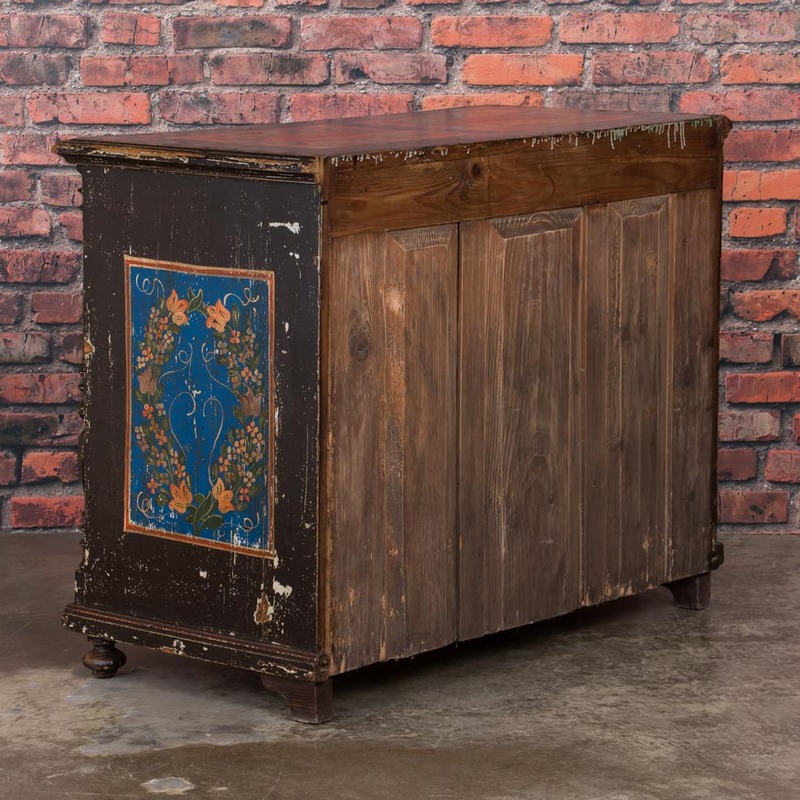 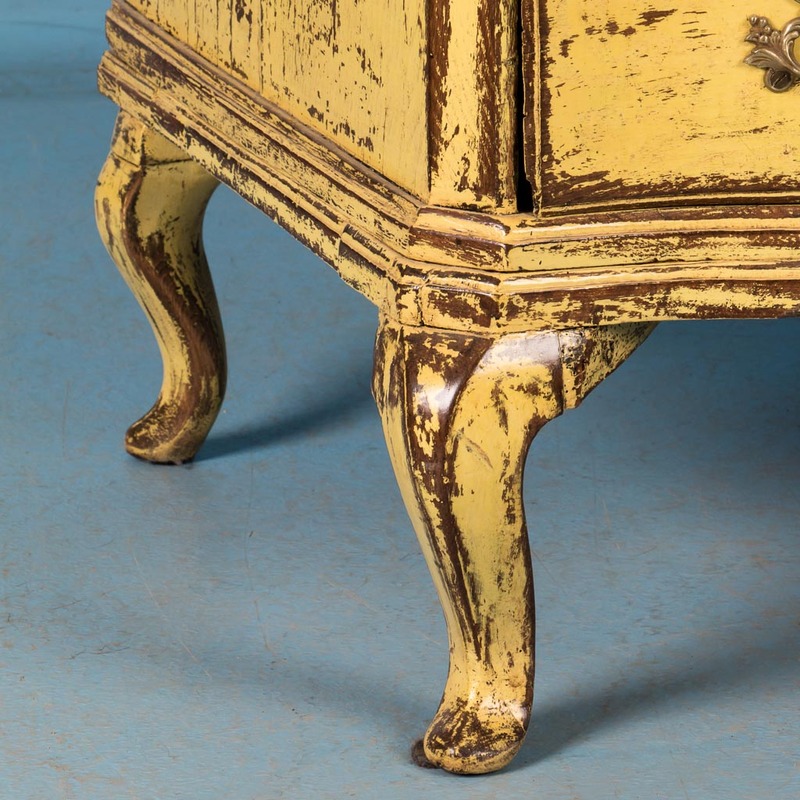 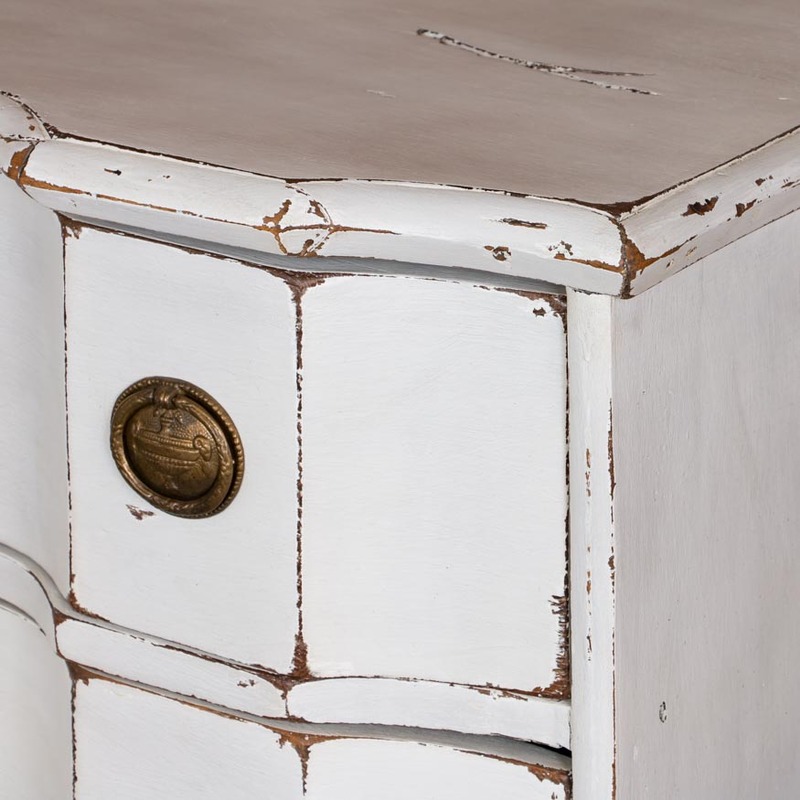 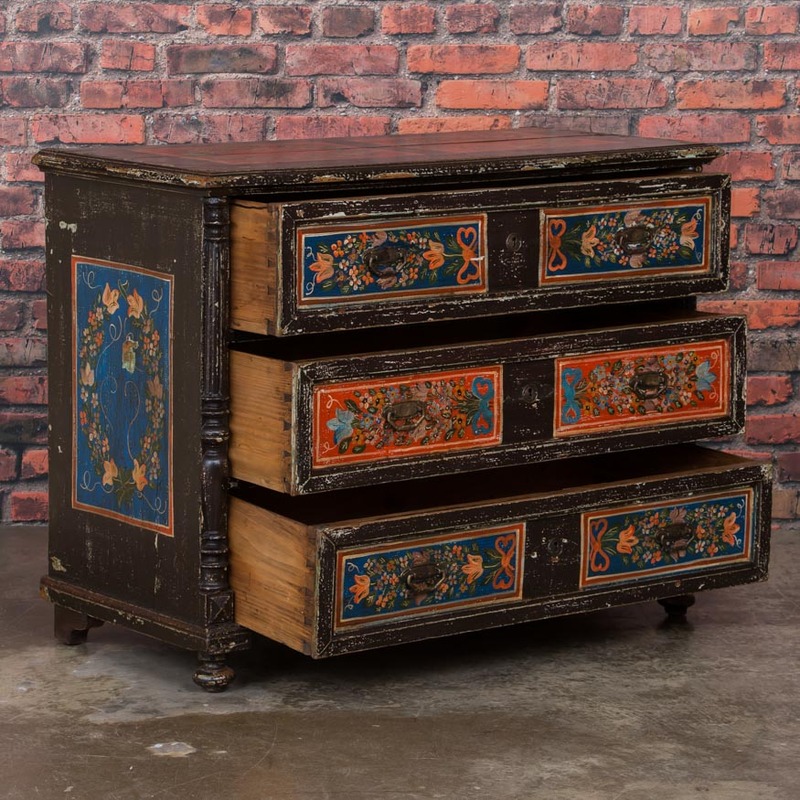 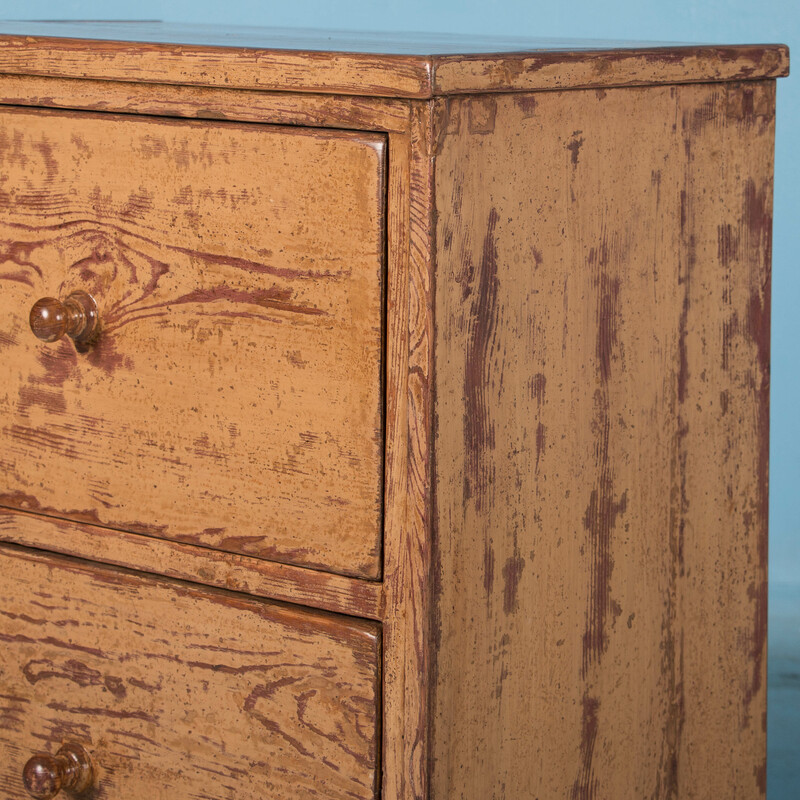 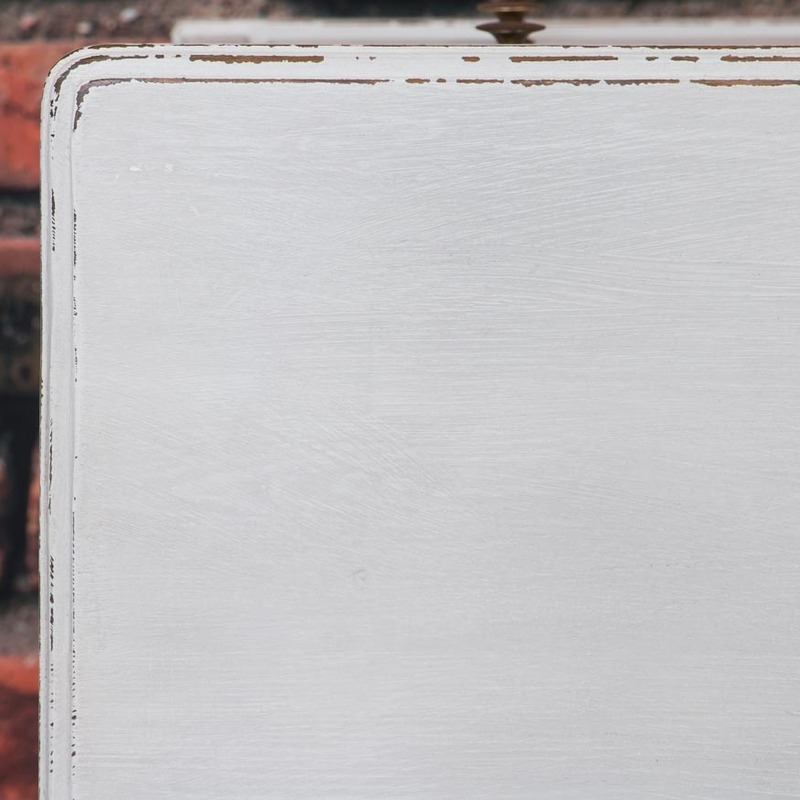 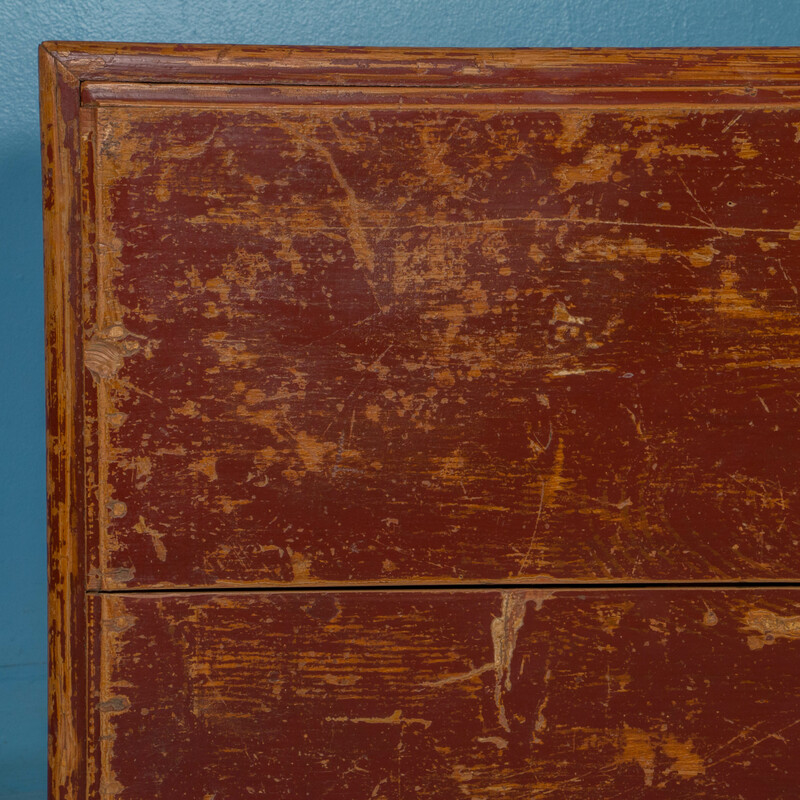 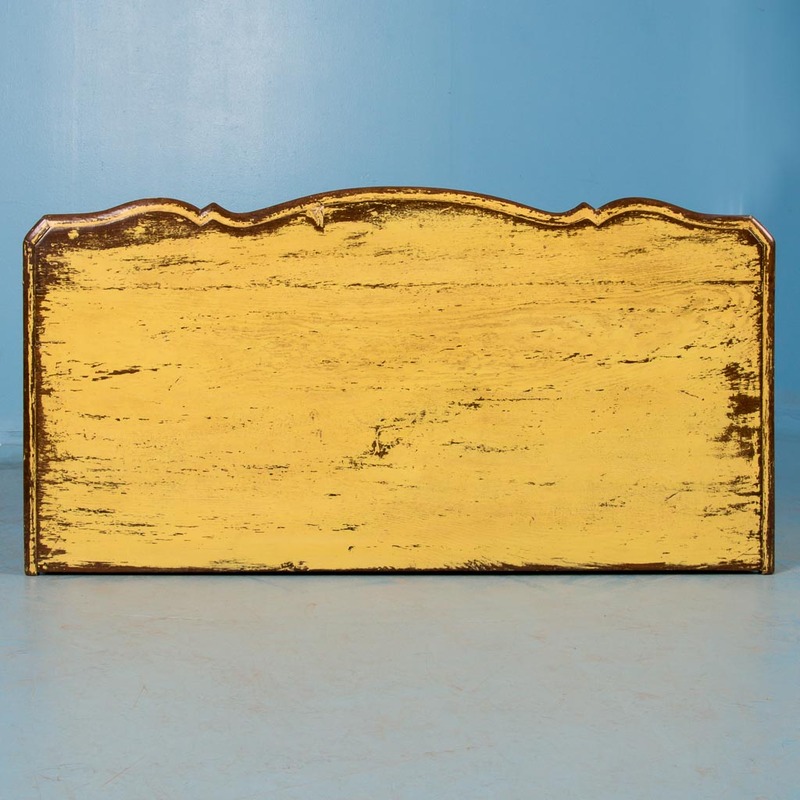 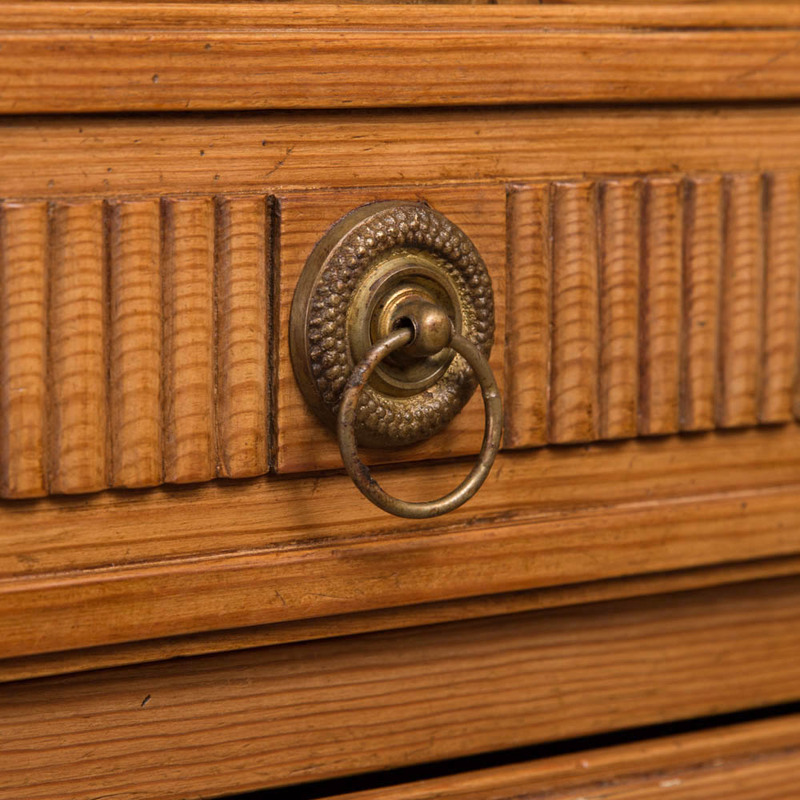 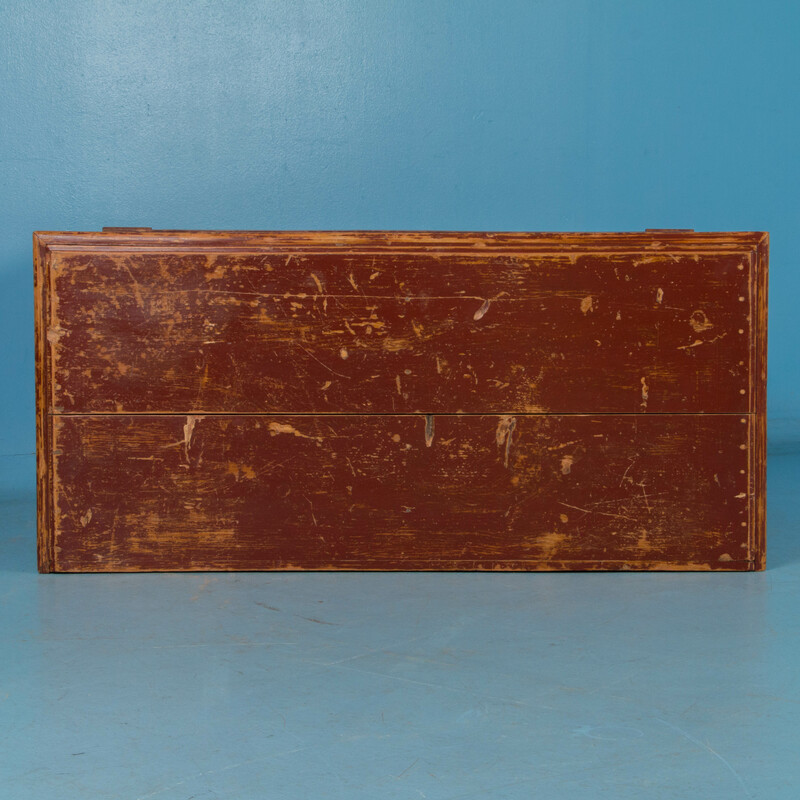 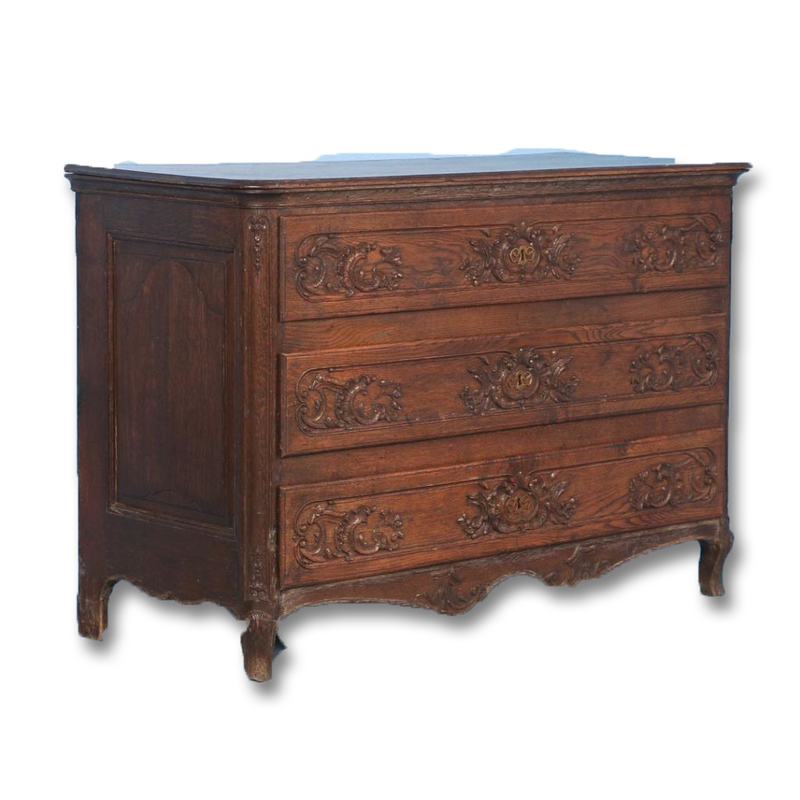 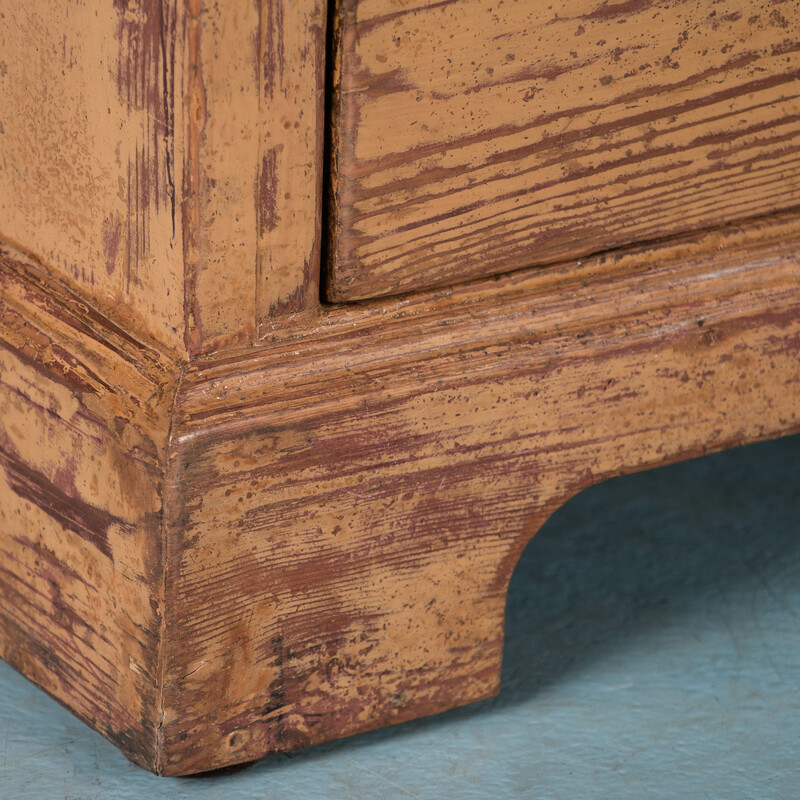 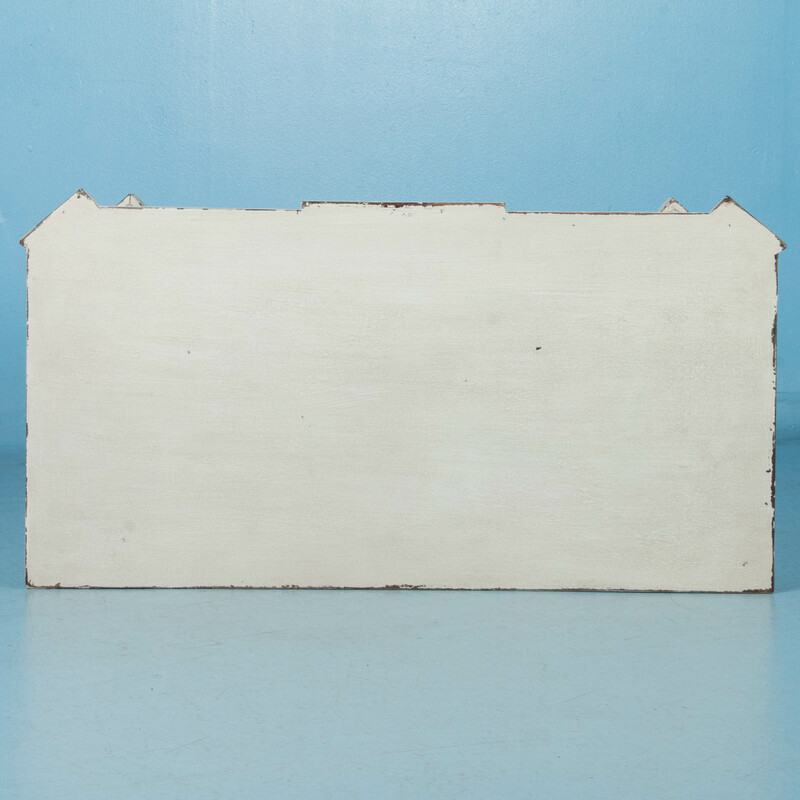 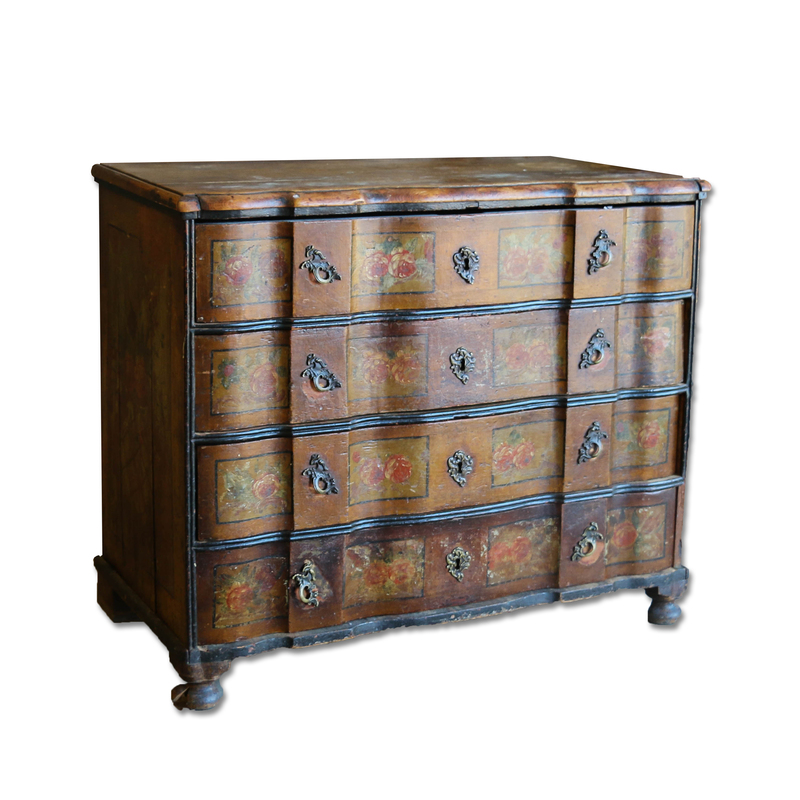 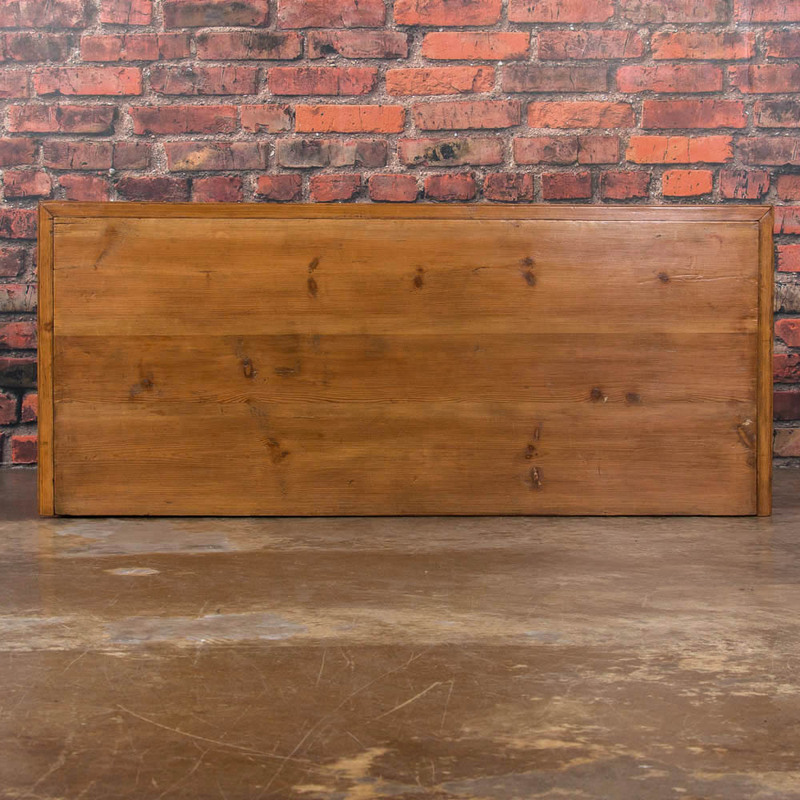 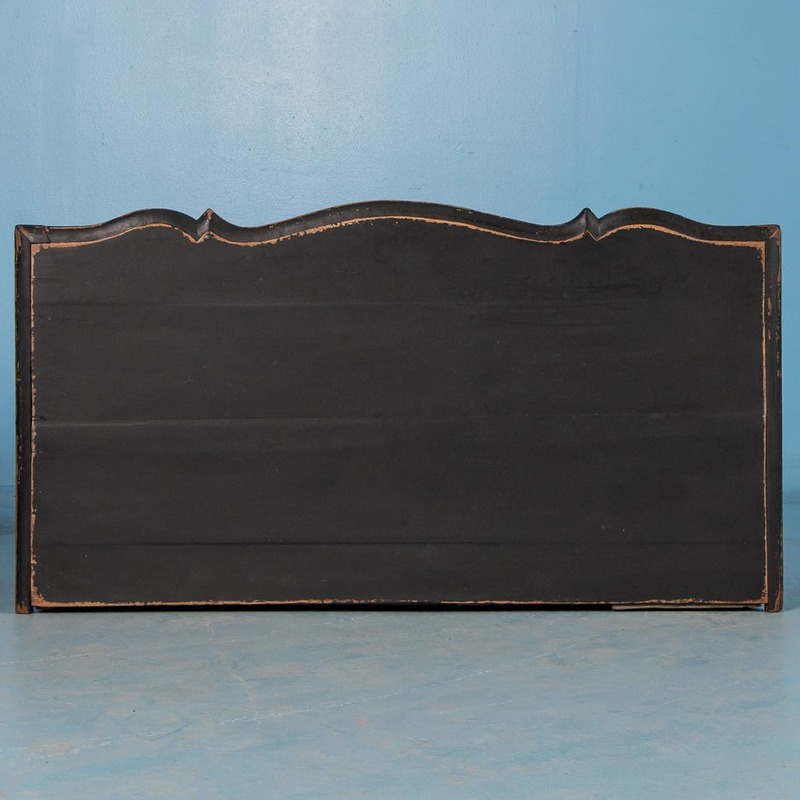 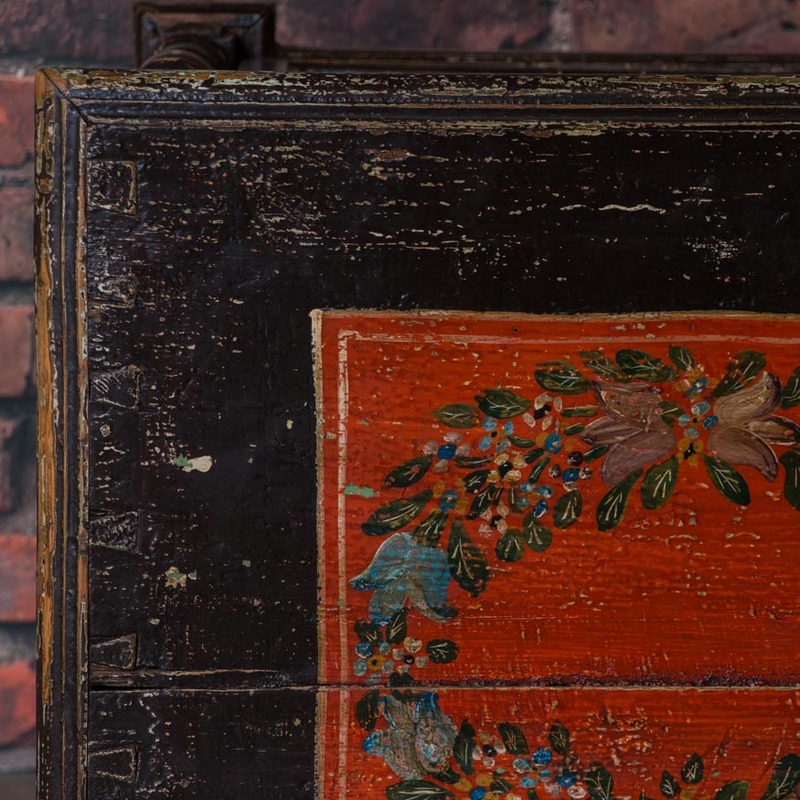 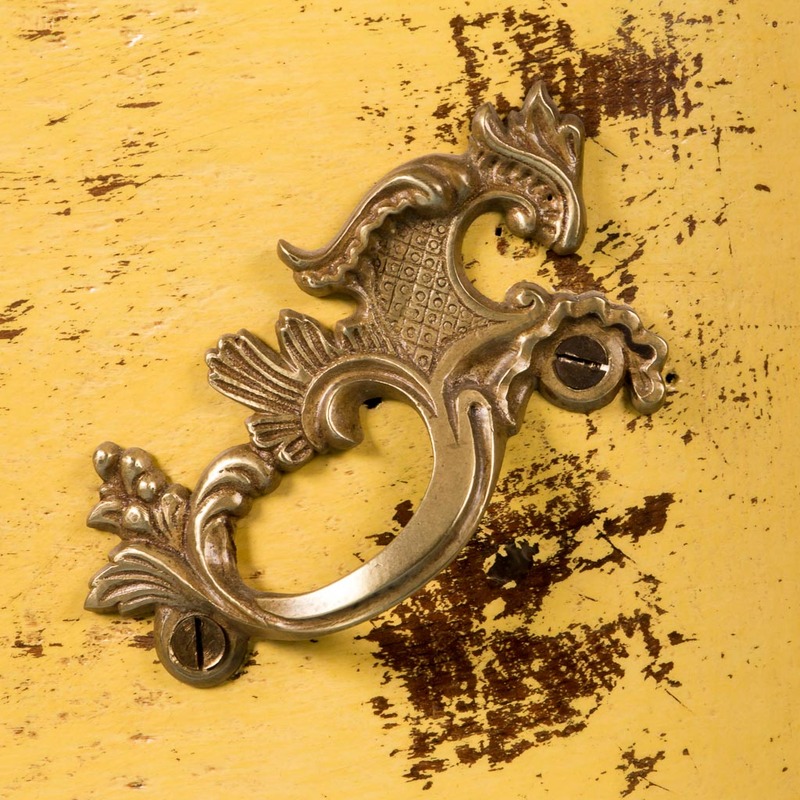 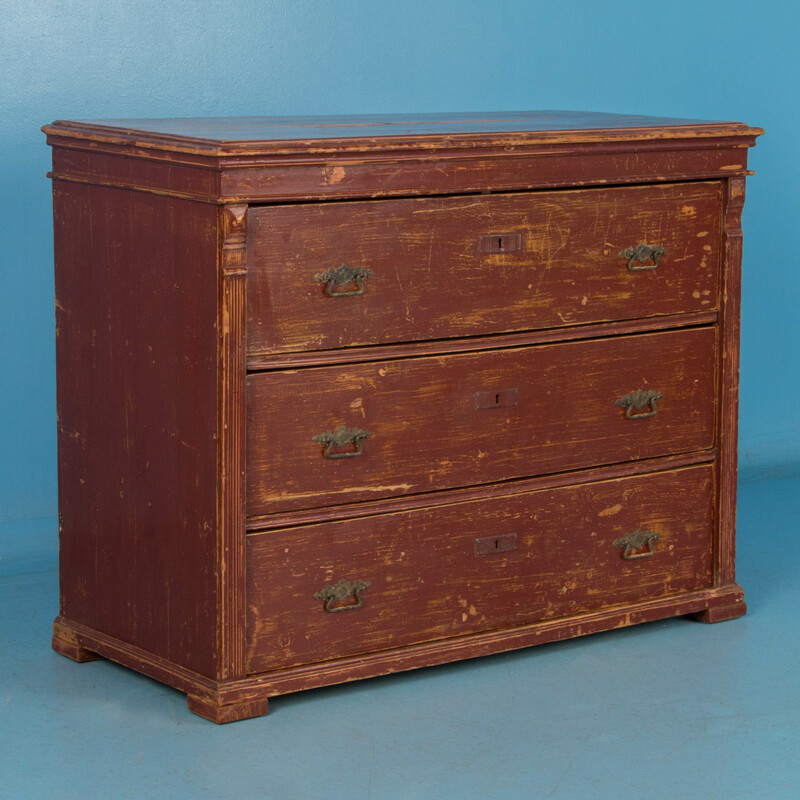 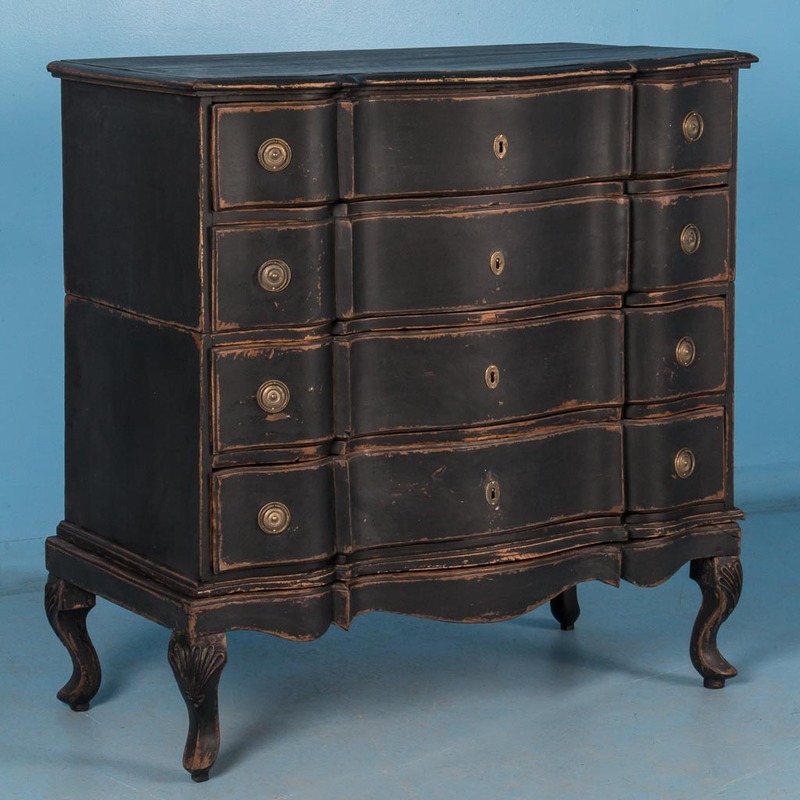 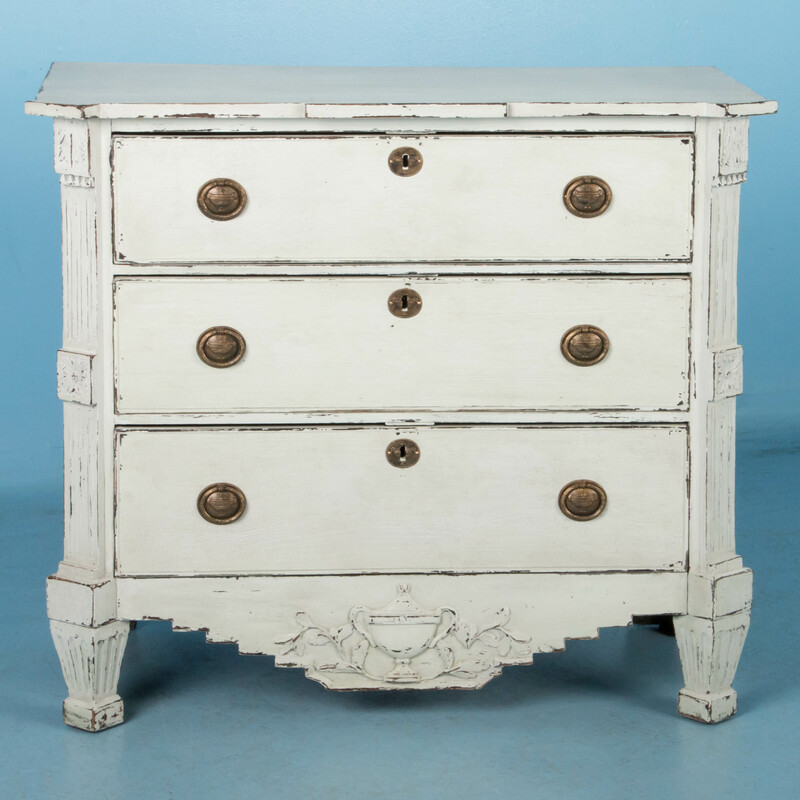 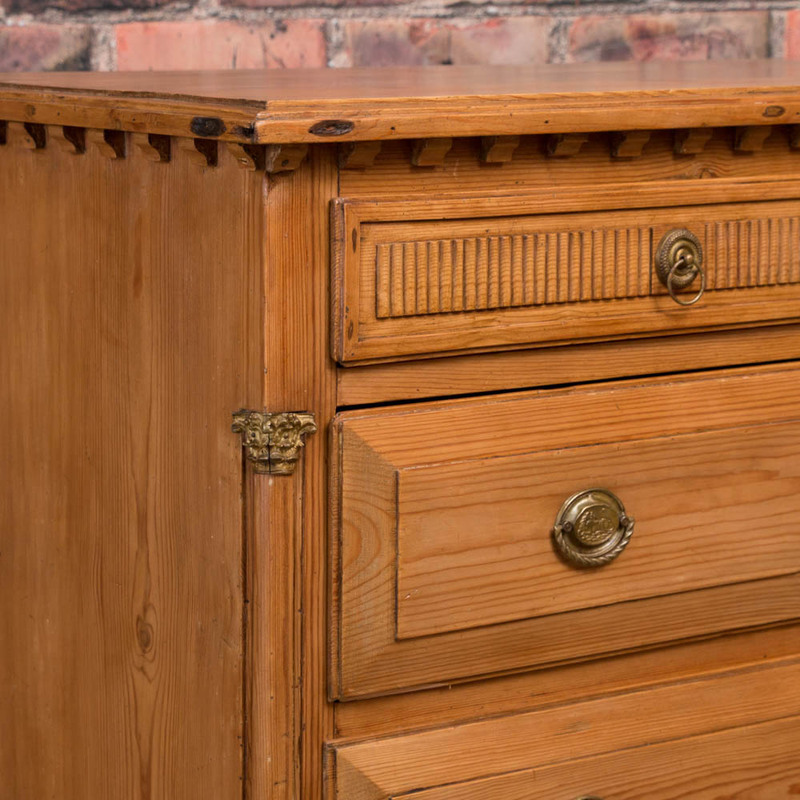 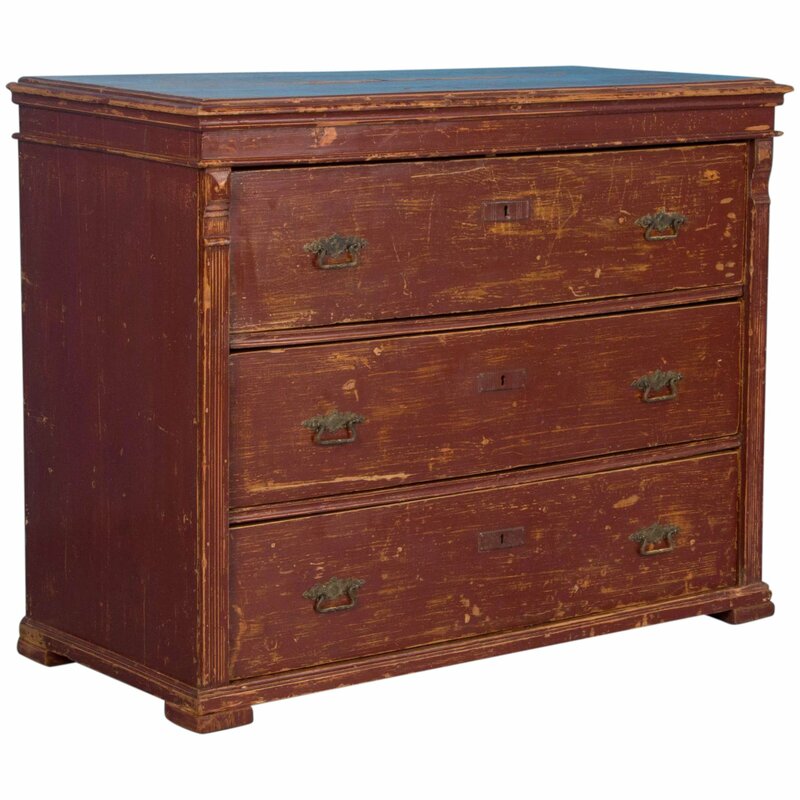 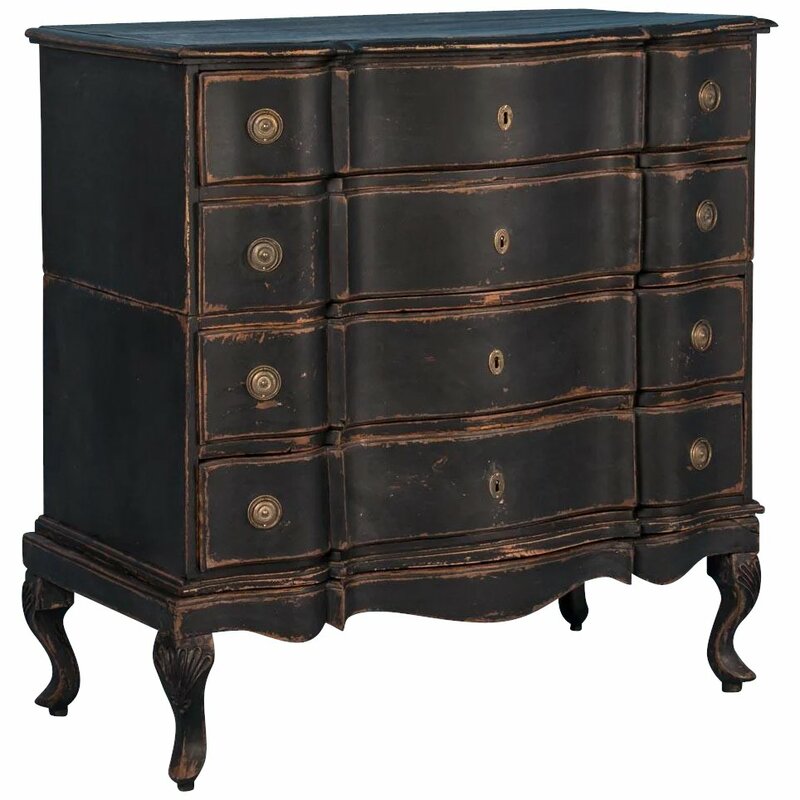 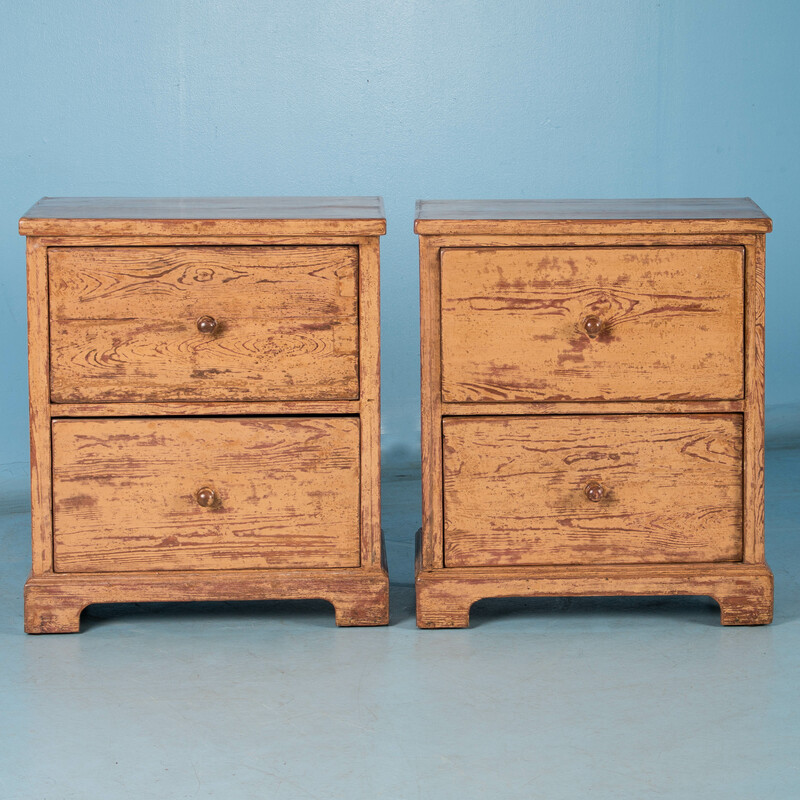 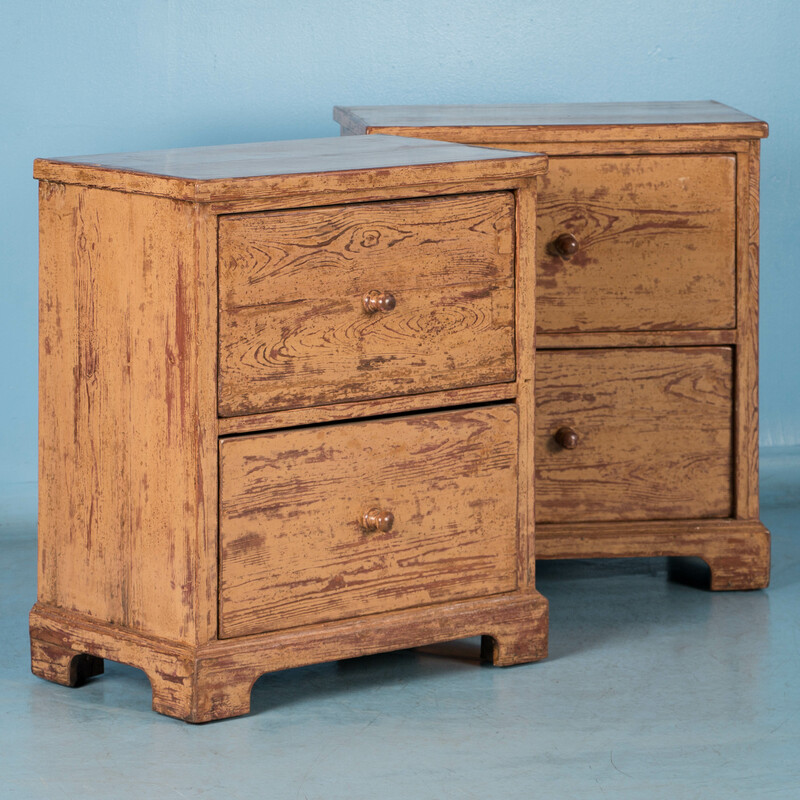 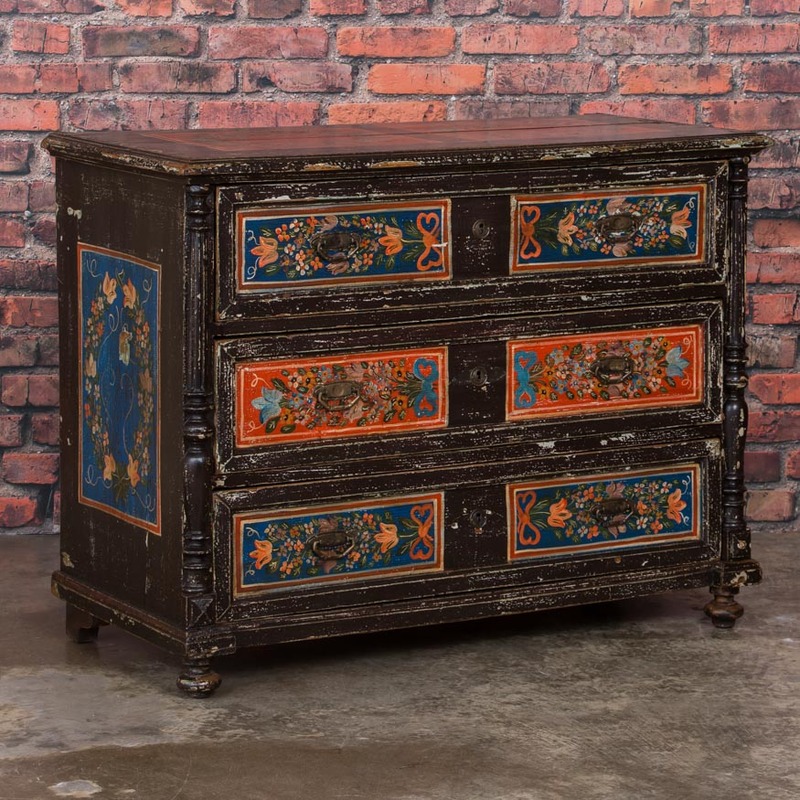 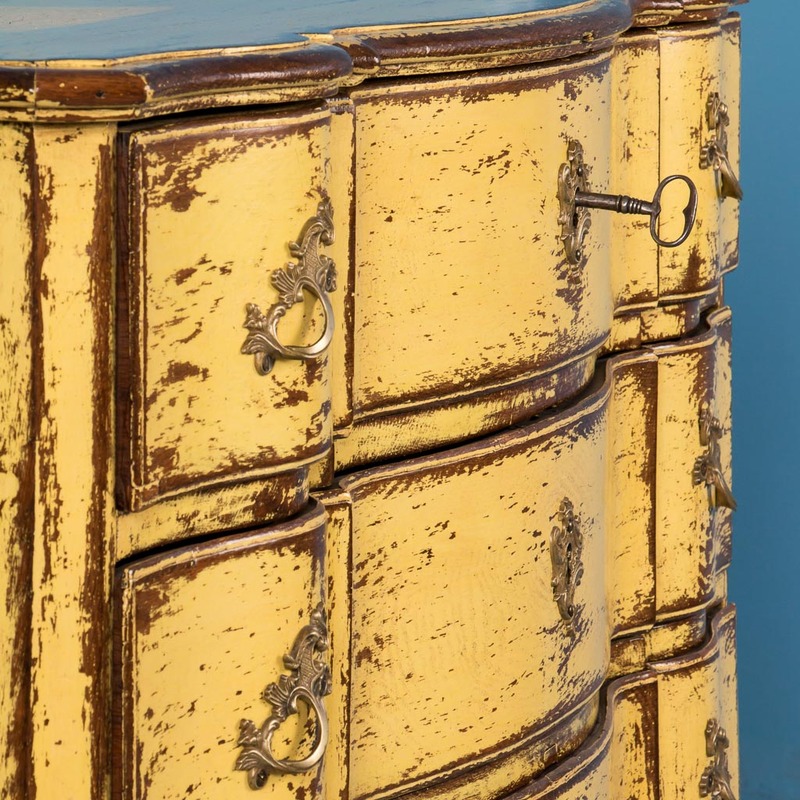 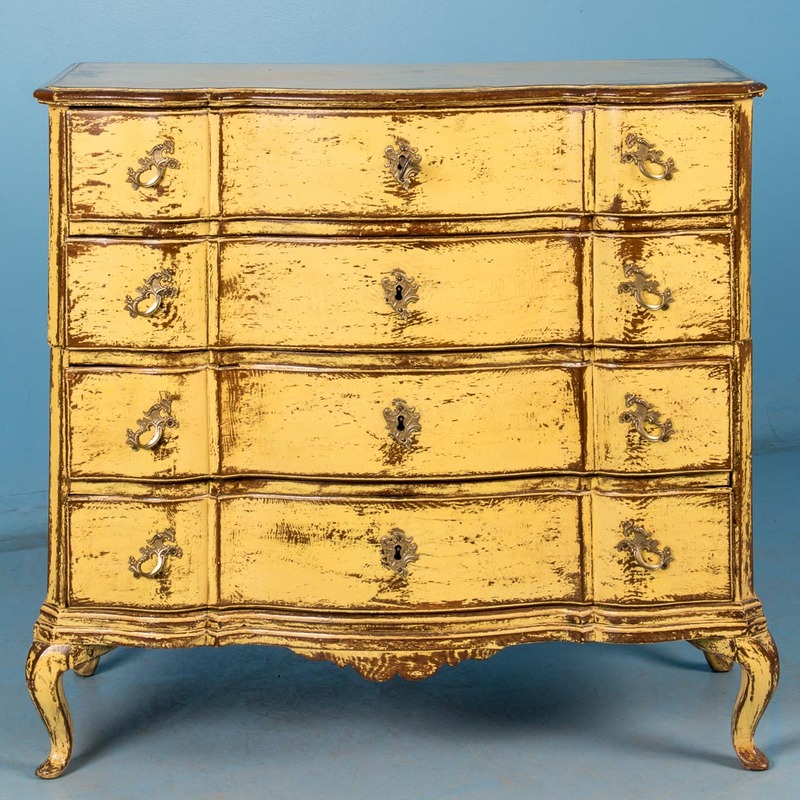 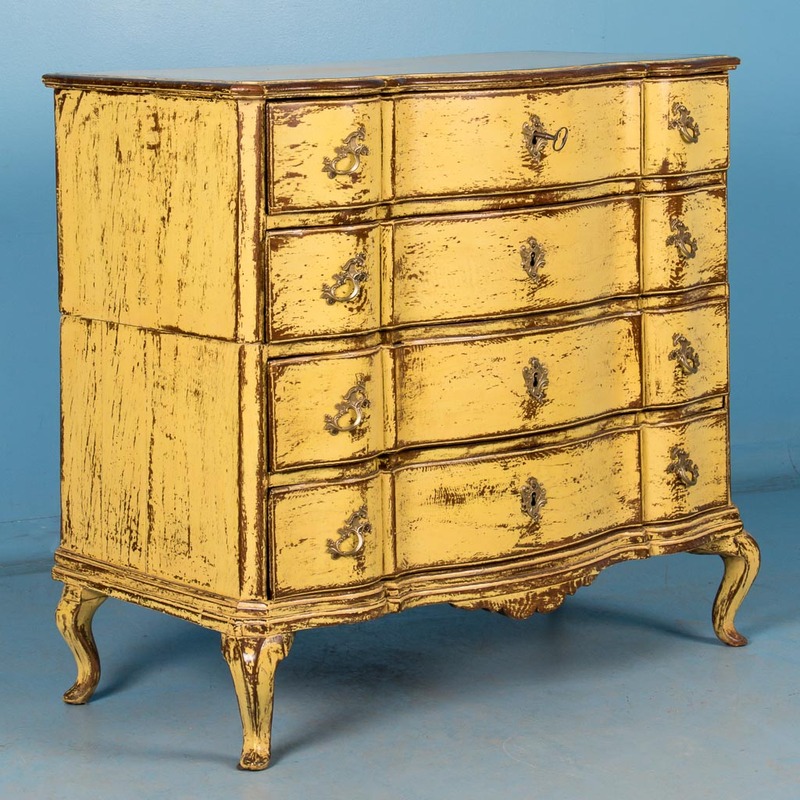 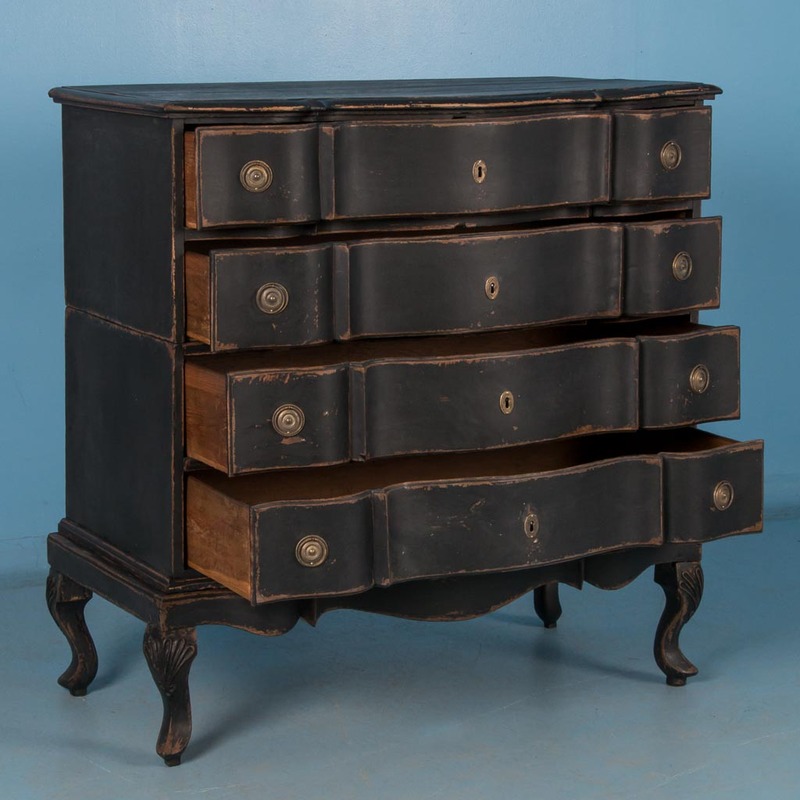 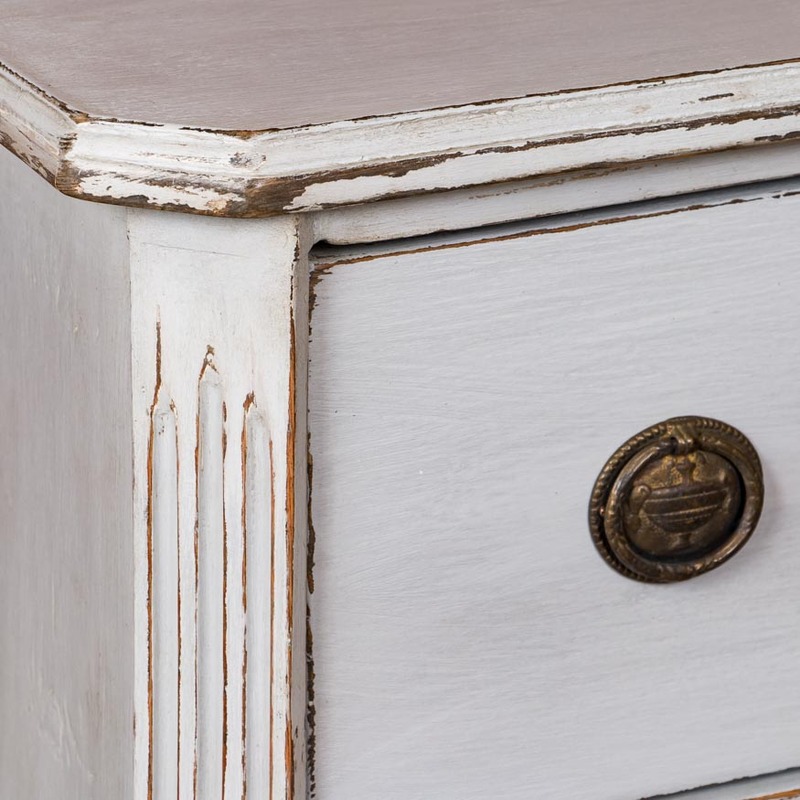 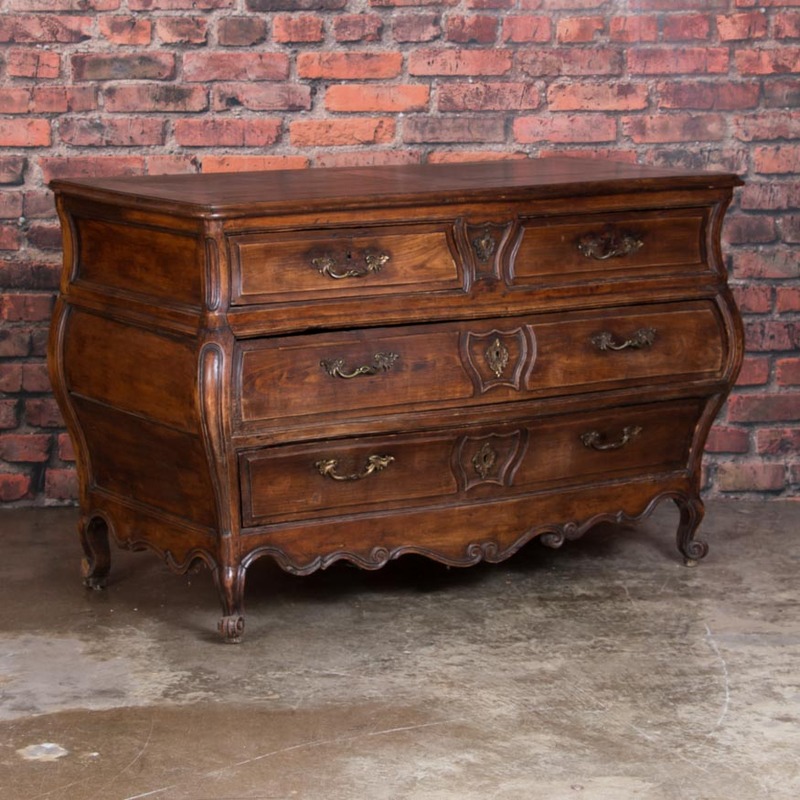 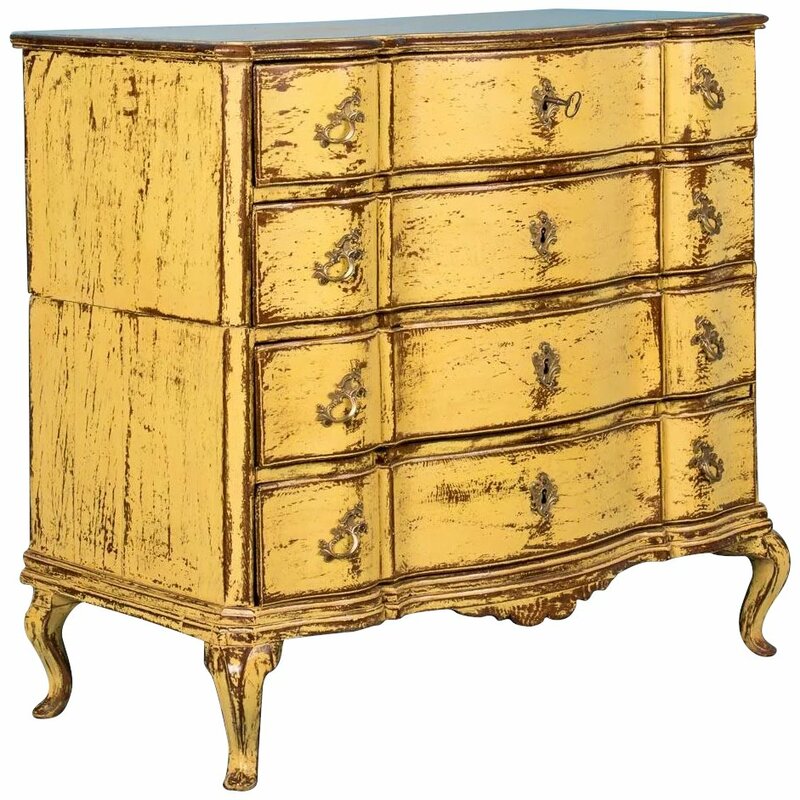 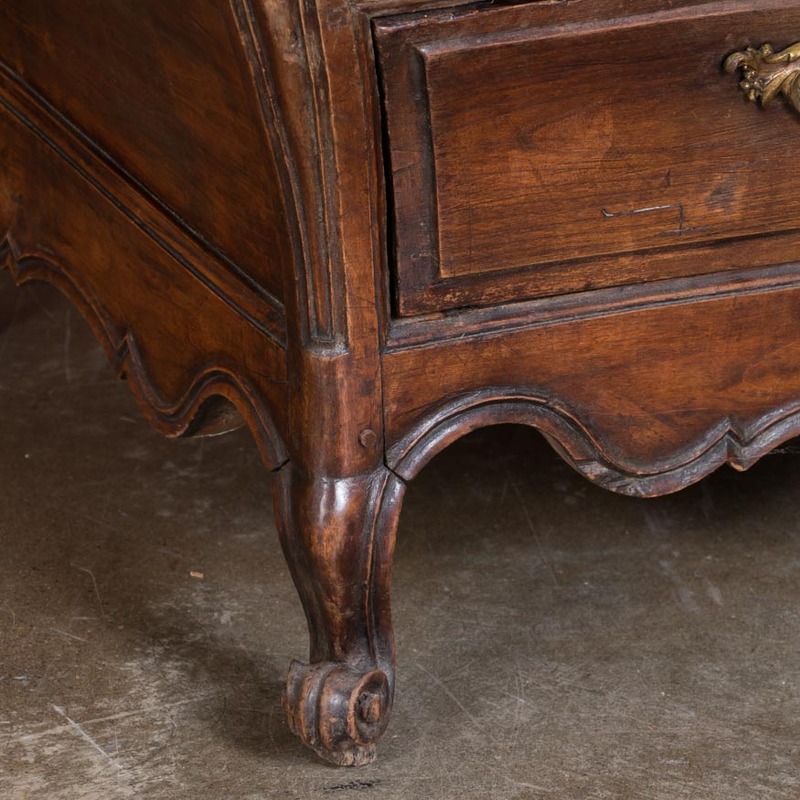 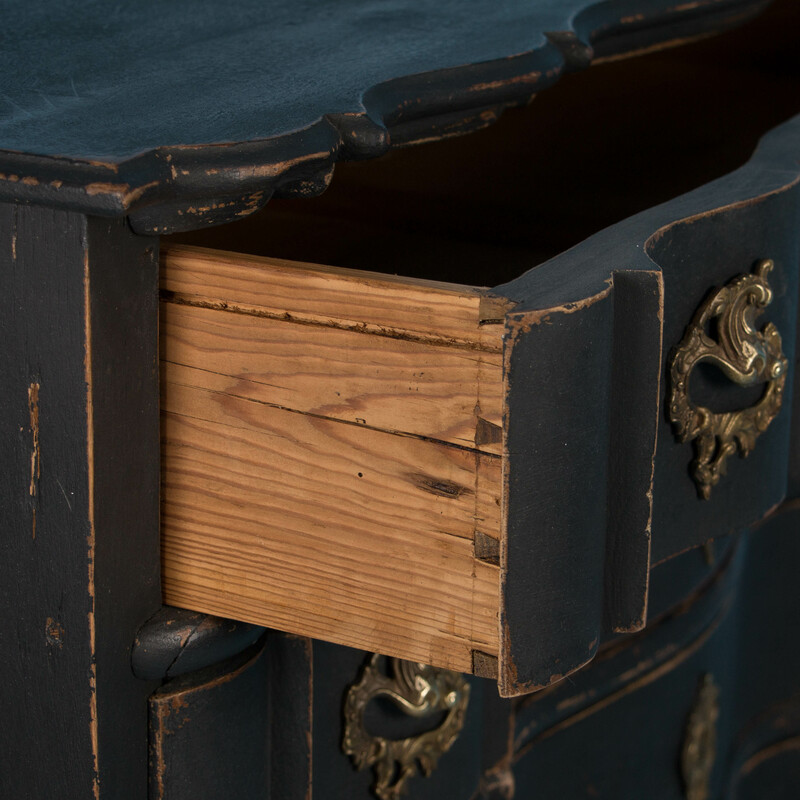 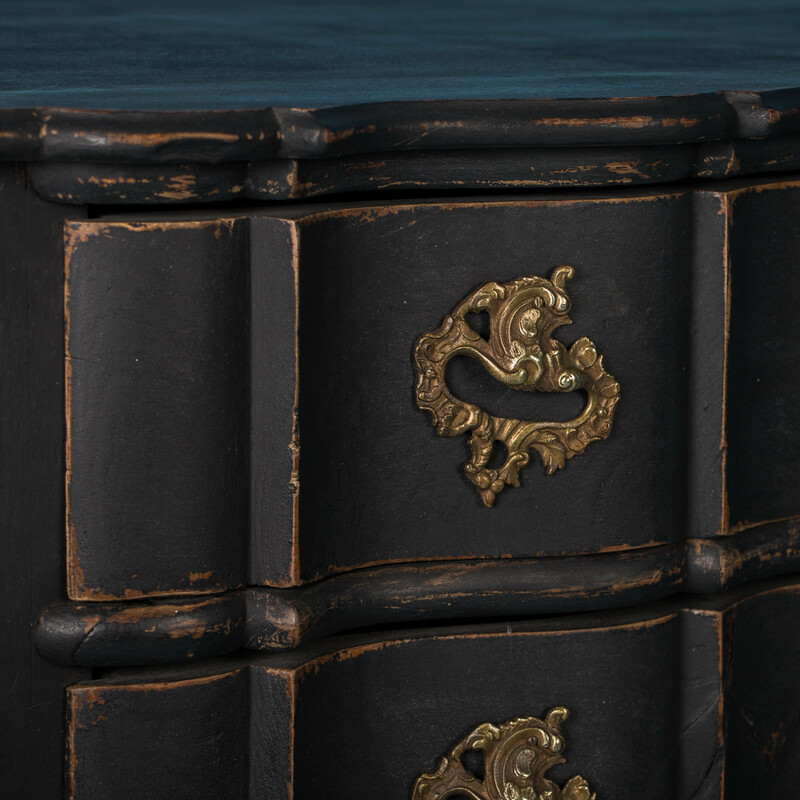 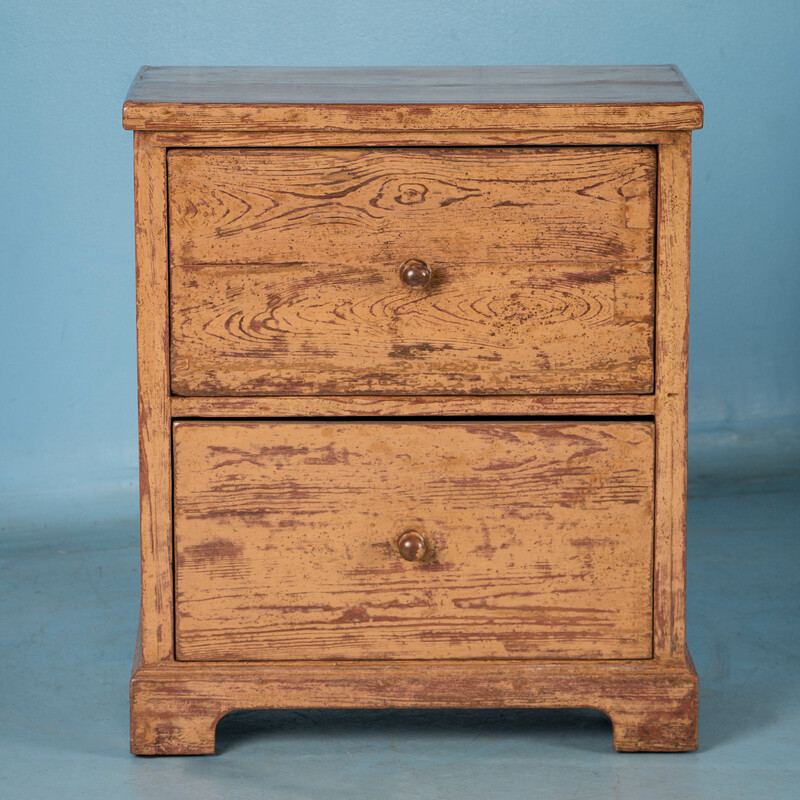 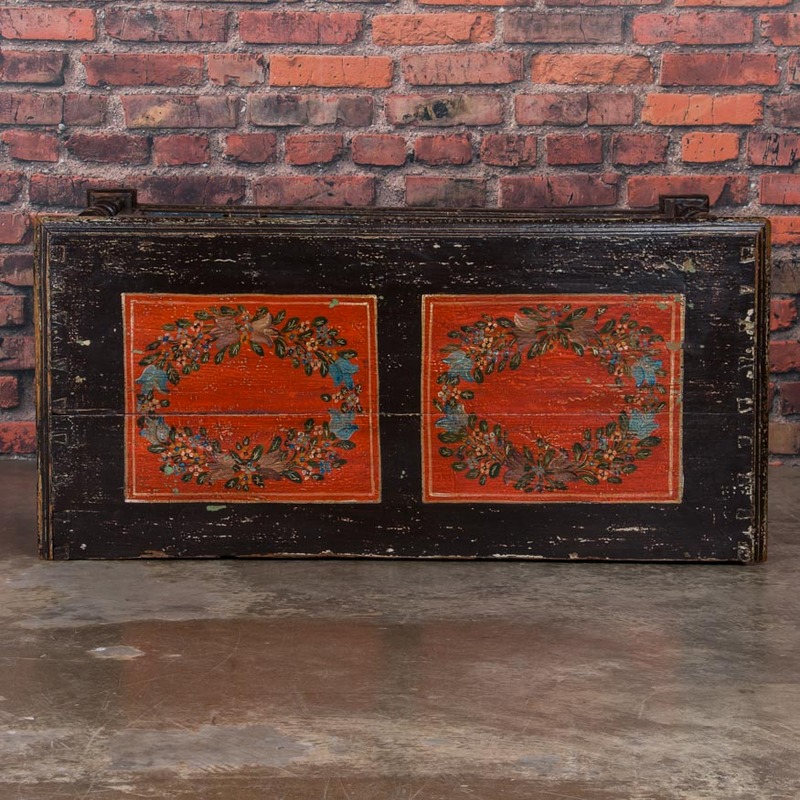 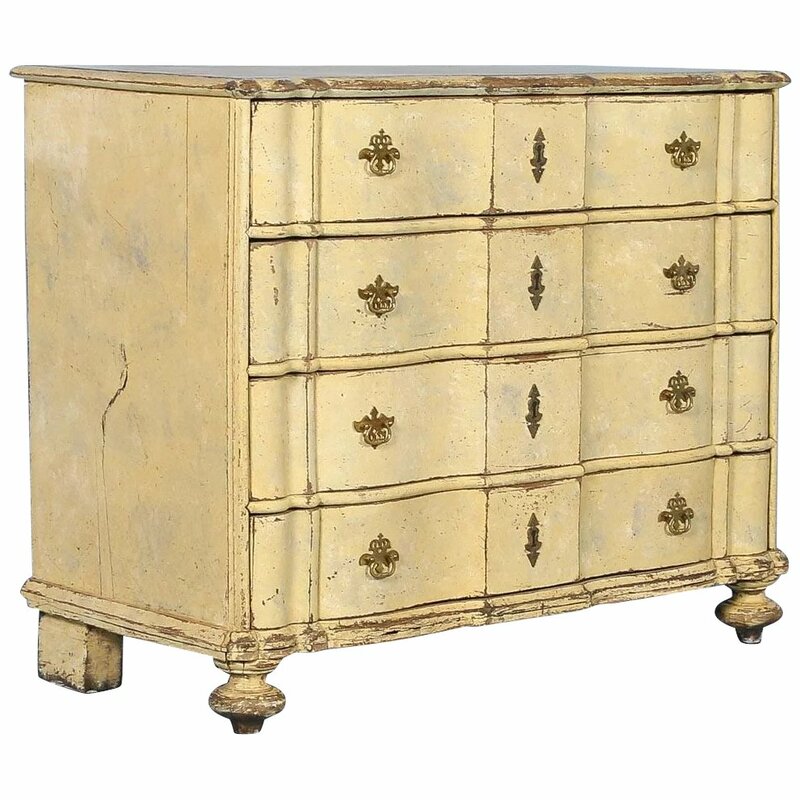 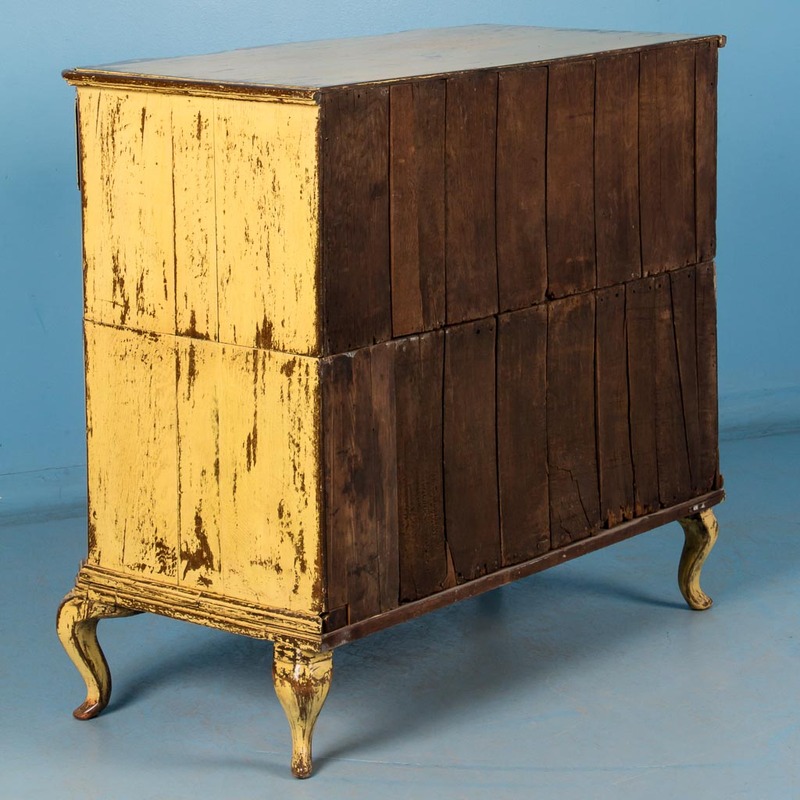 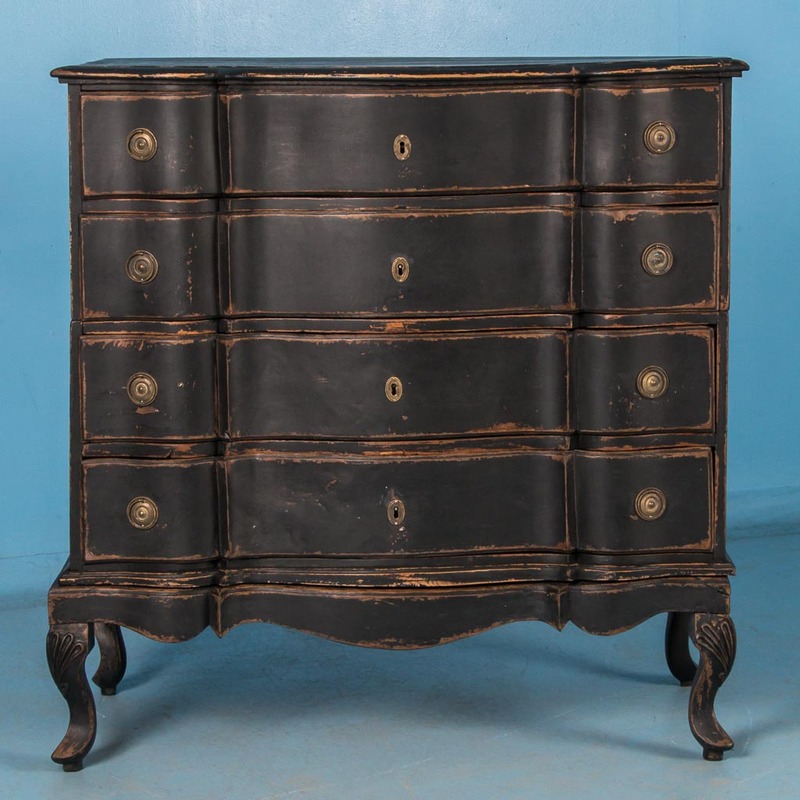 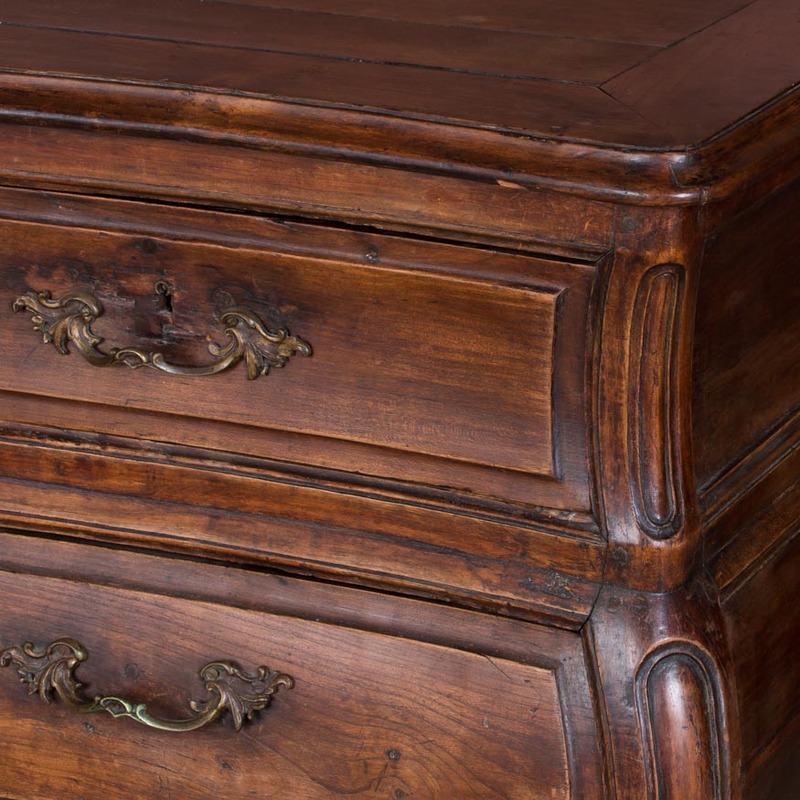 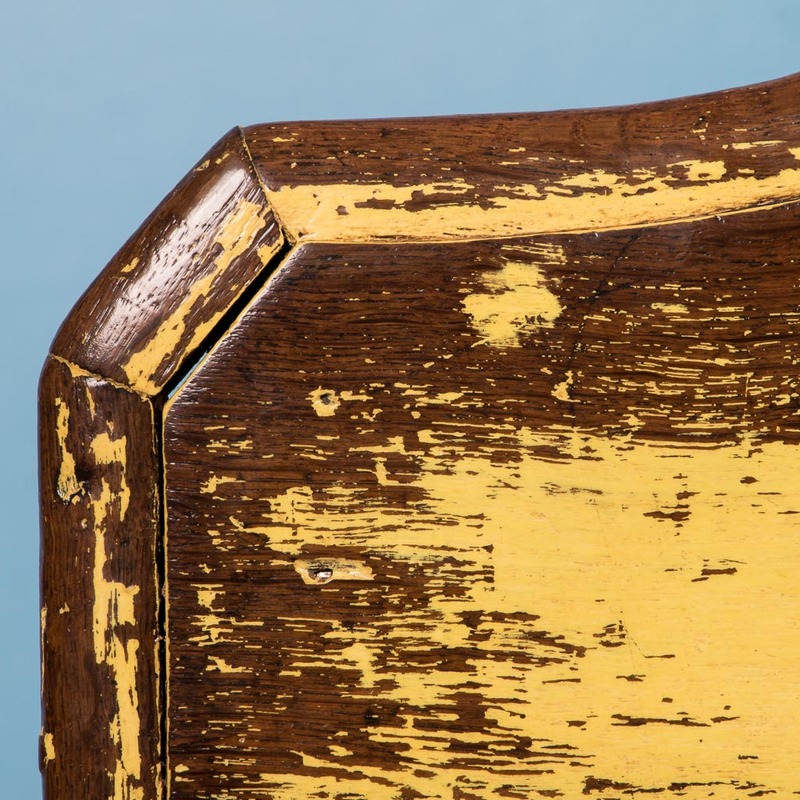 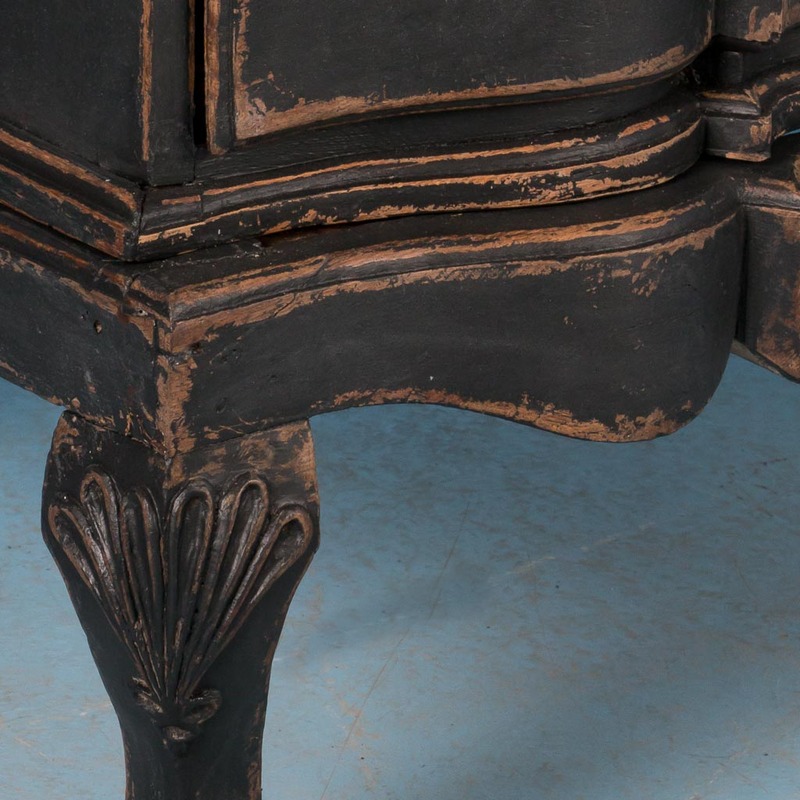 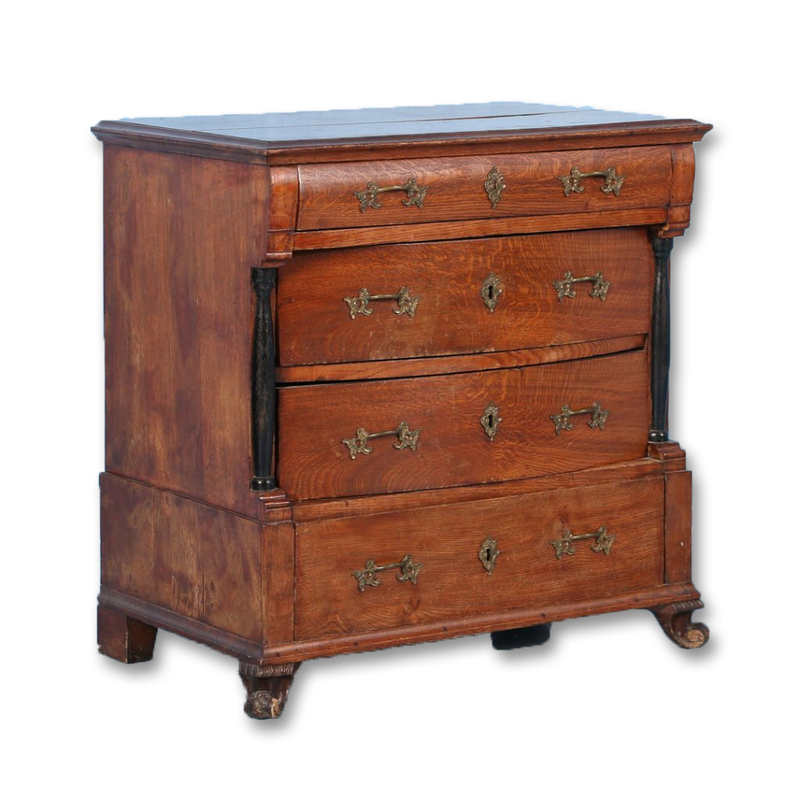 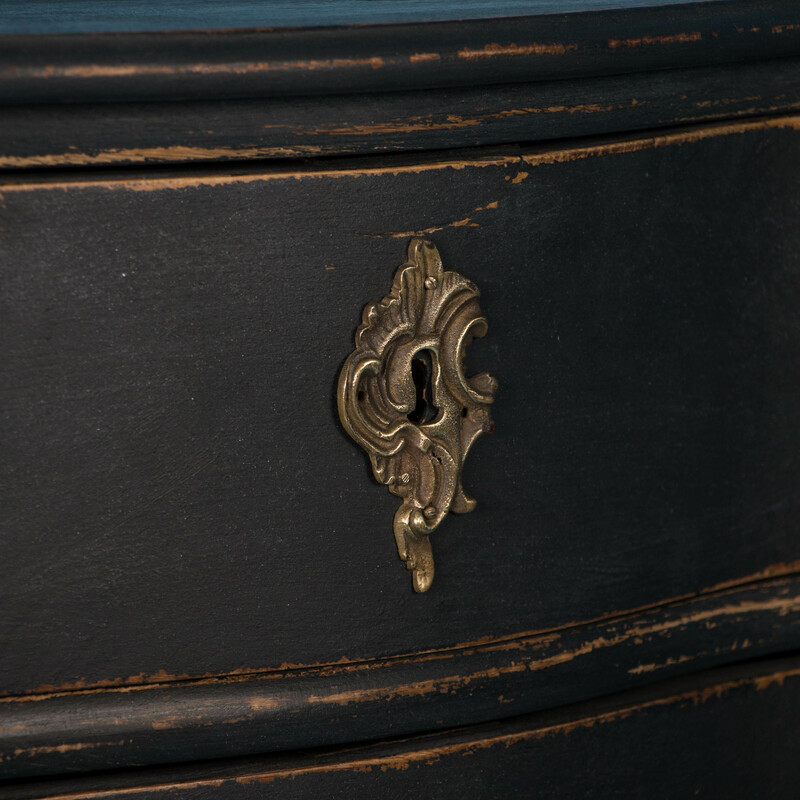 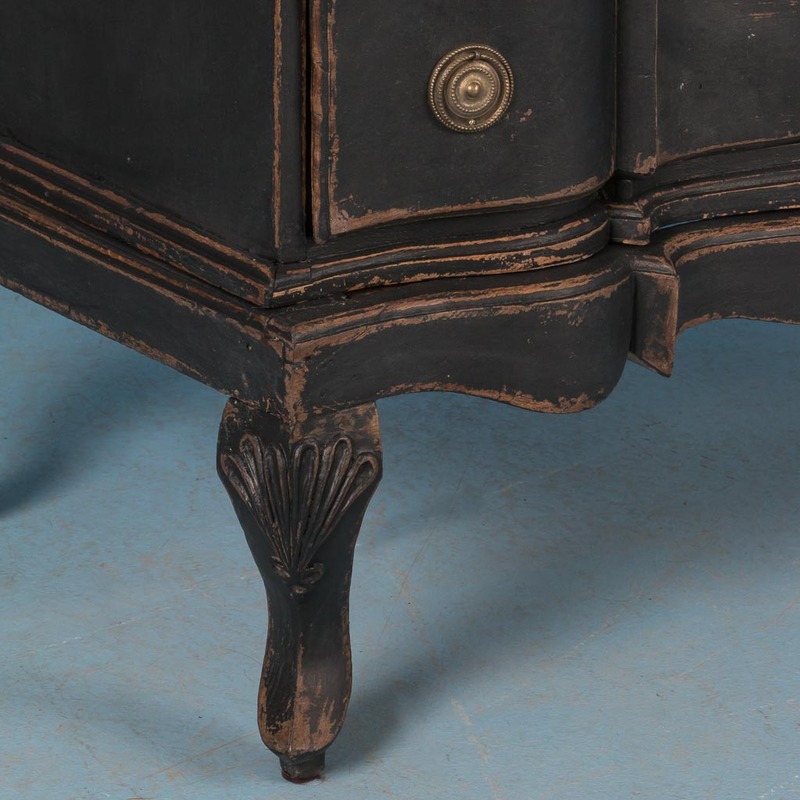 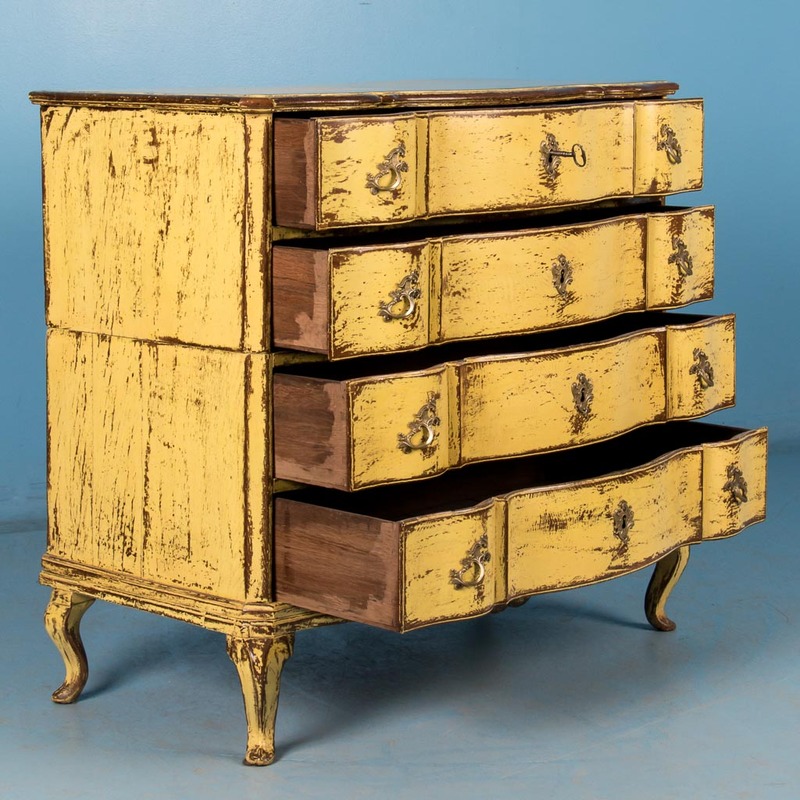 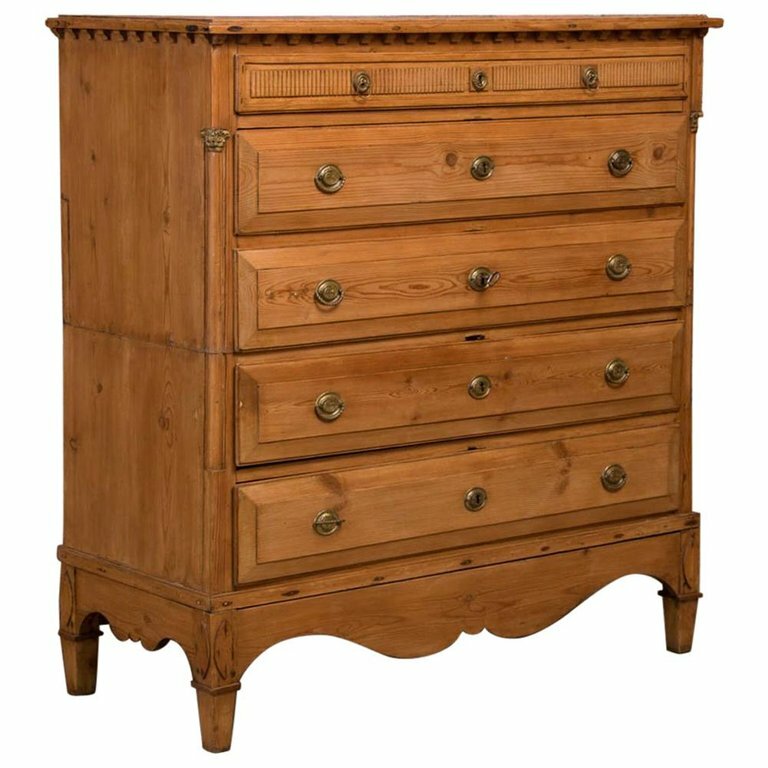 Hand Carved 18th century French provencial chest of drawers made from chestnut. 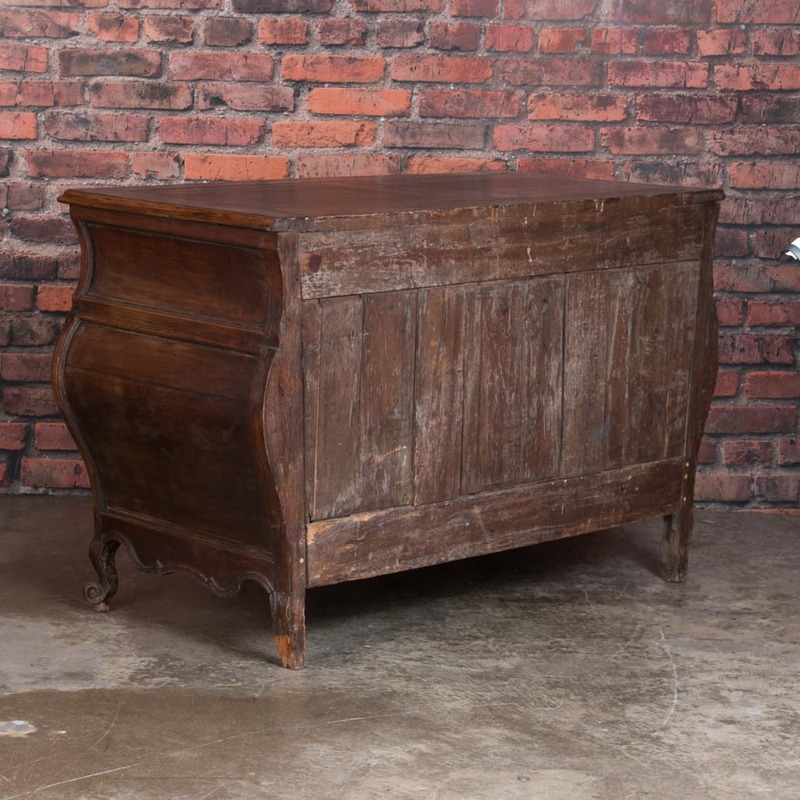 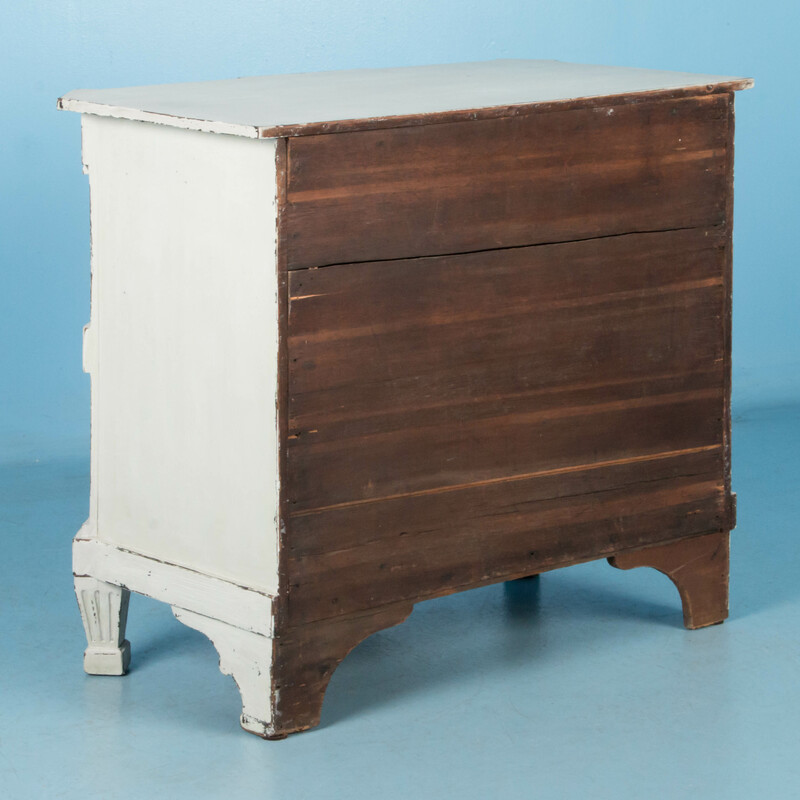 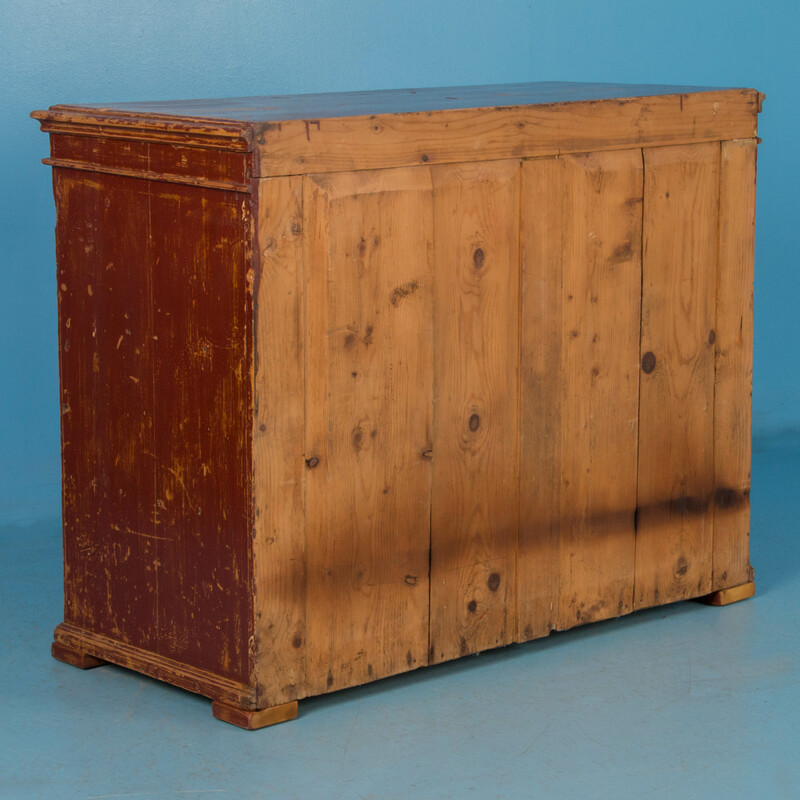 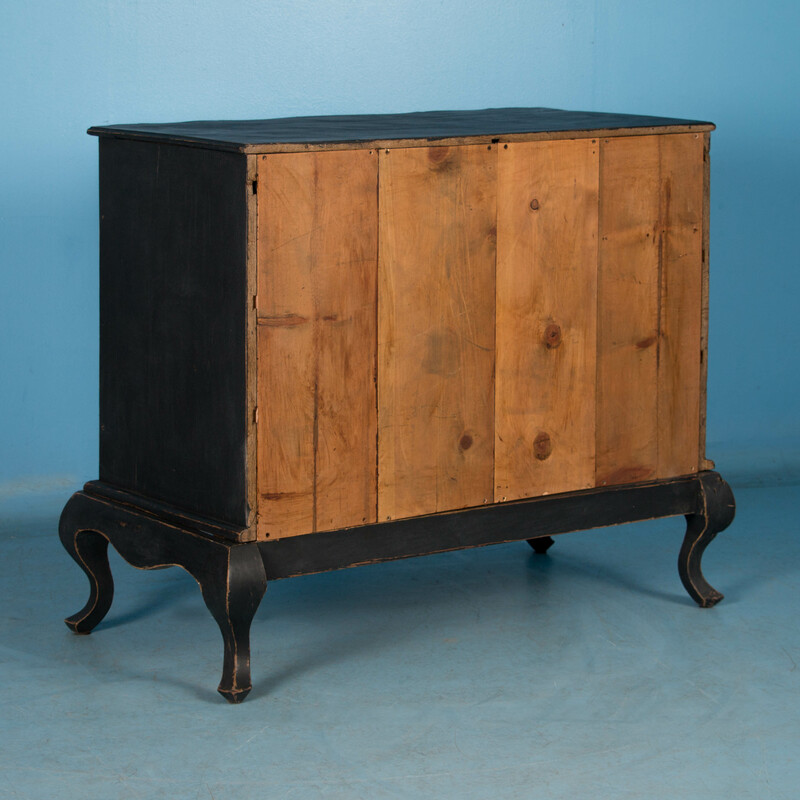 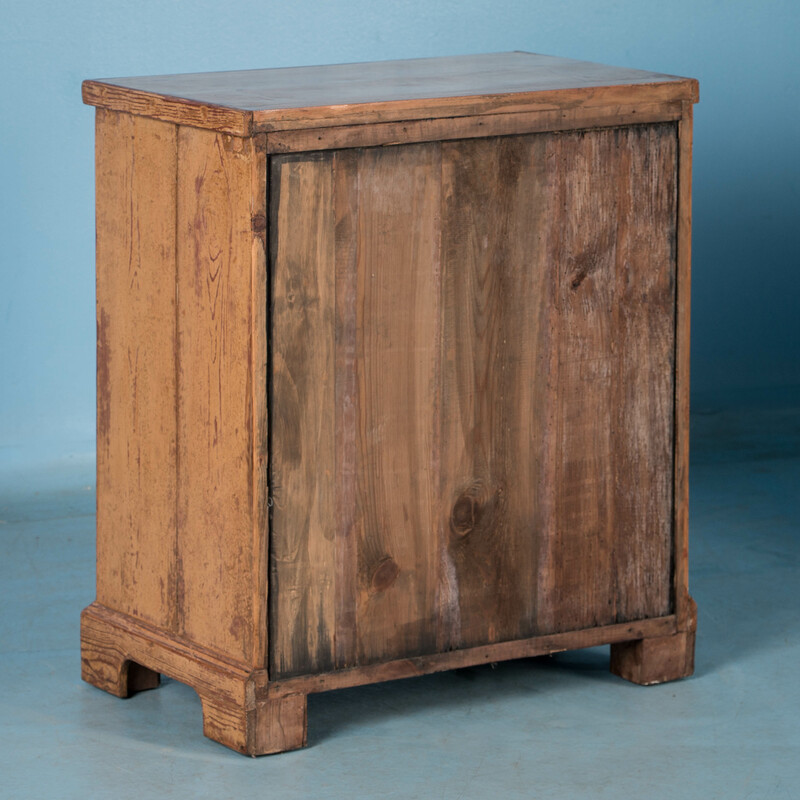 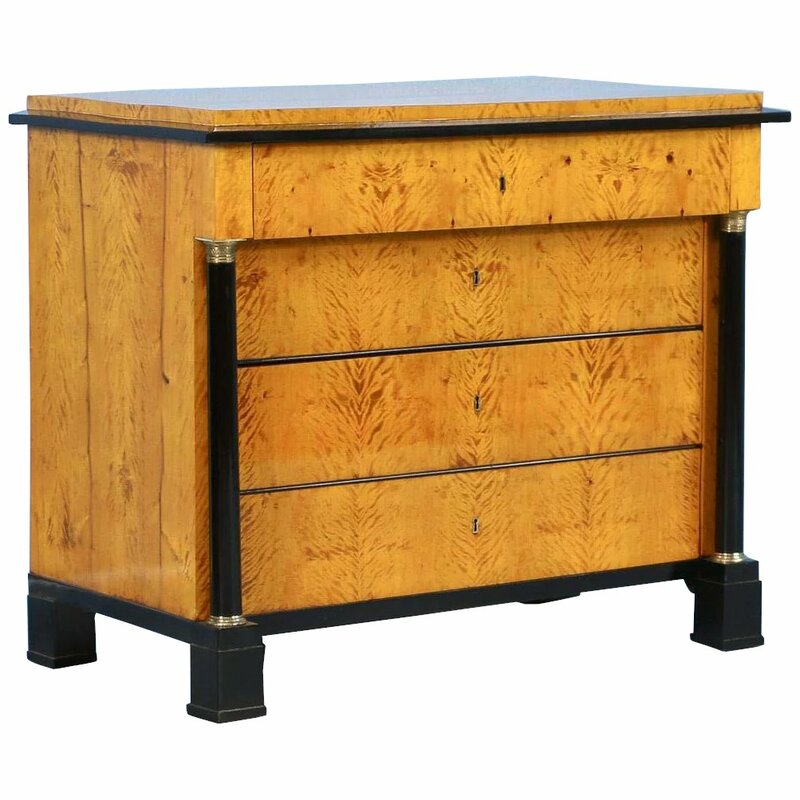 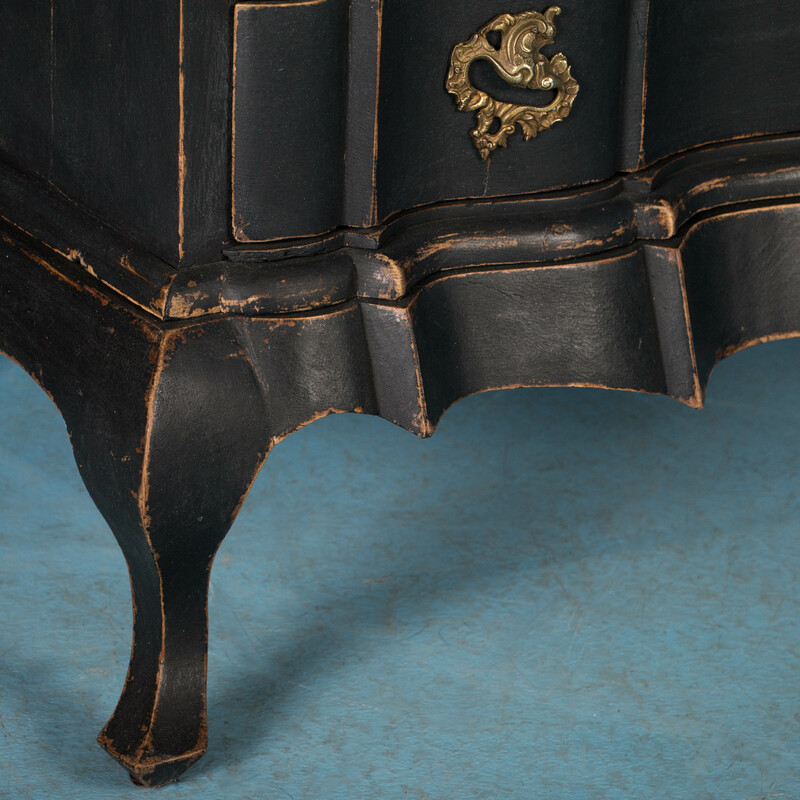 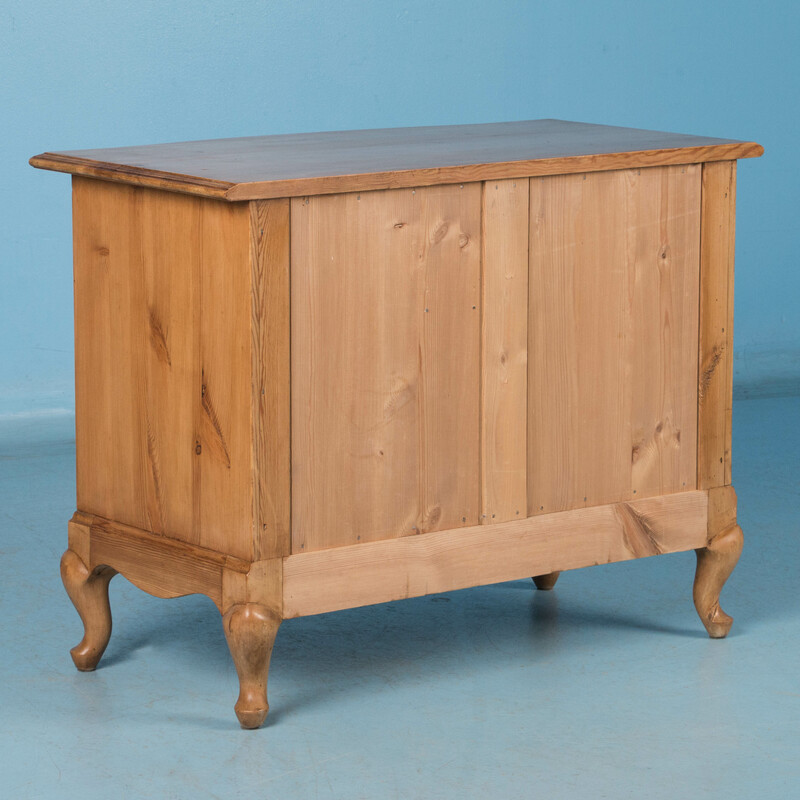 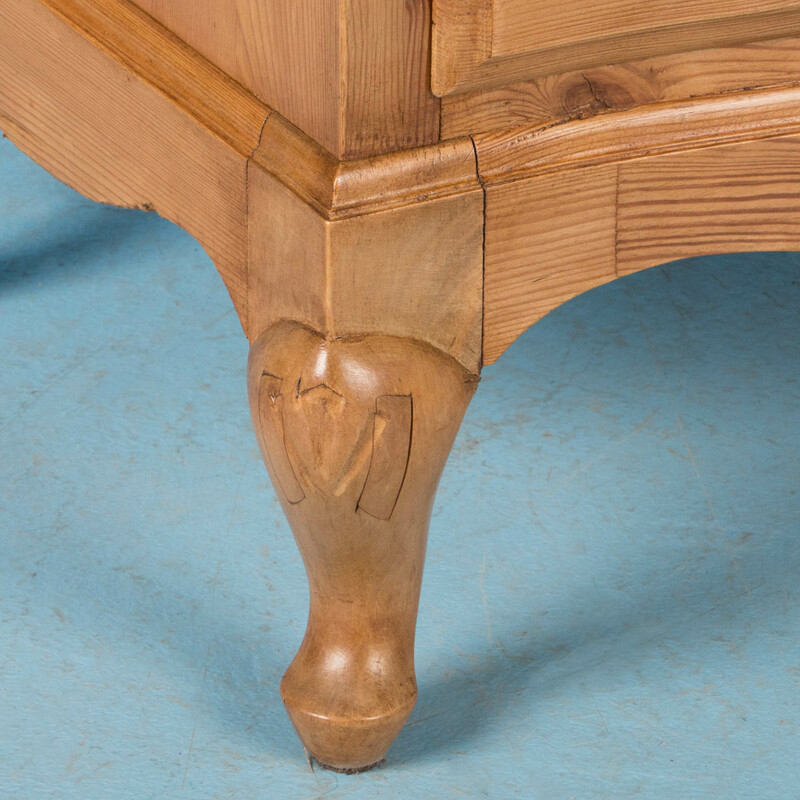 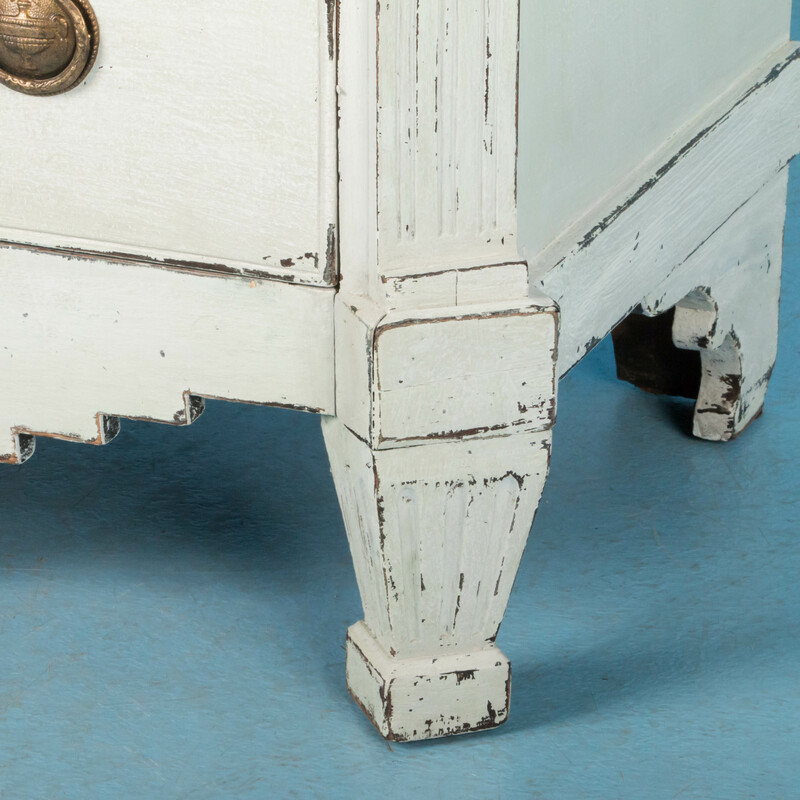 18th century Danish serpantine front oak chest of 4 drawers resting on hand carved ball and claw cabriole legs. 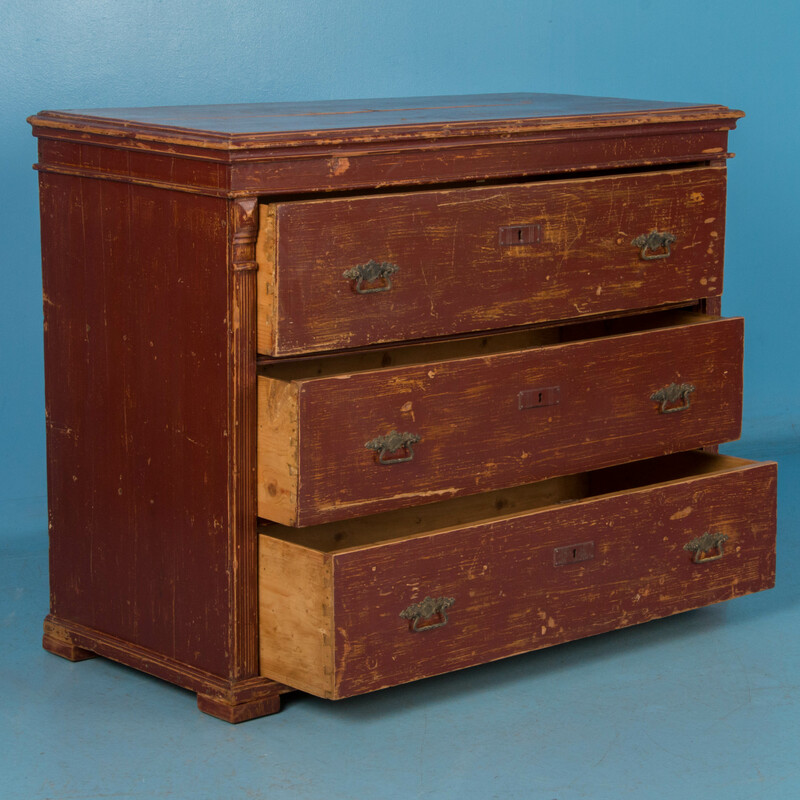 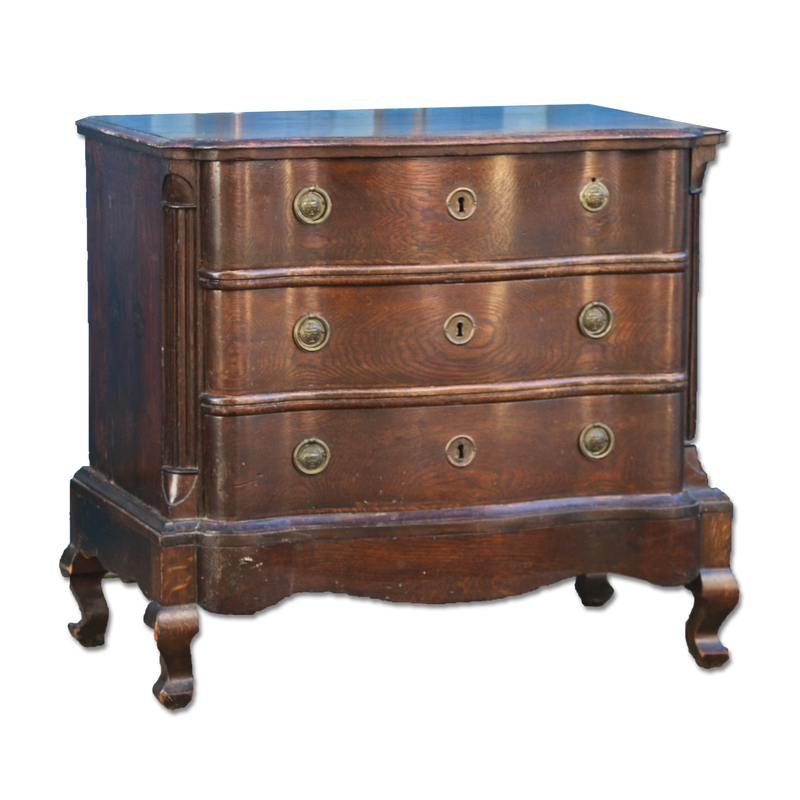 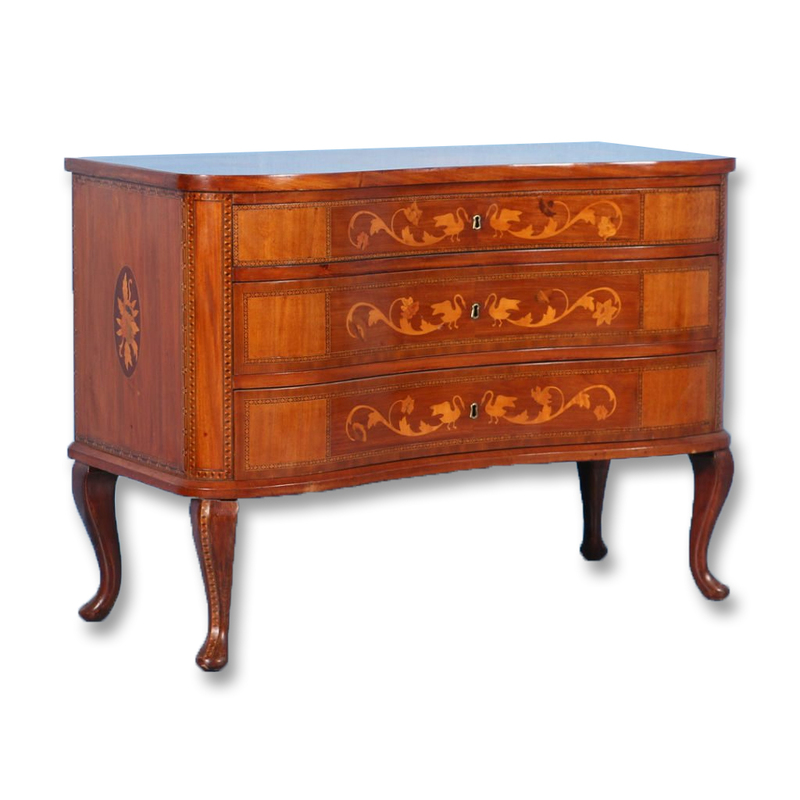 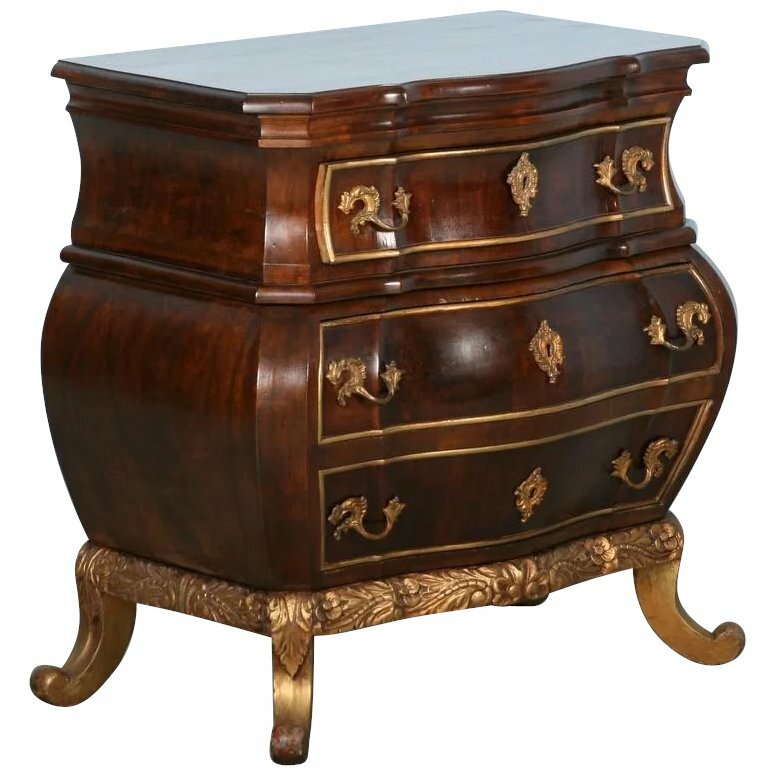 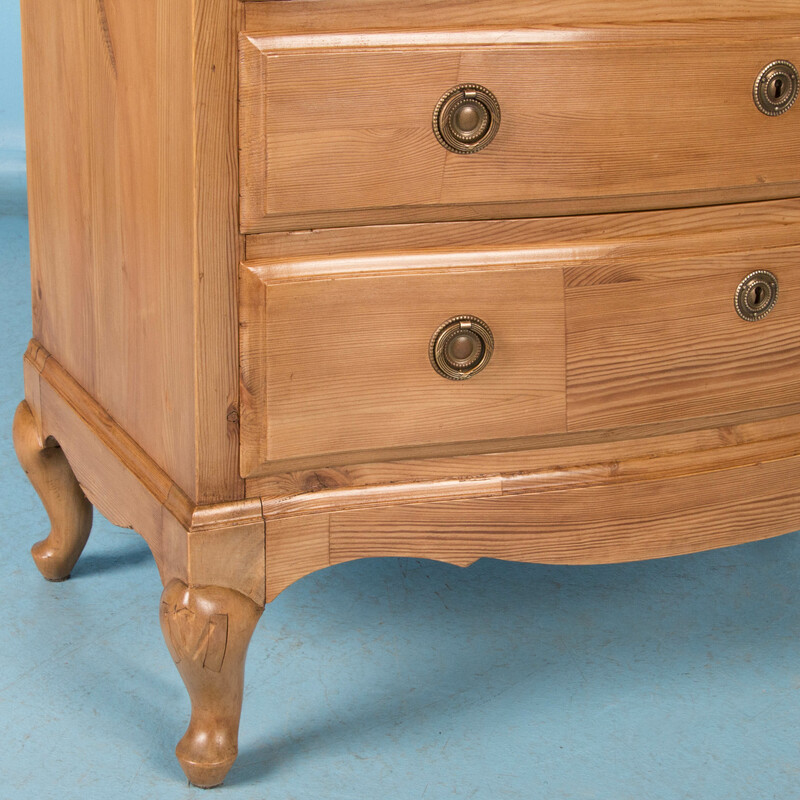 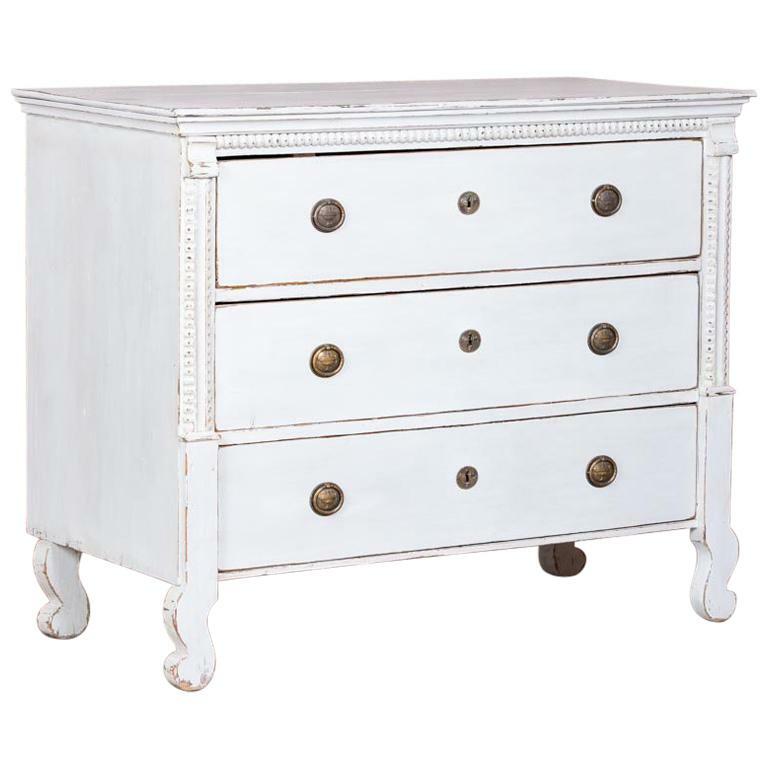 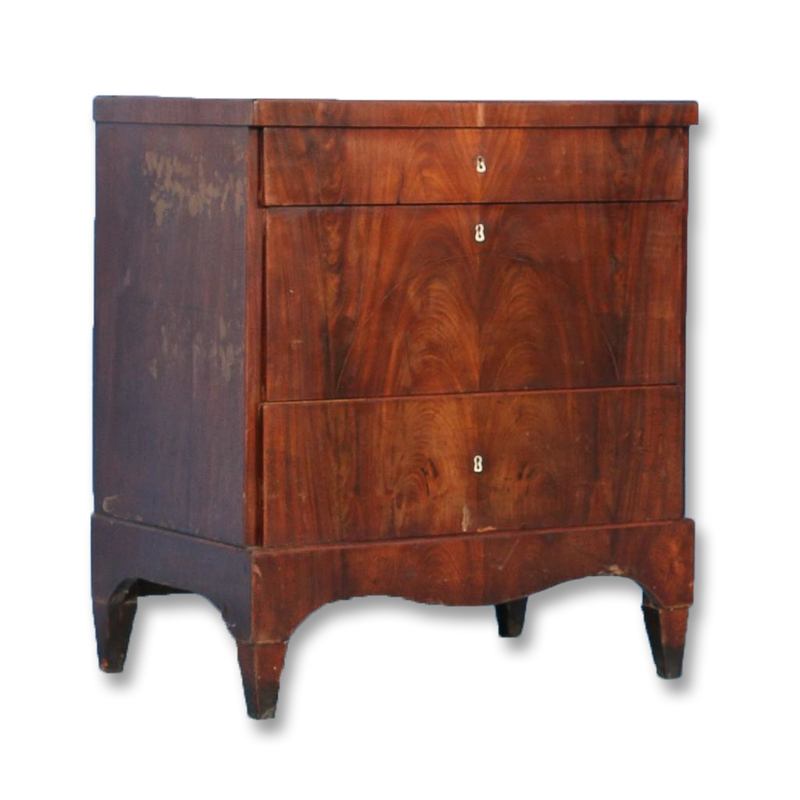 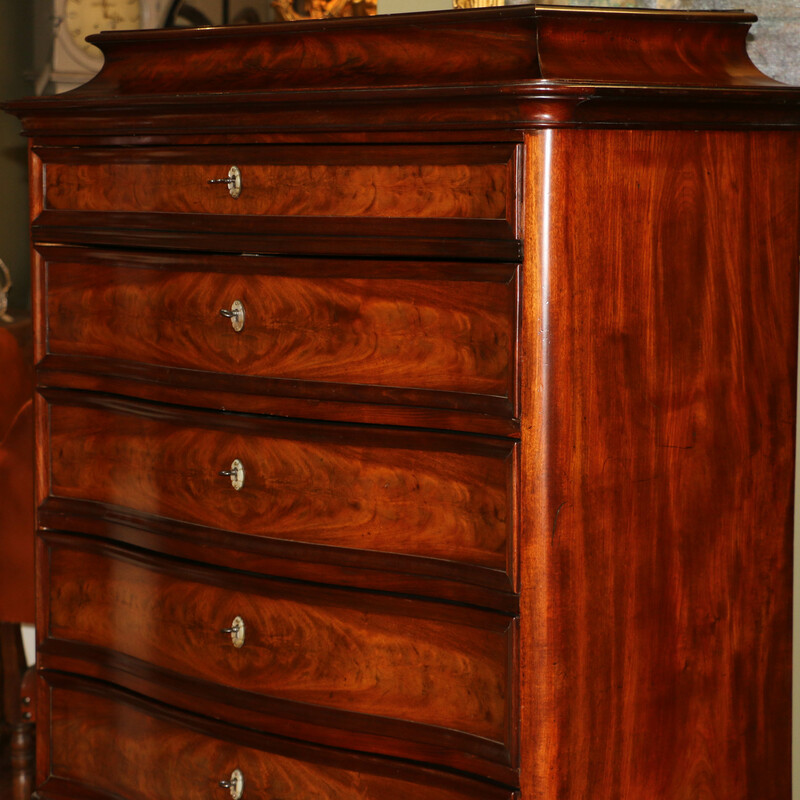 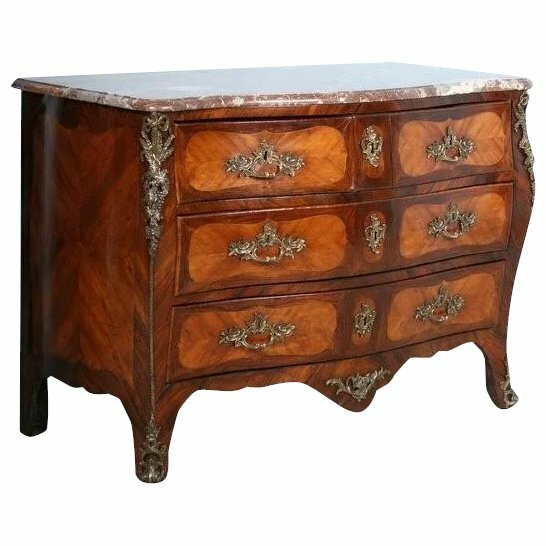 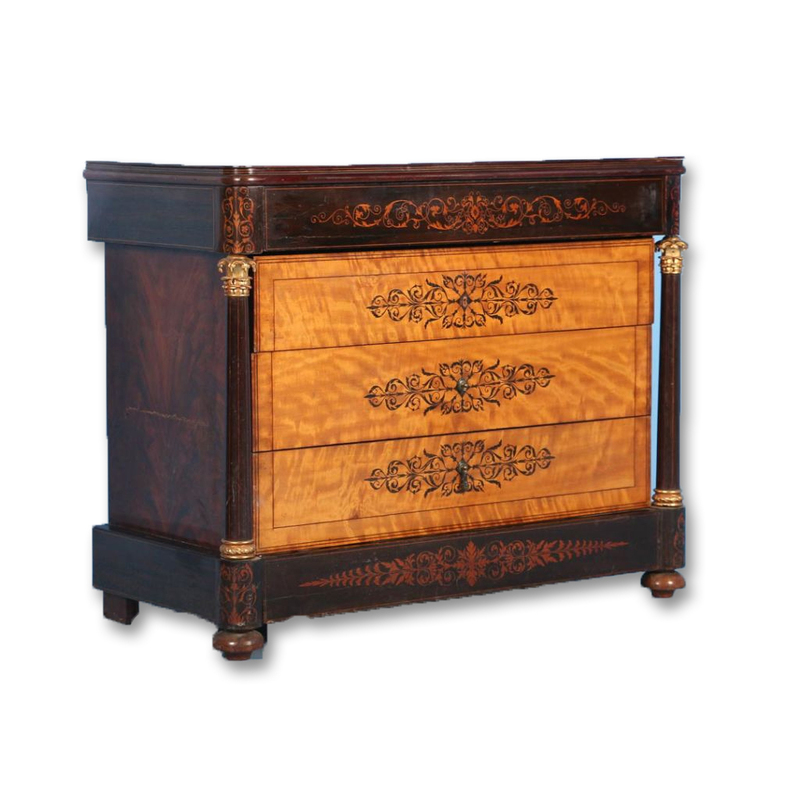 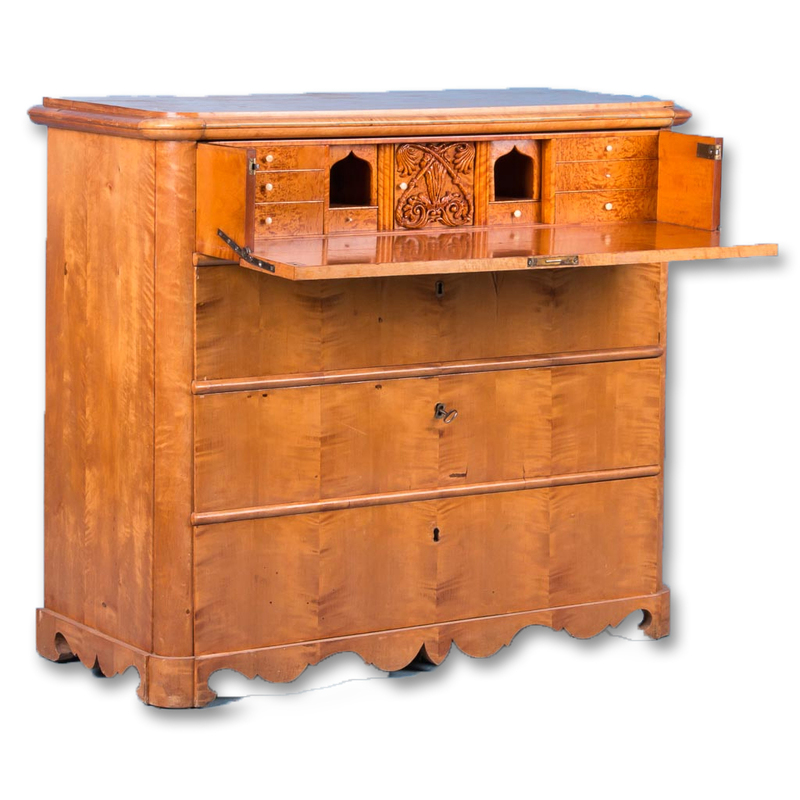 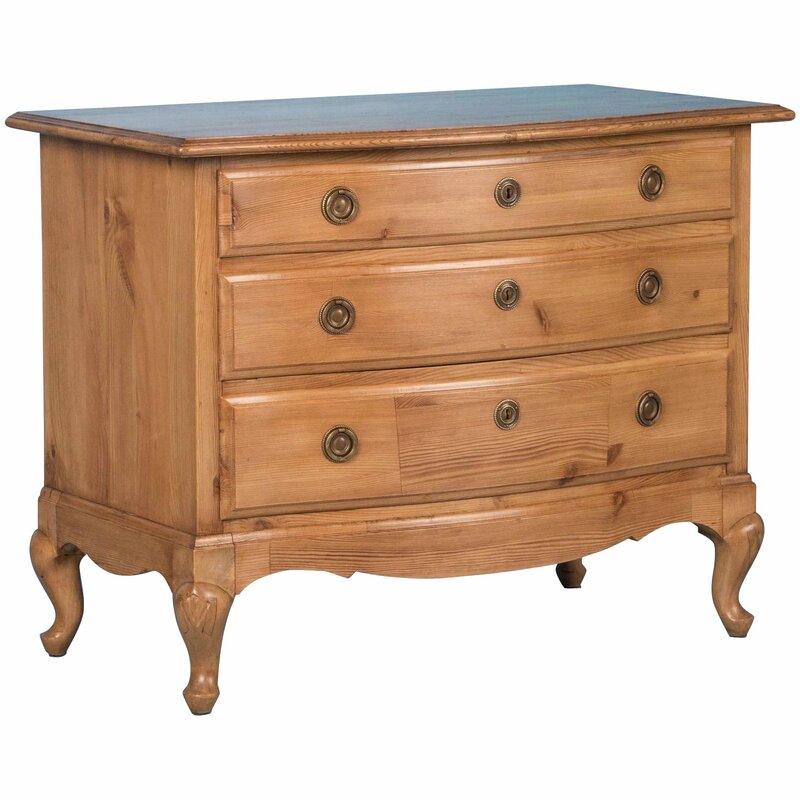 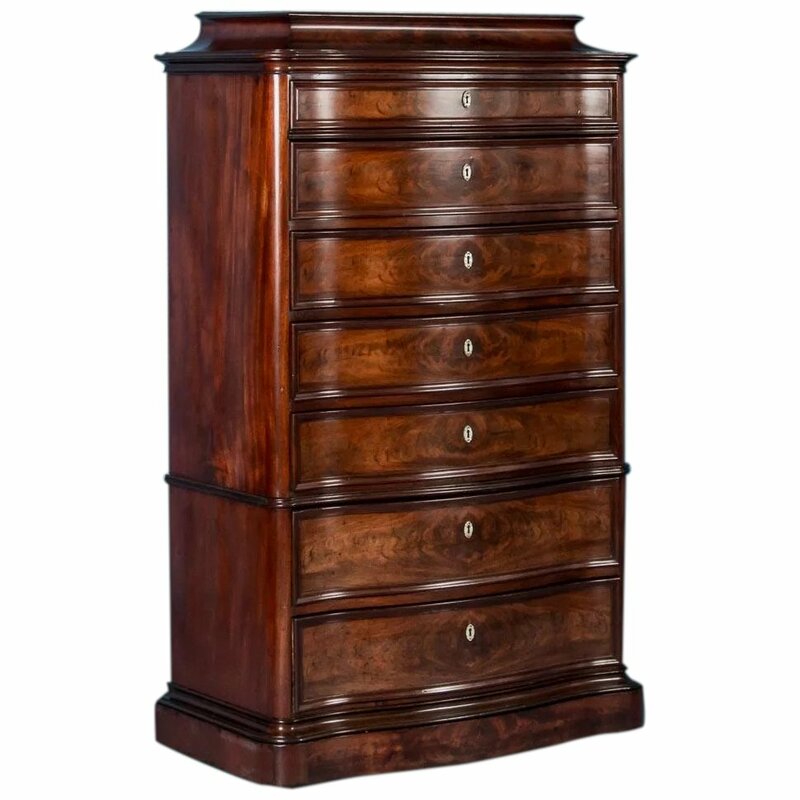 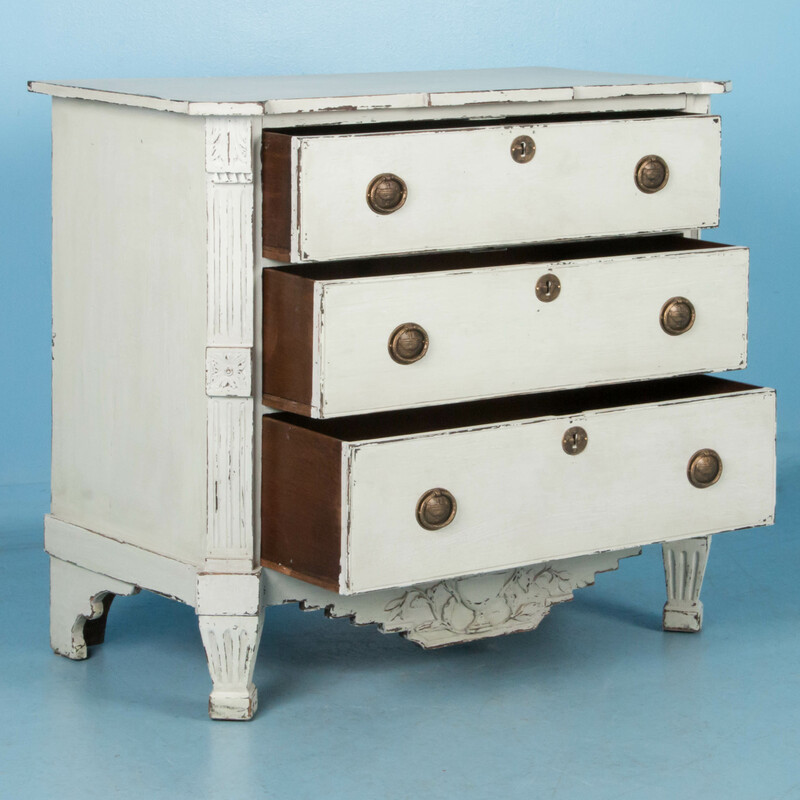 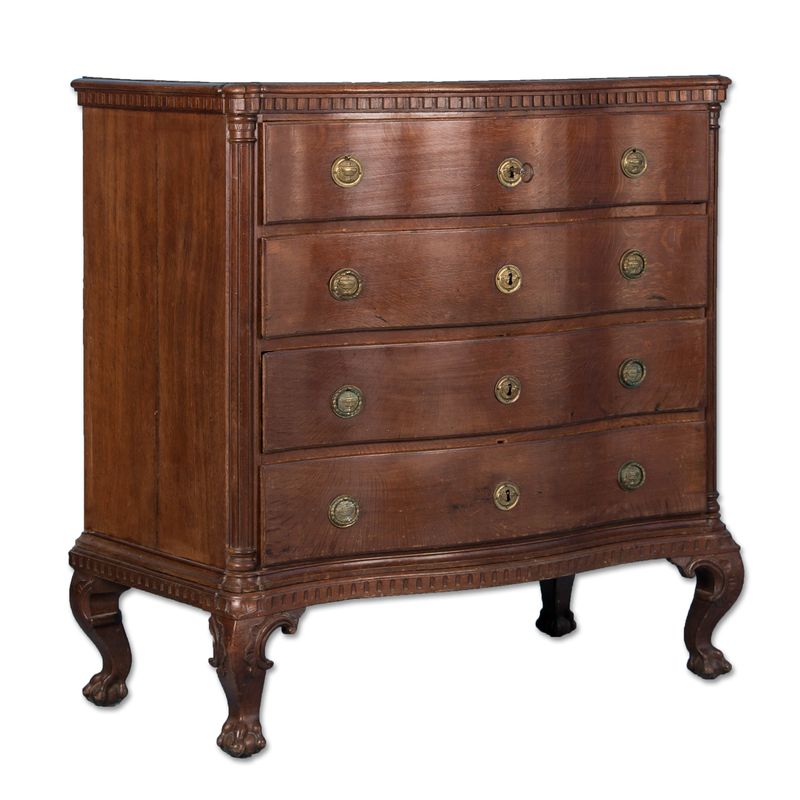 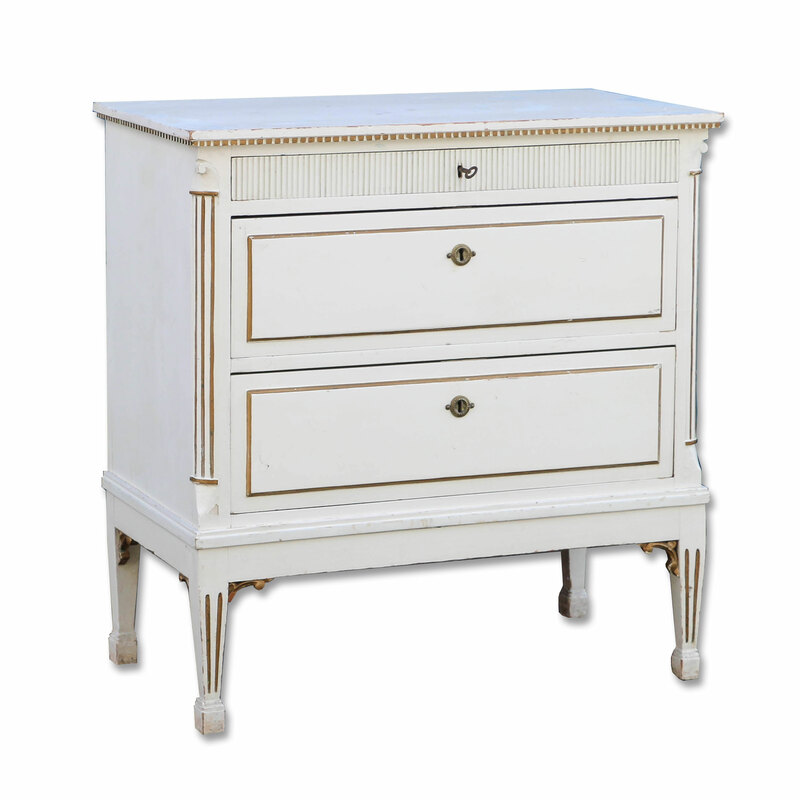 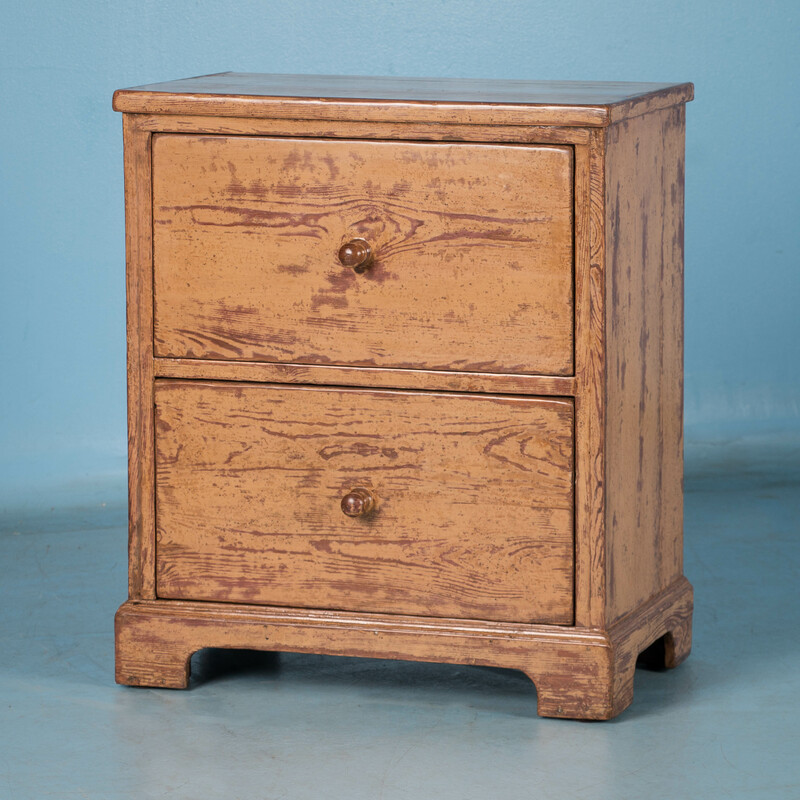 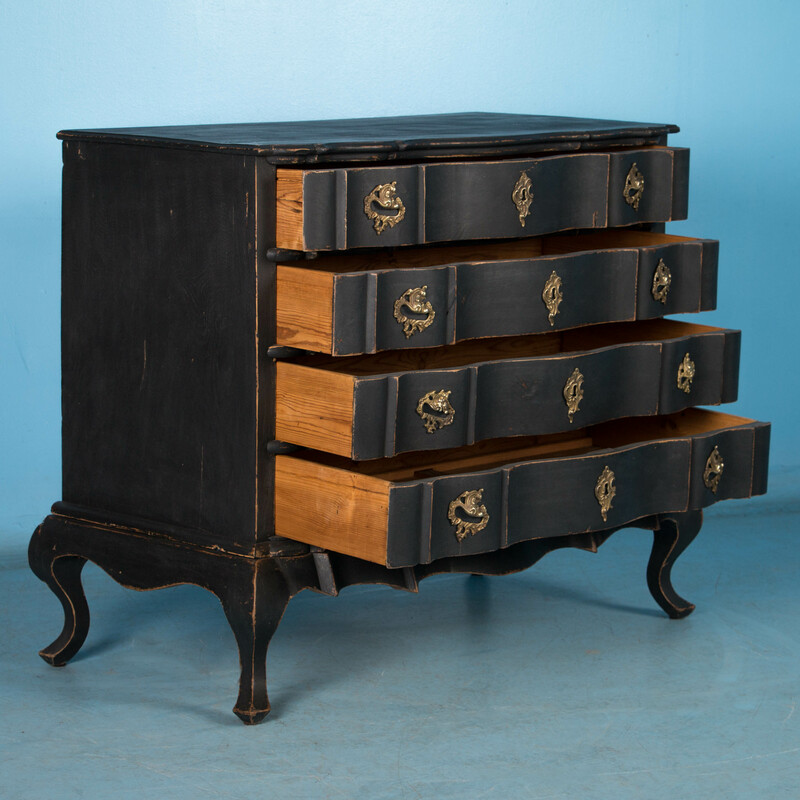 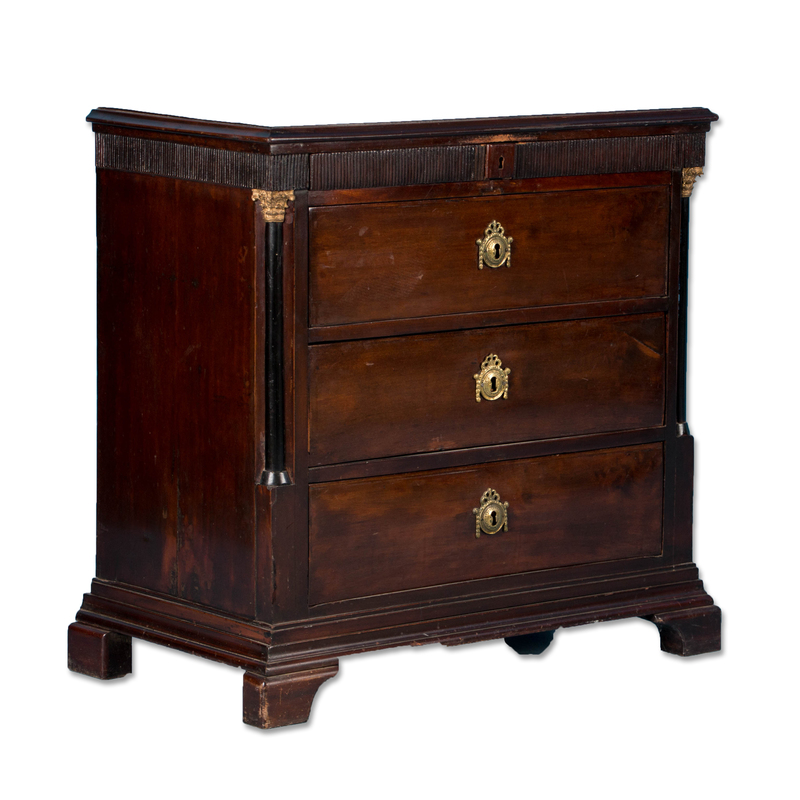 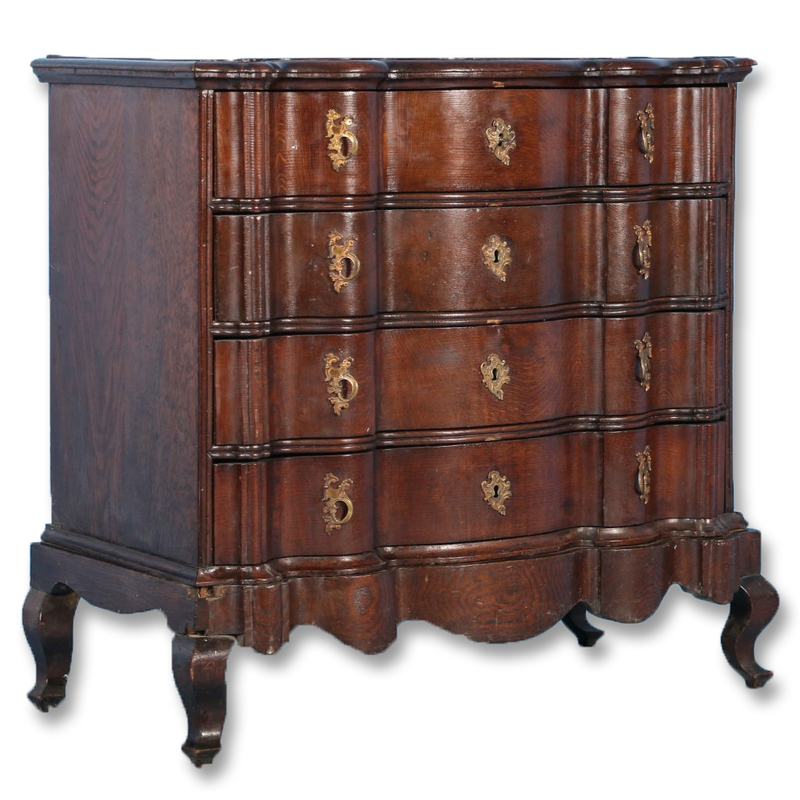 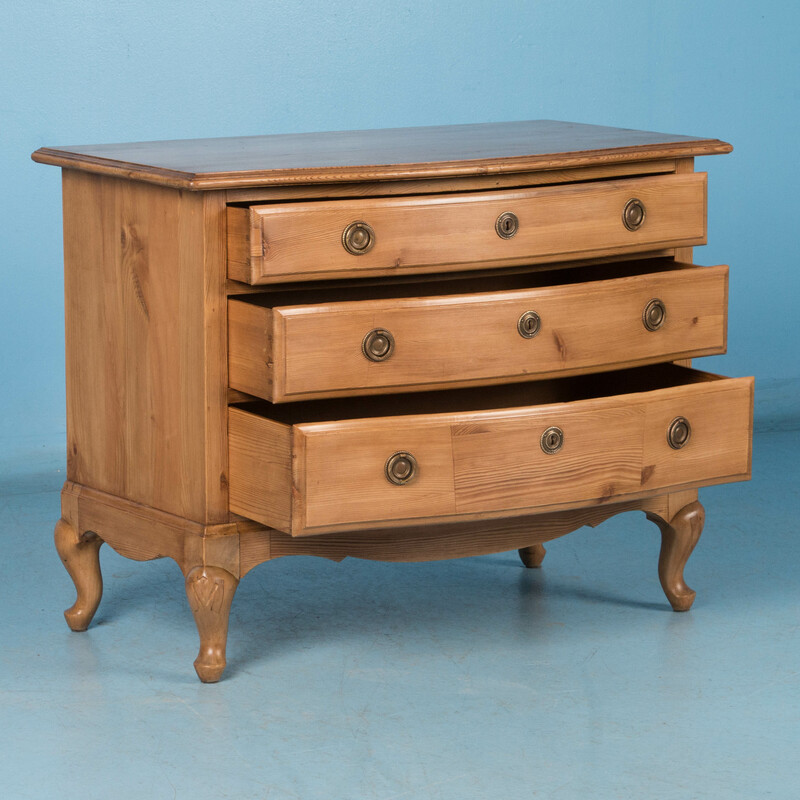 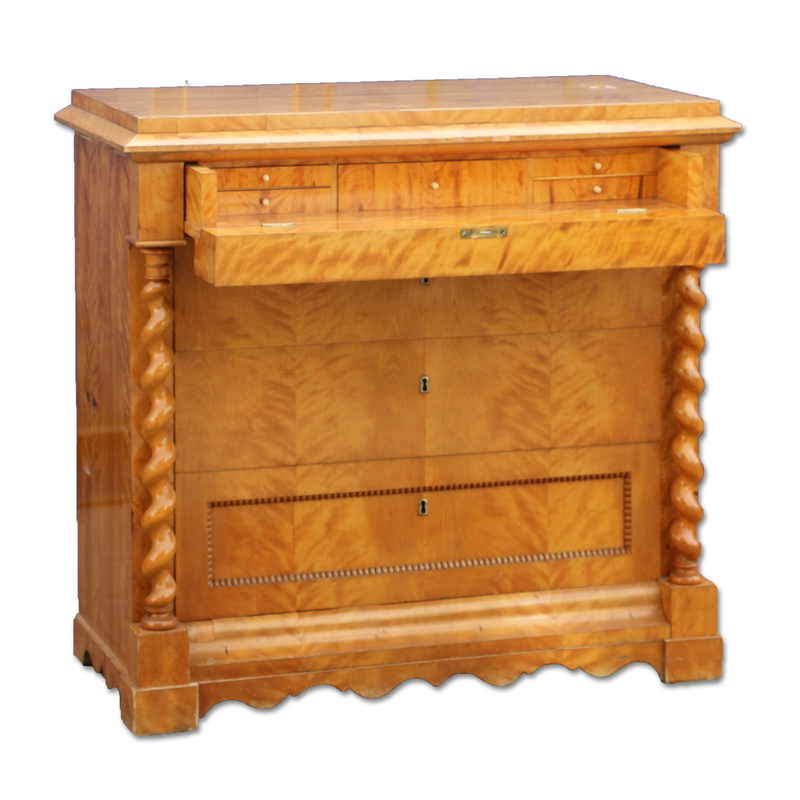 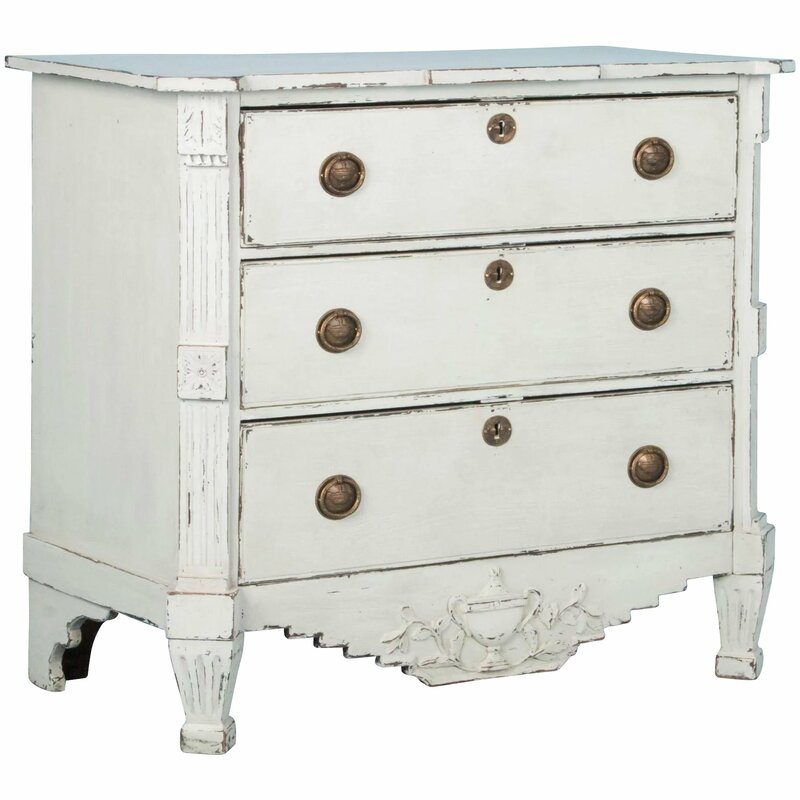 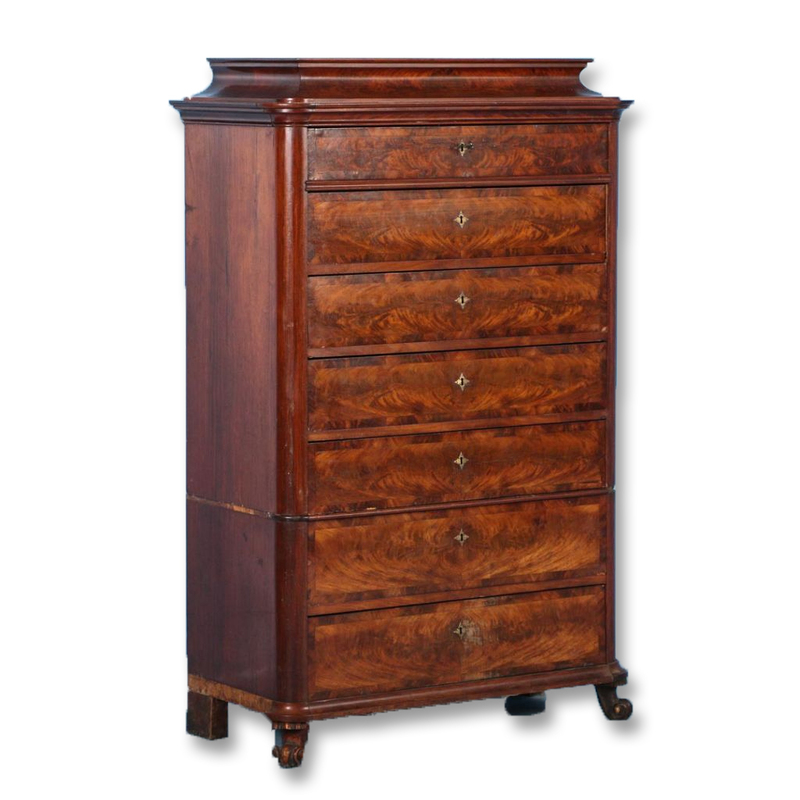 Wonderful highboy from Denmark with 7 flame mahogany drawers. 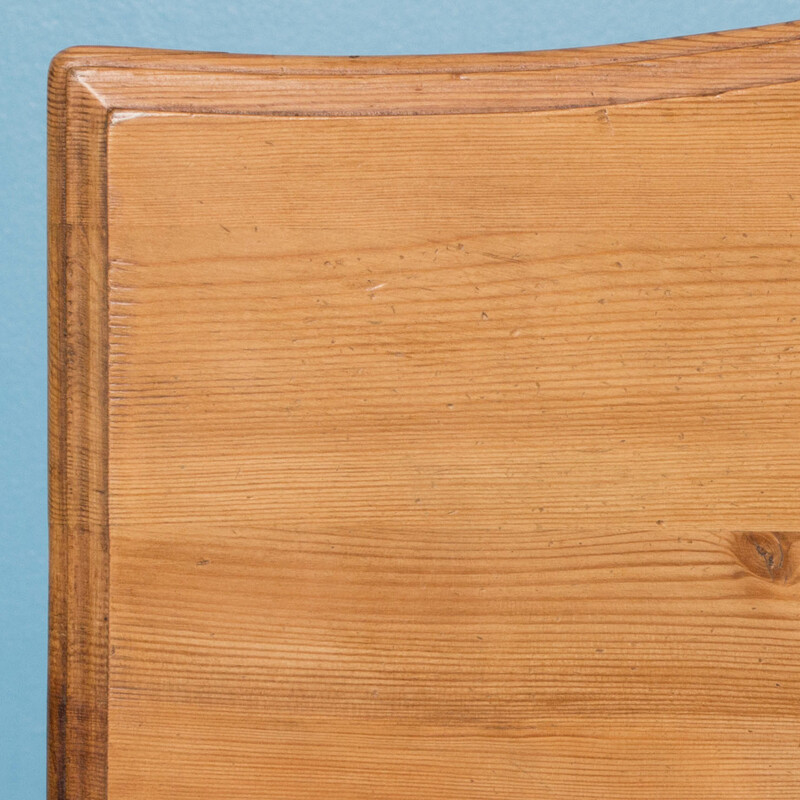 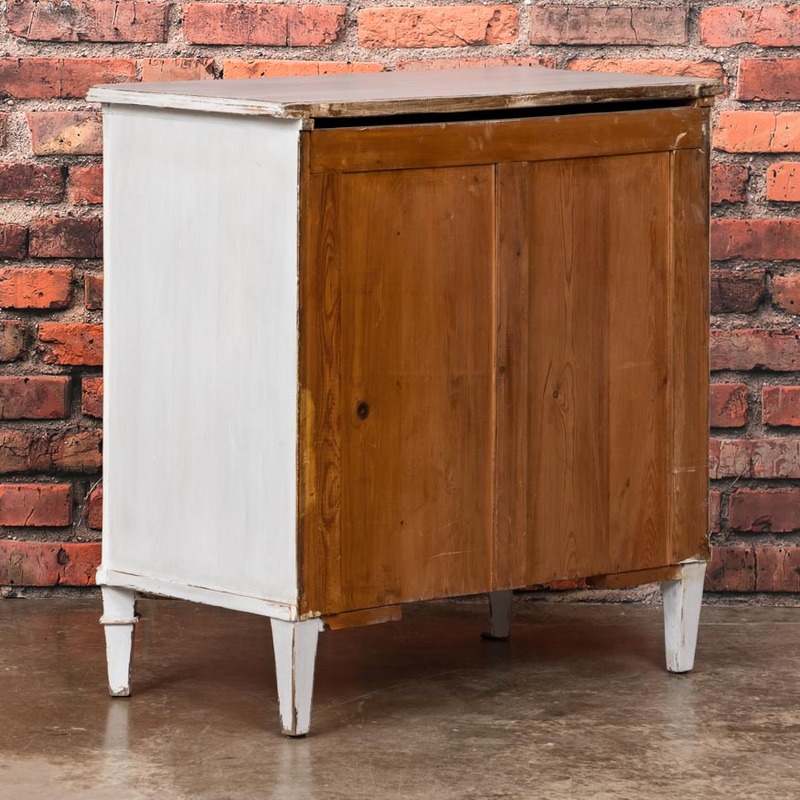 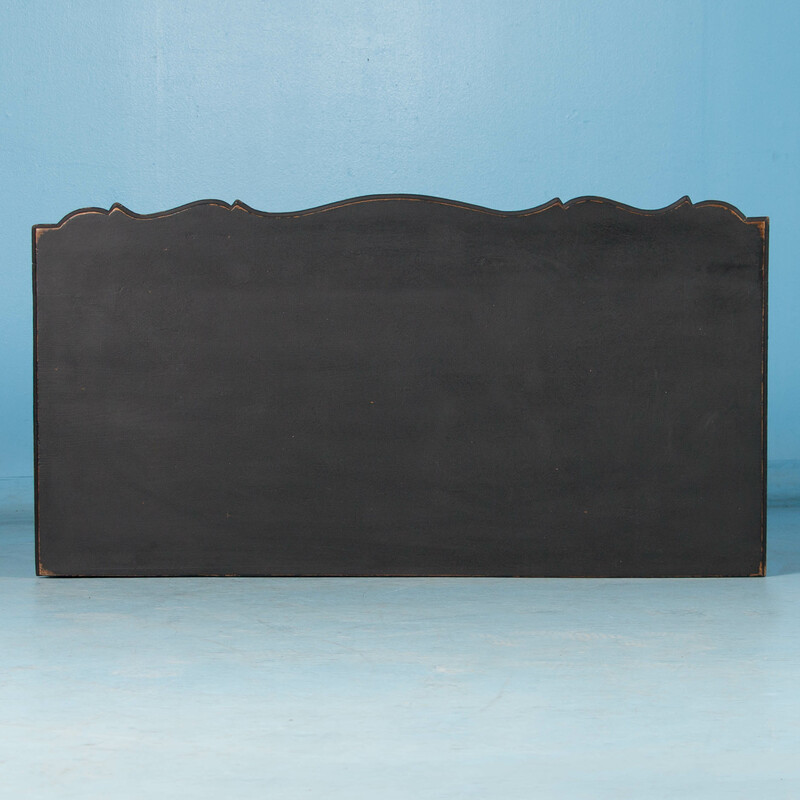 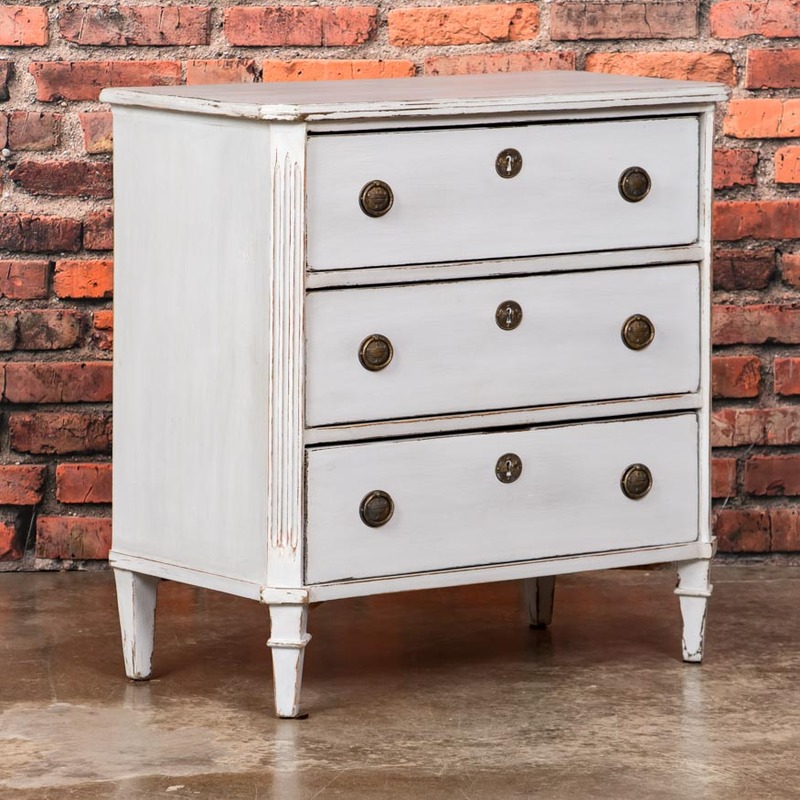 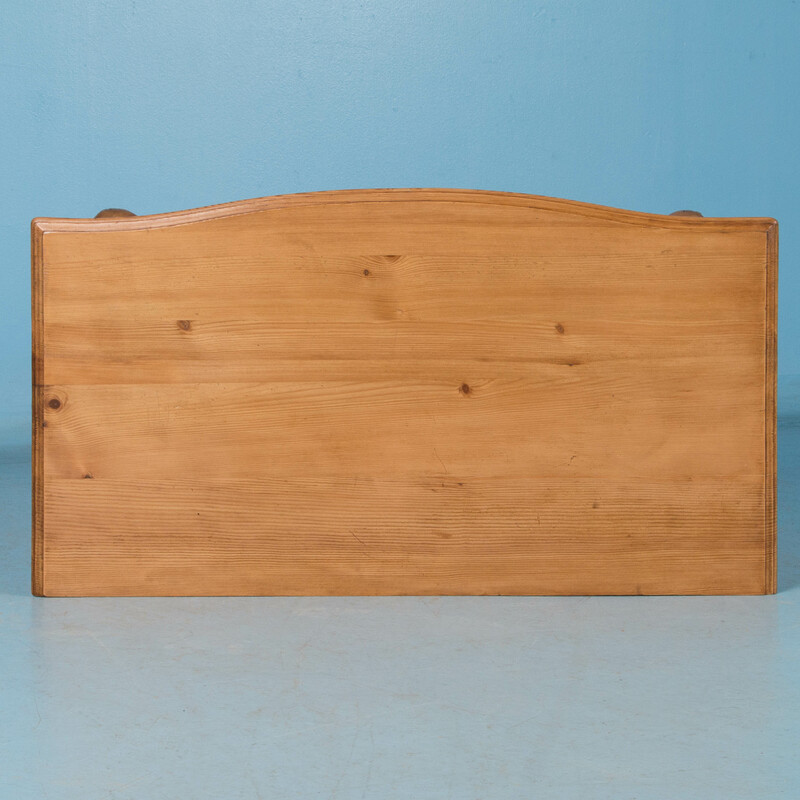 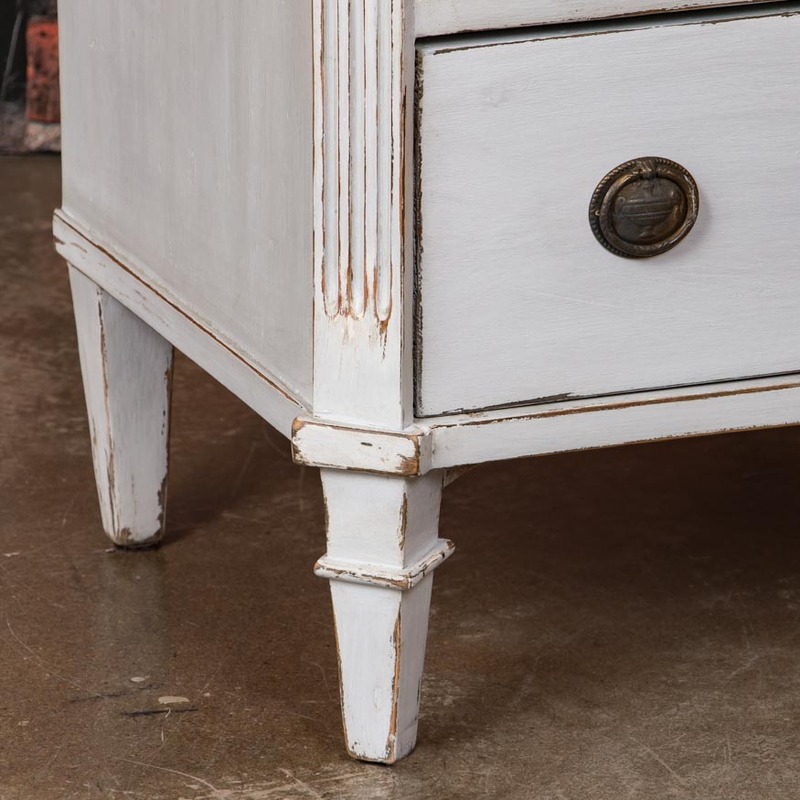 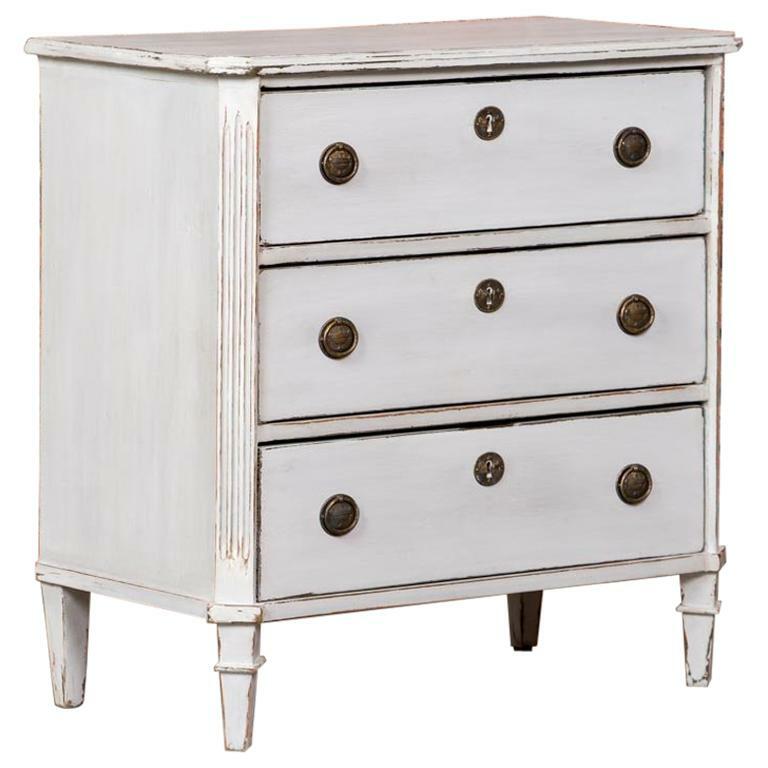 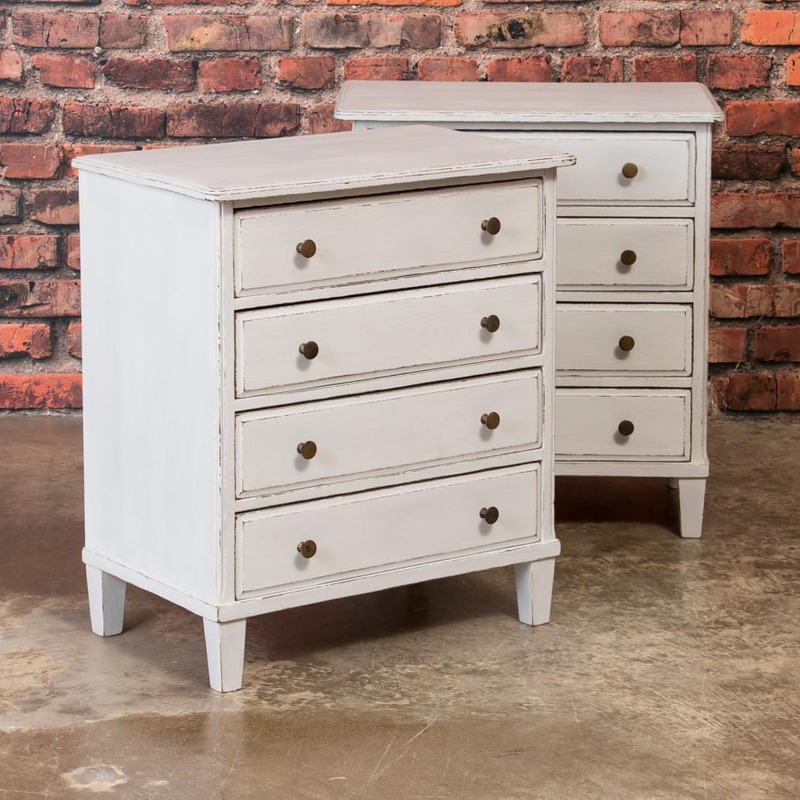 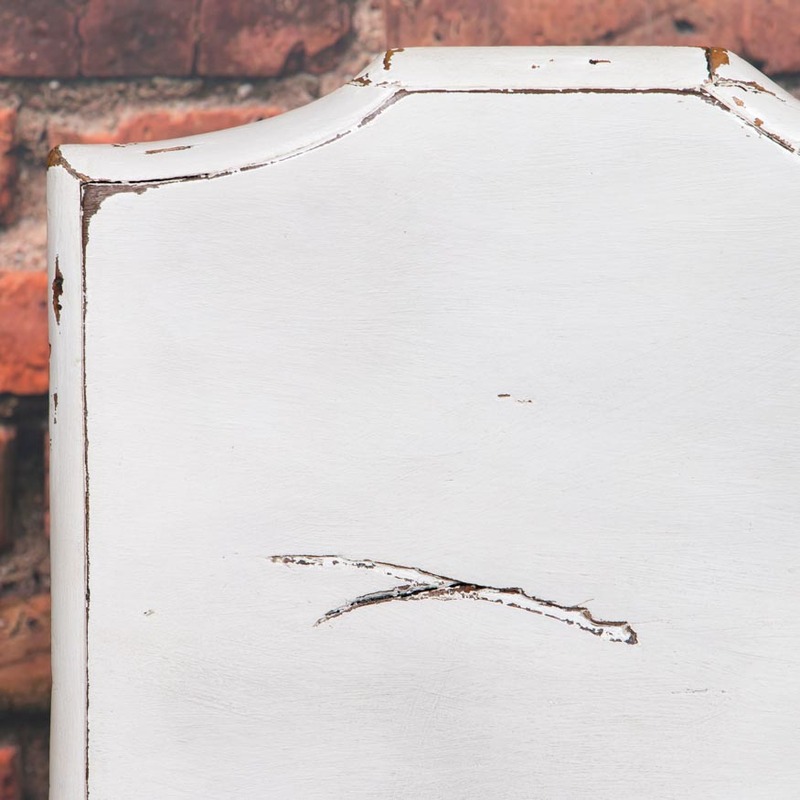 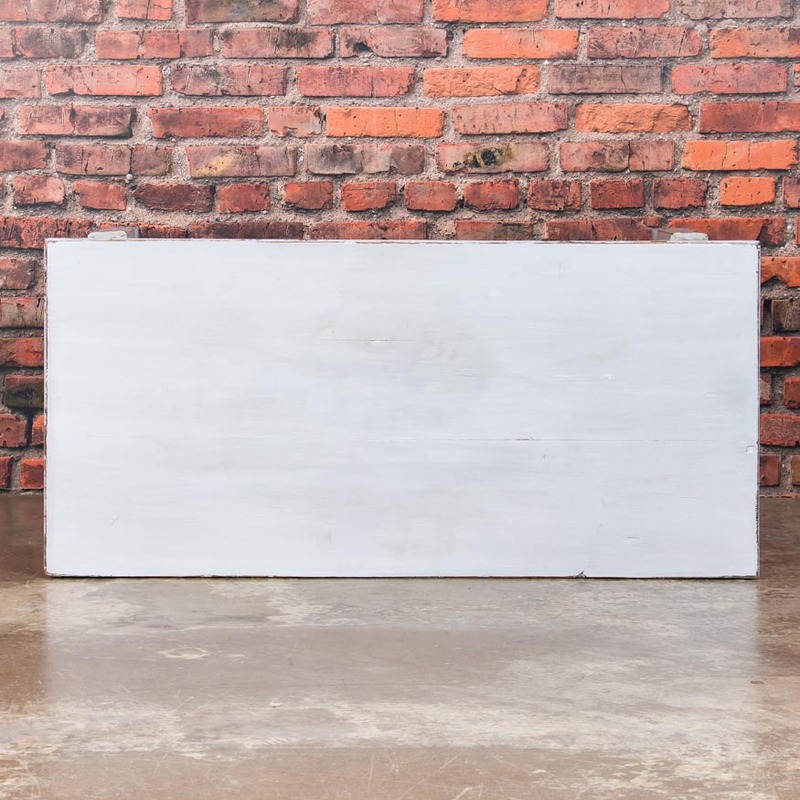 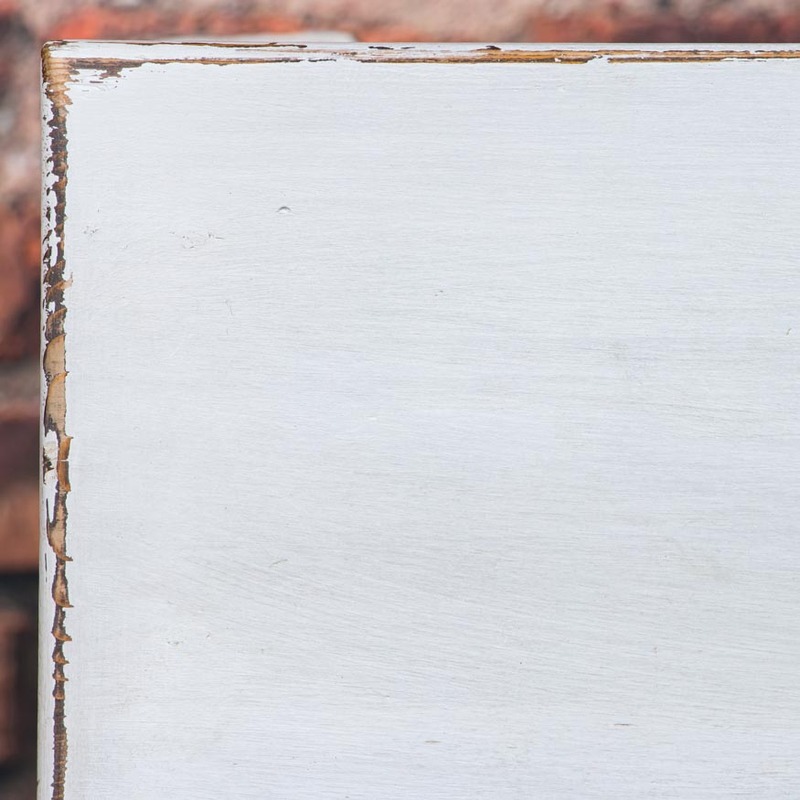 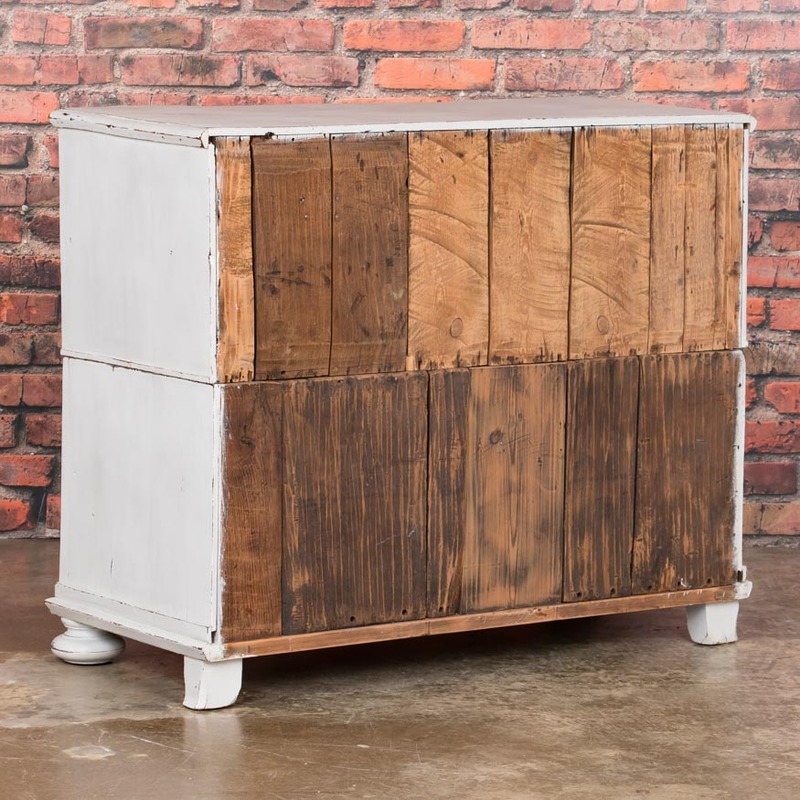 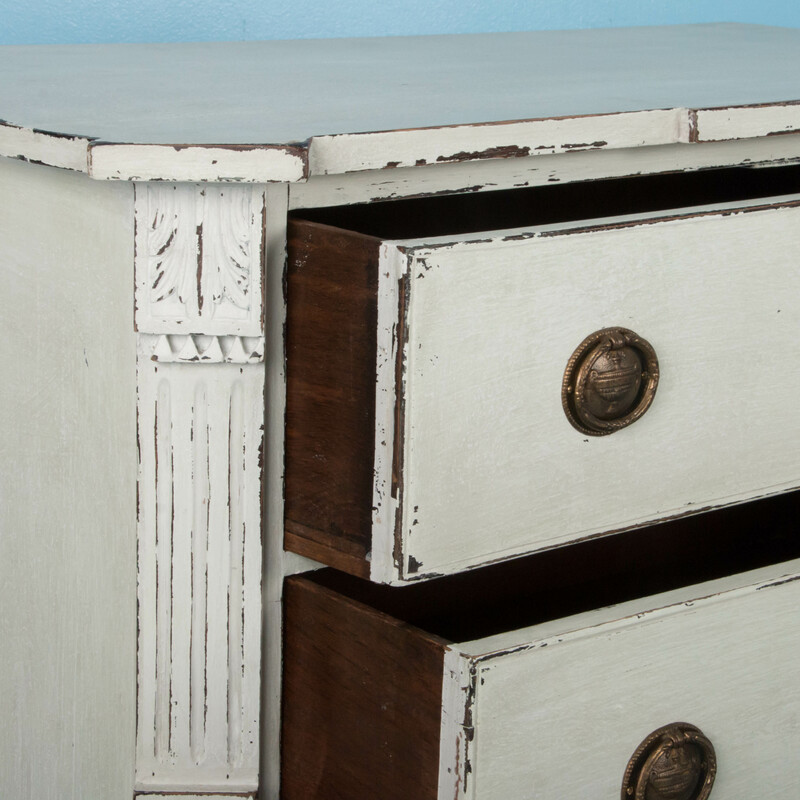 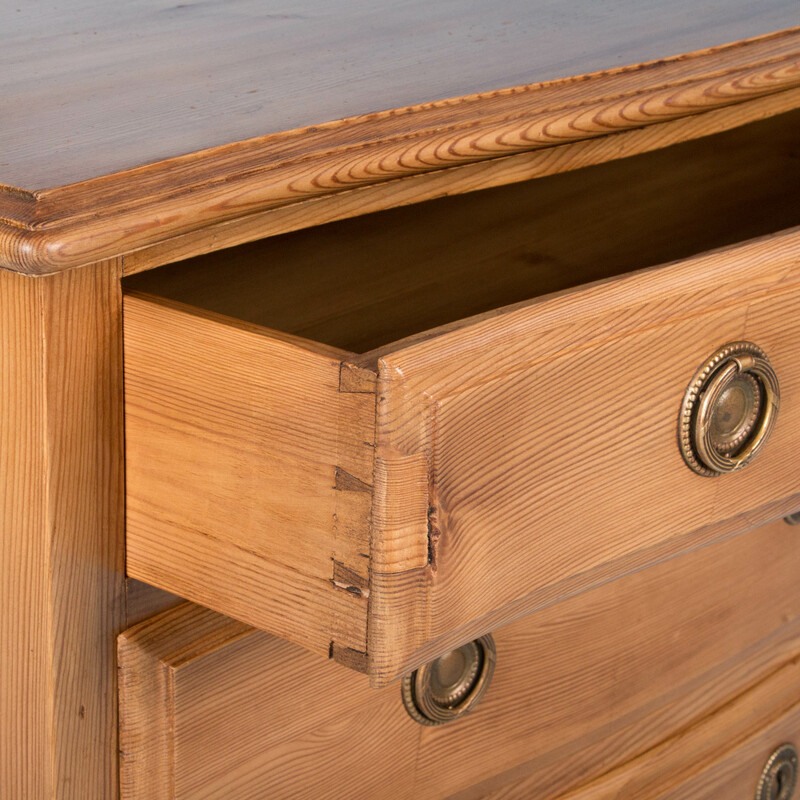 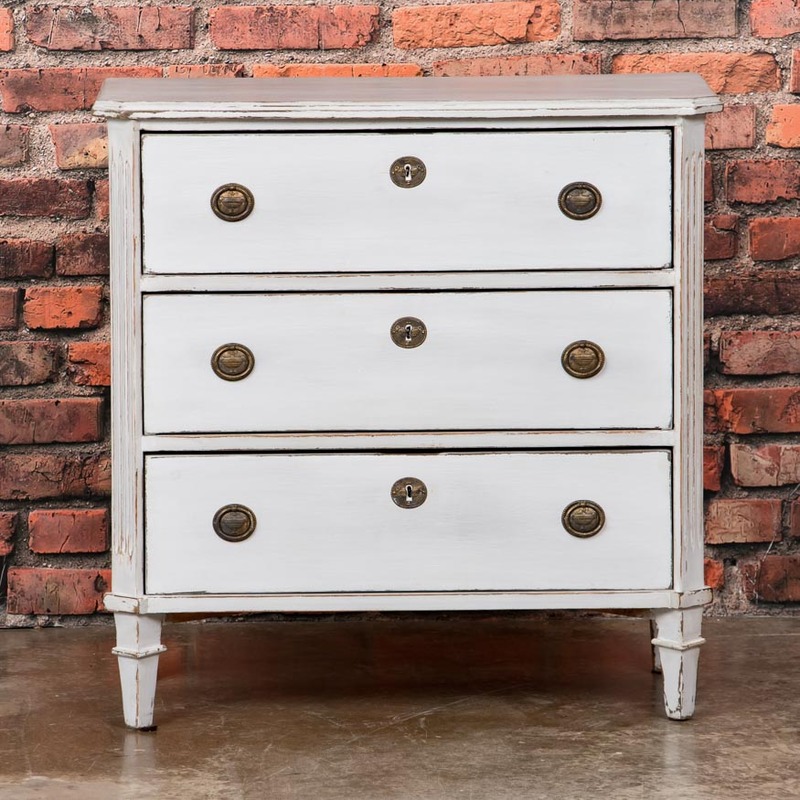 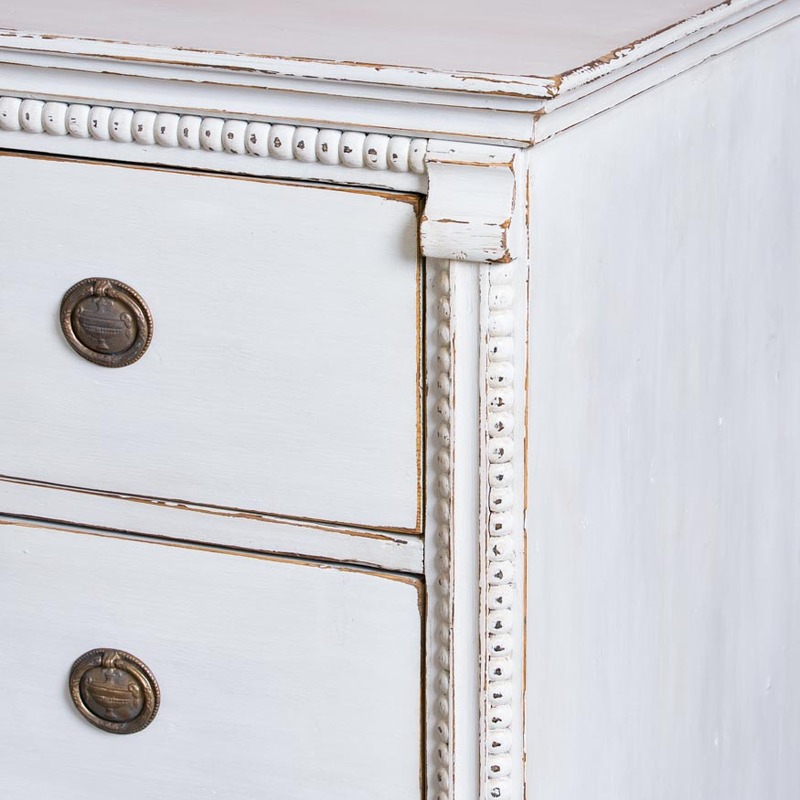 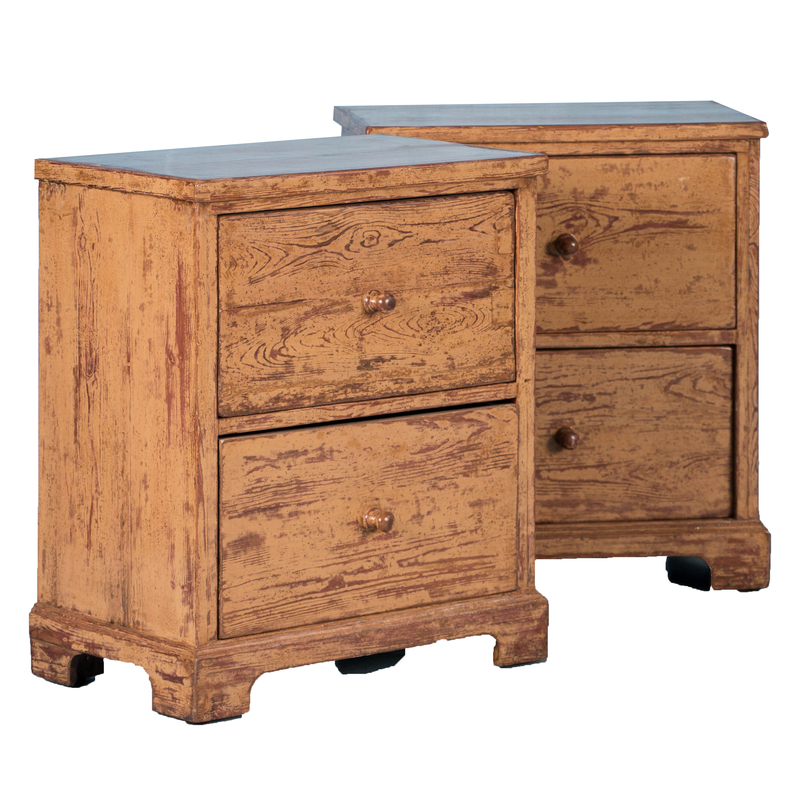 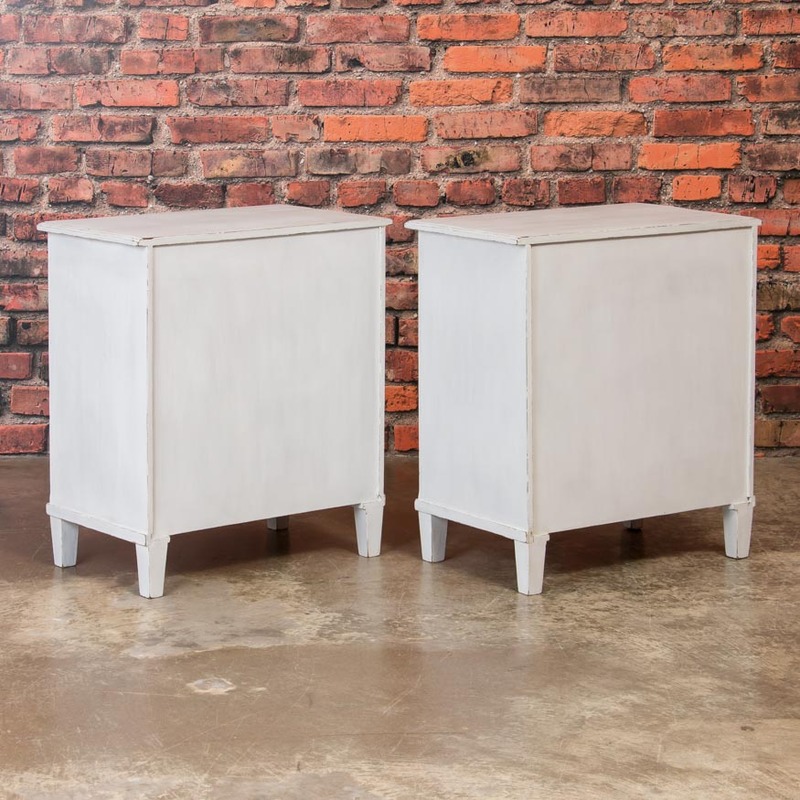 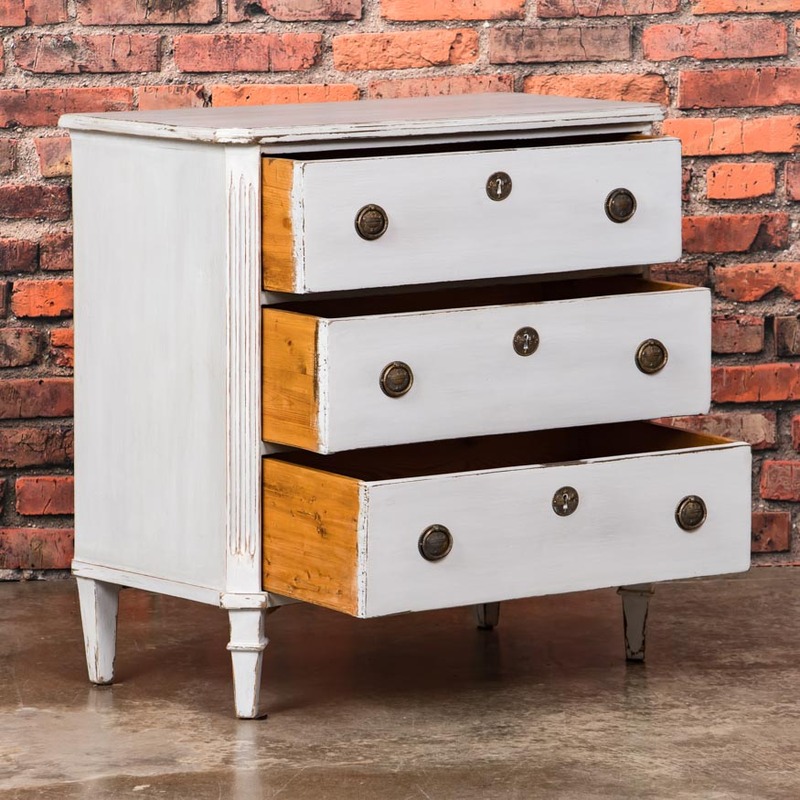 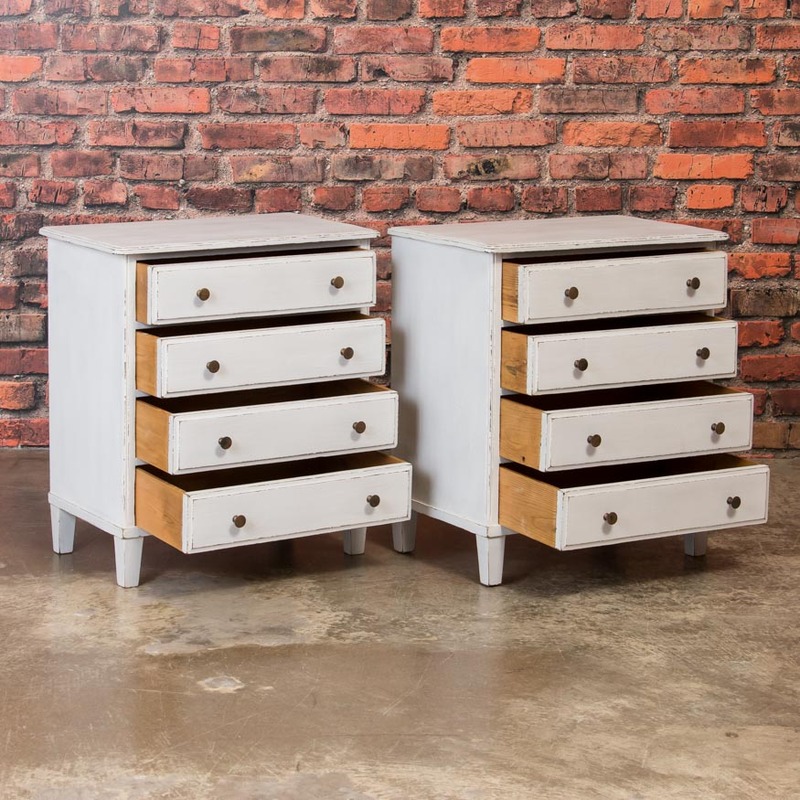 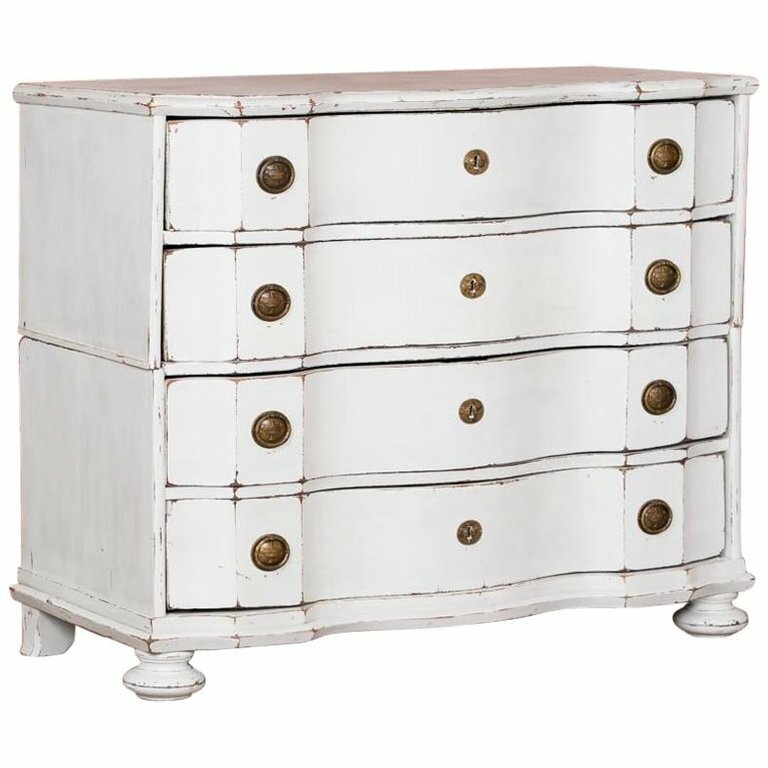 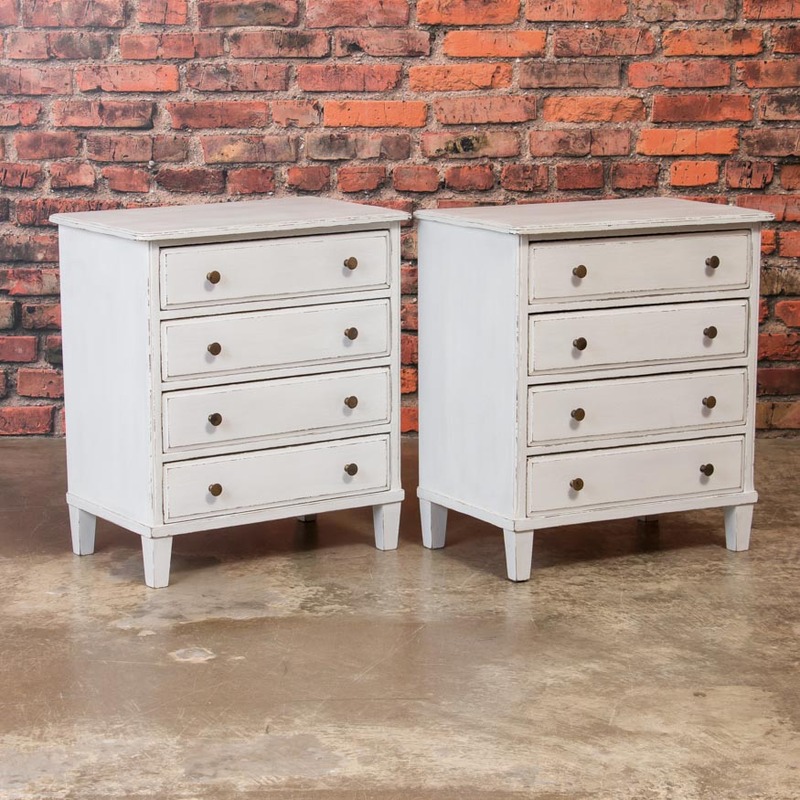 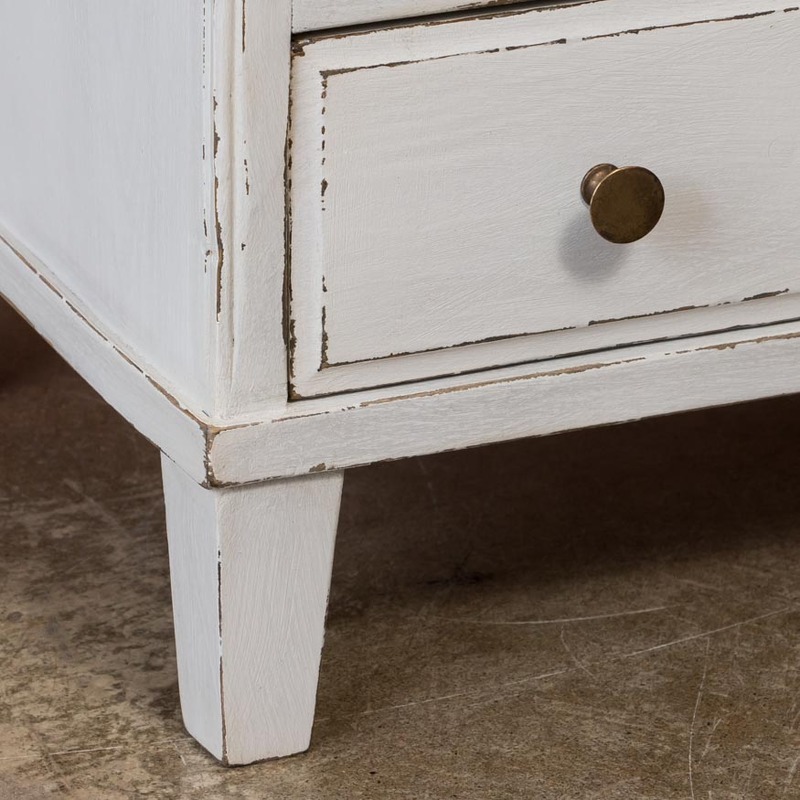 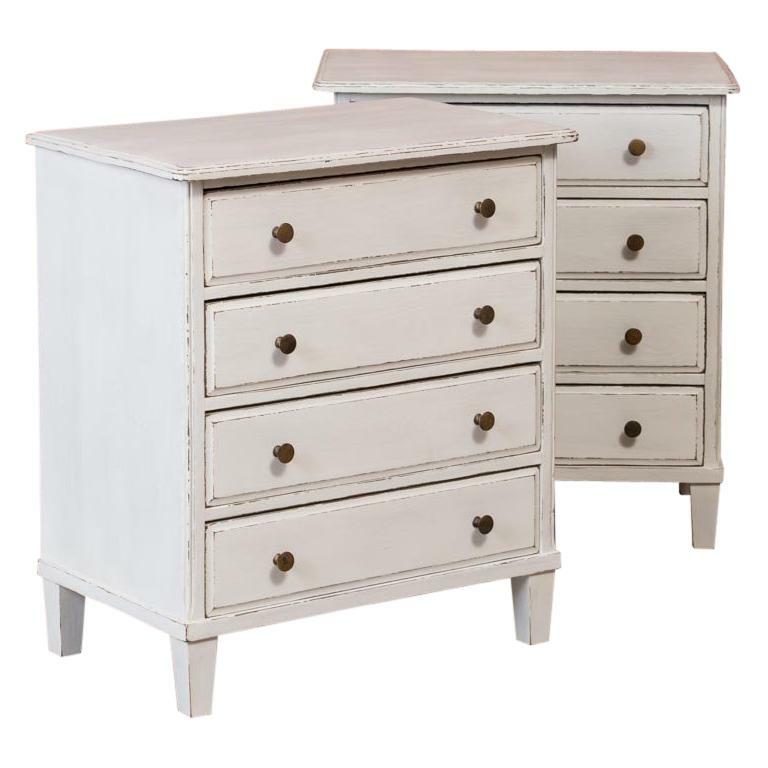 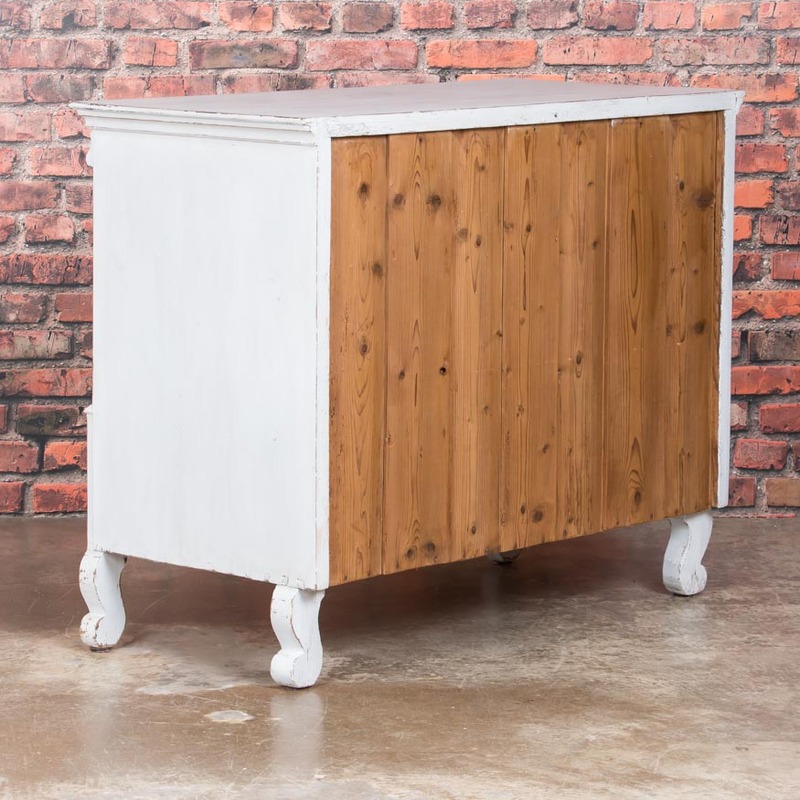 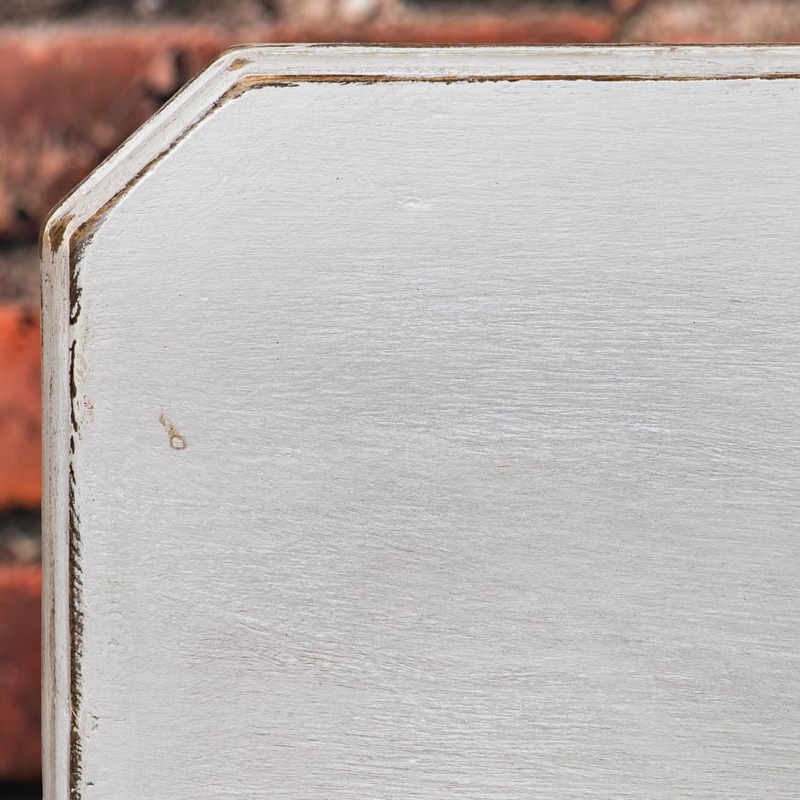 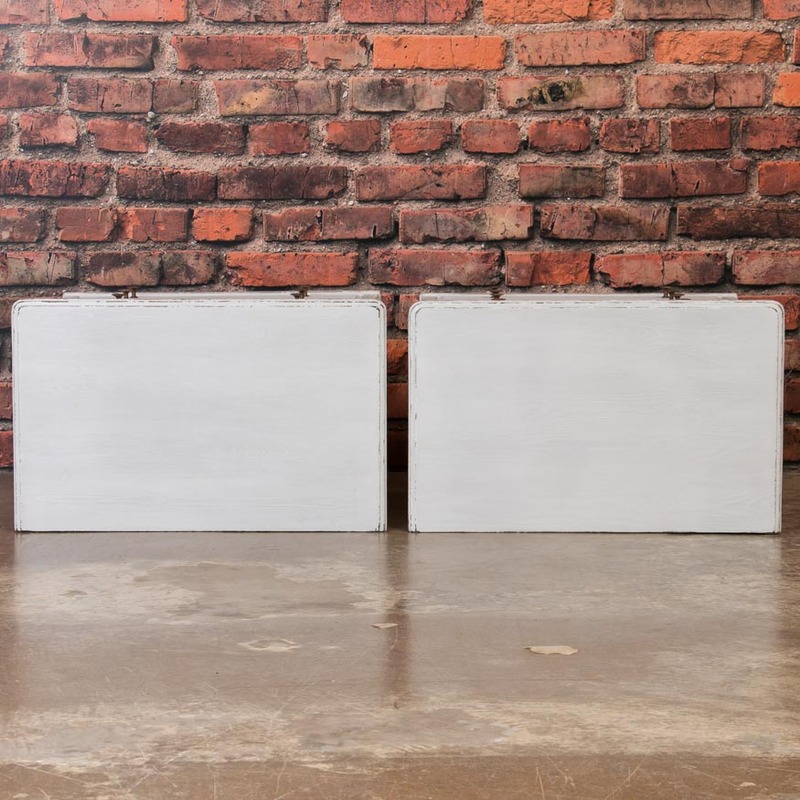 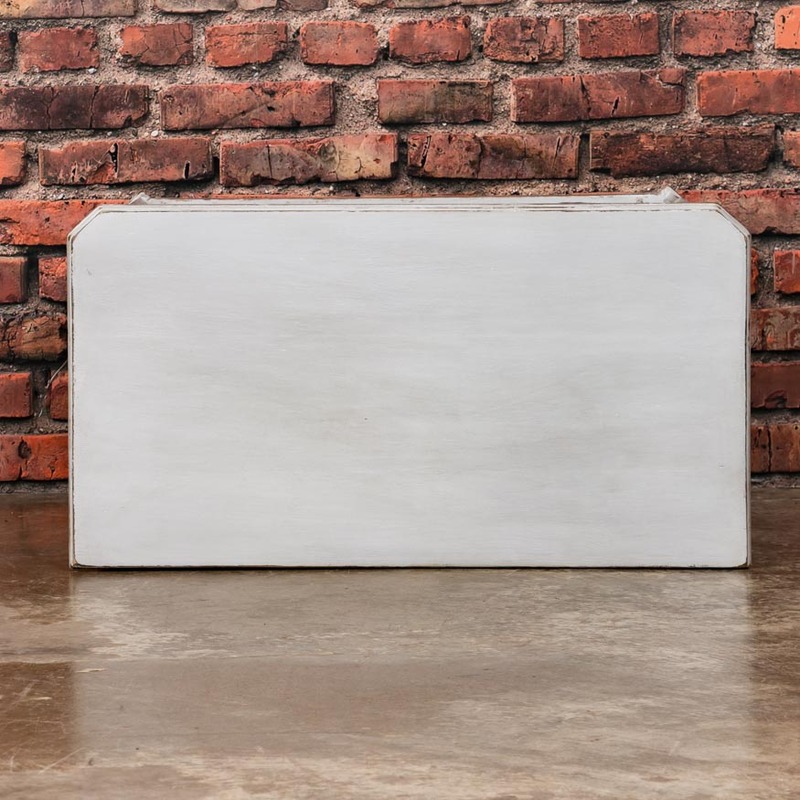 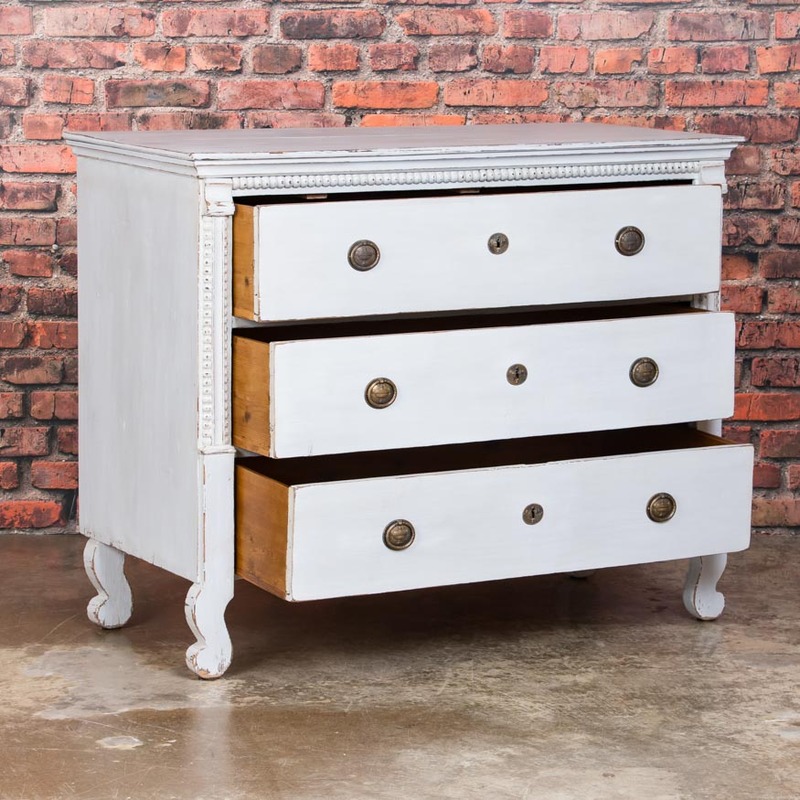 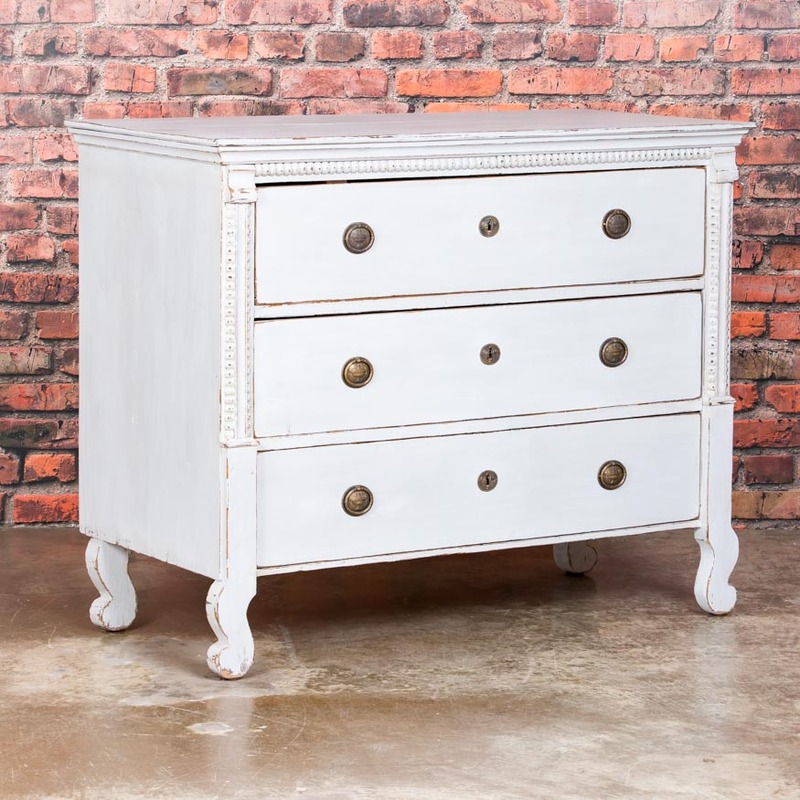 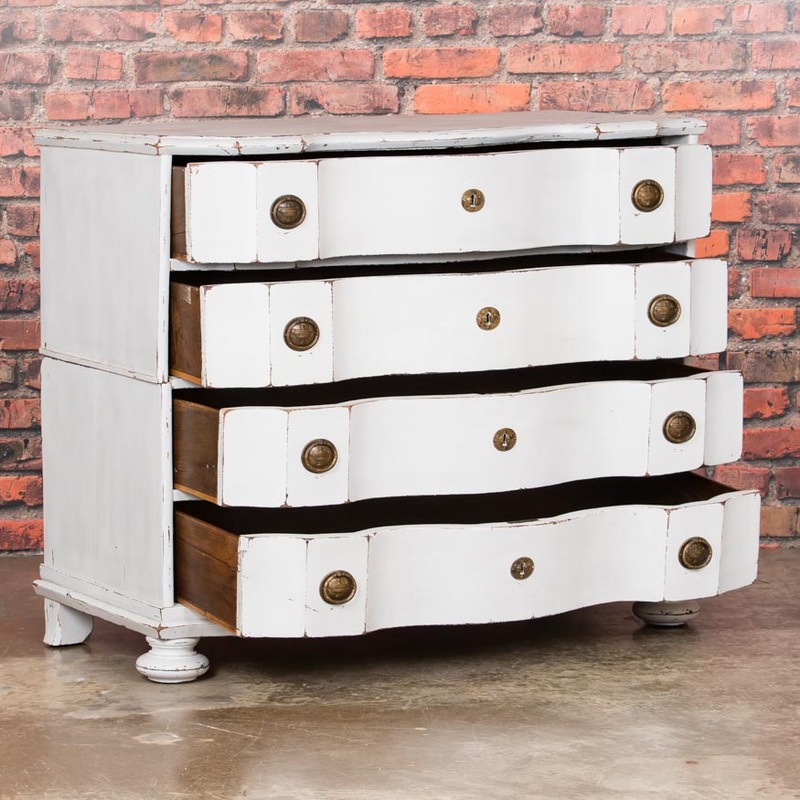 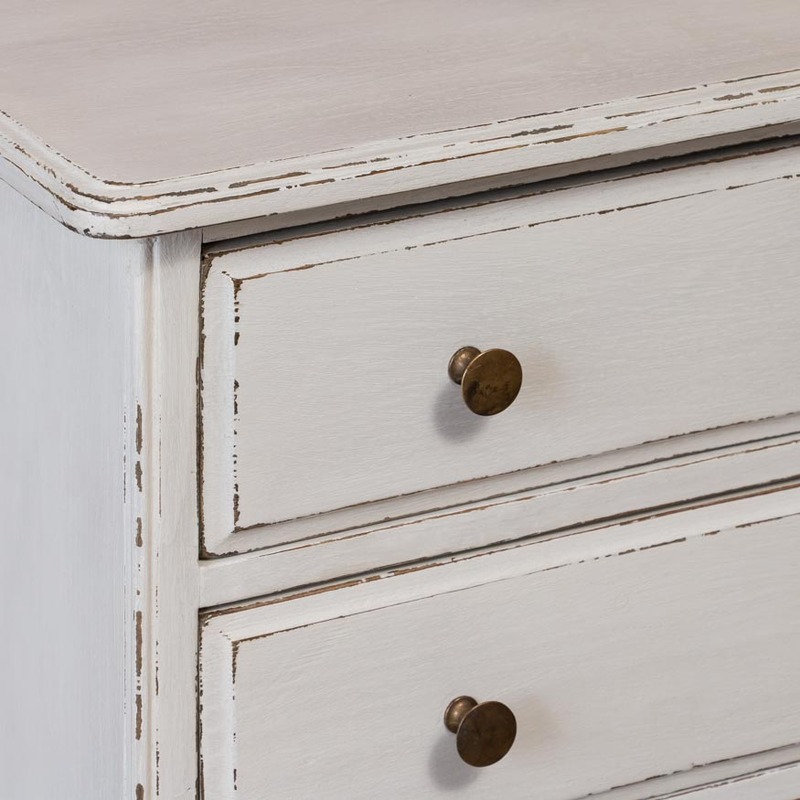 This chest of drawers breaks down into 2 pieces.